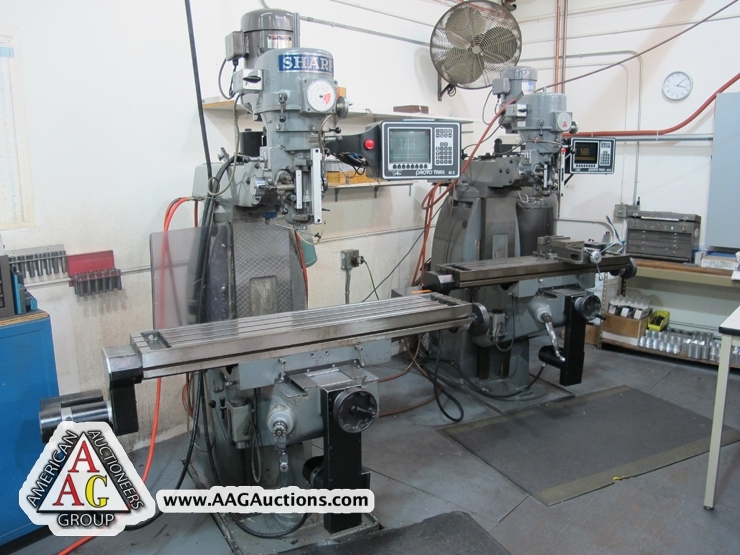 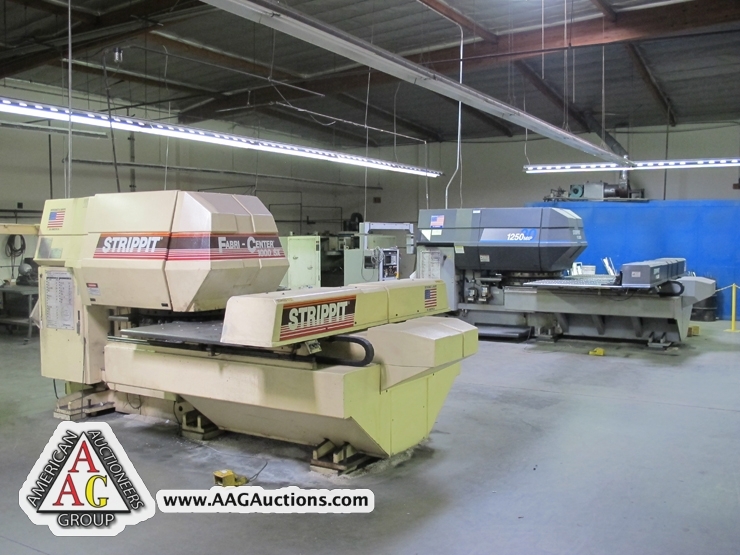 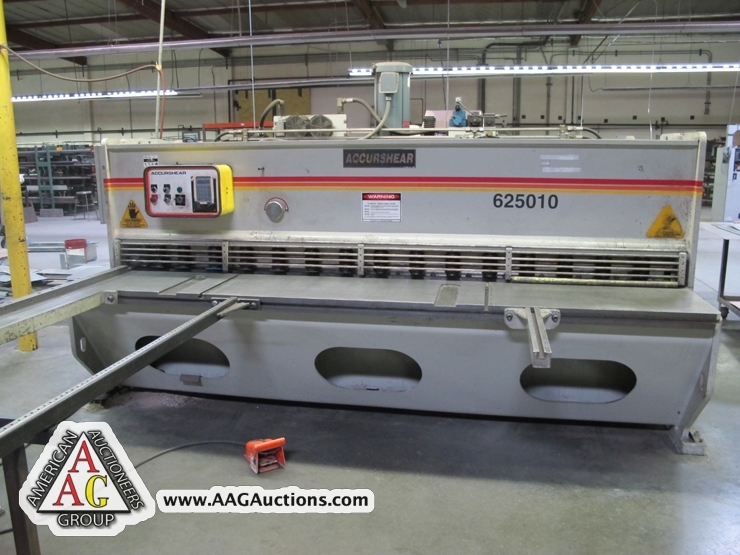 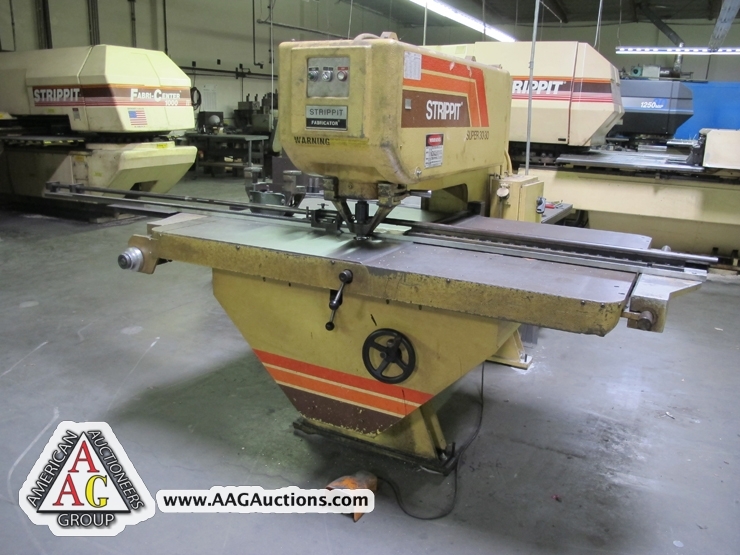 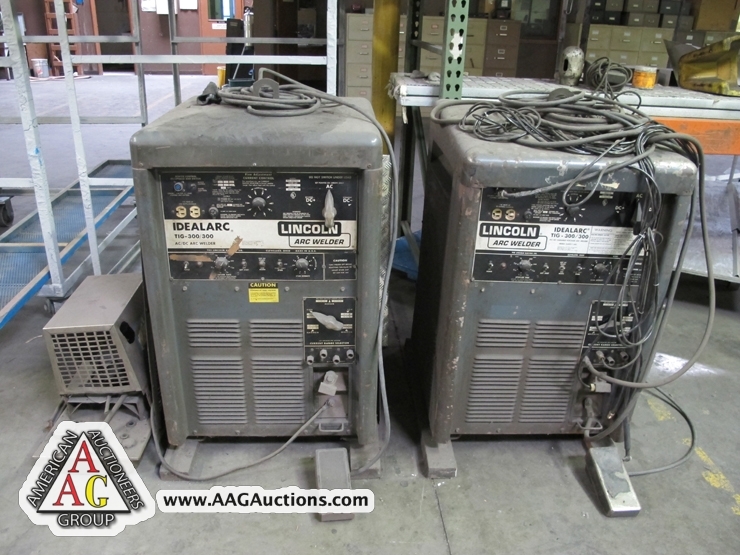 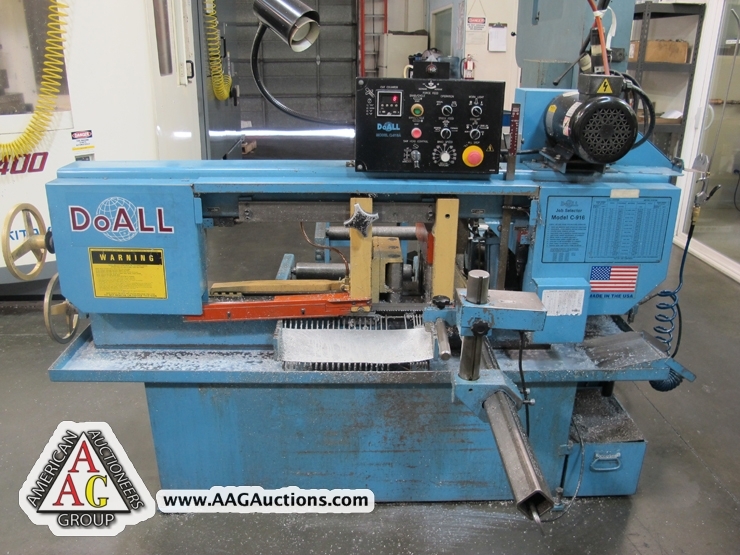 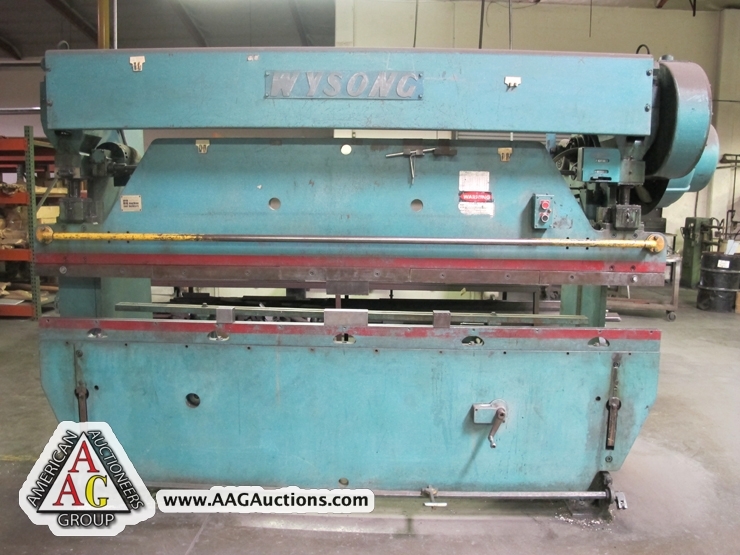 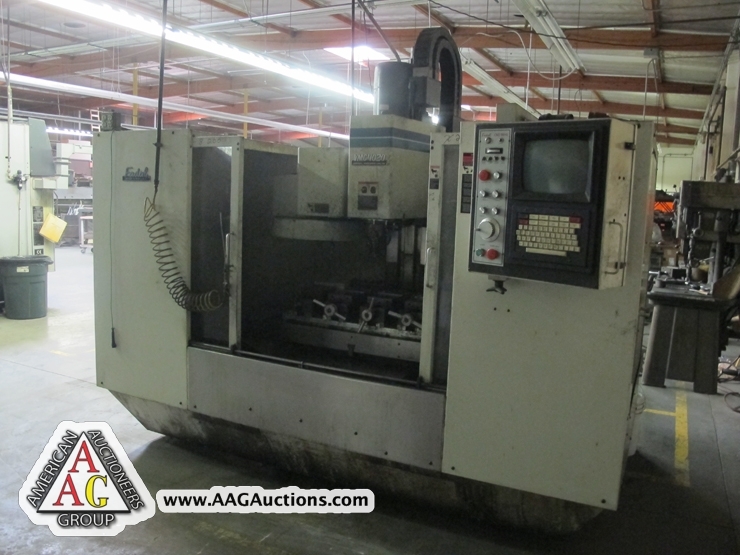 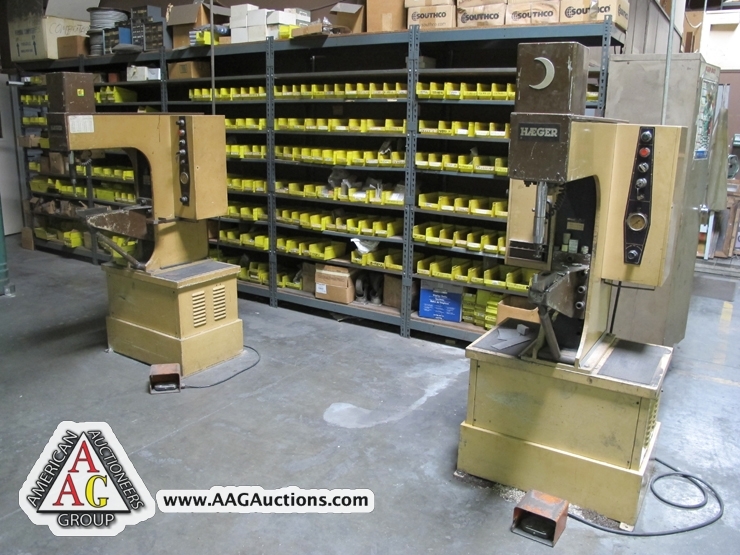 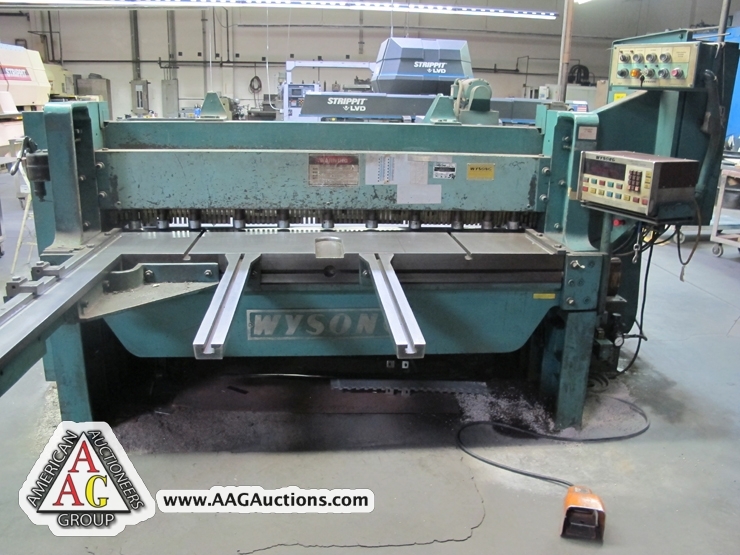 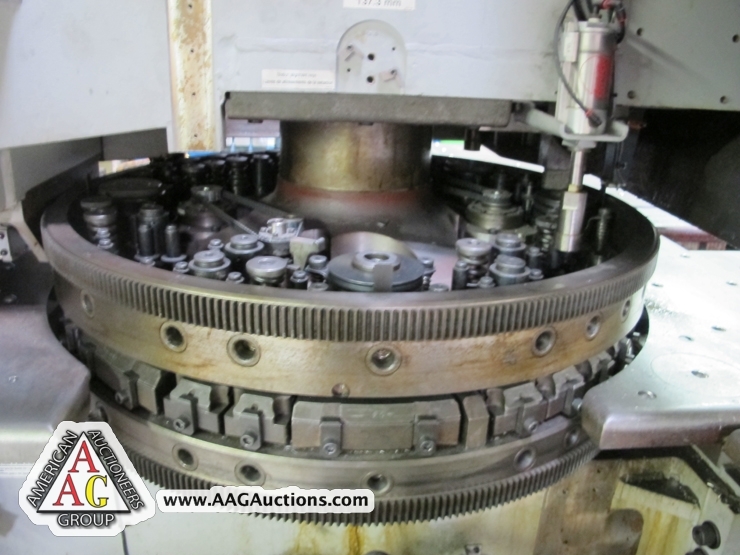 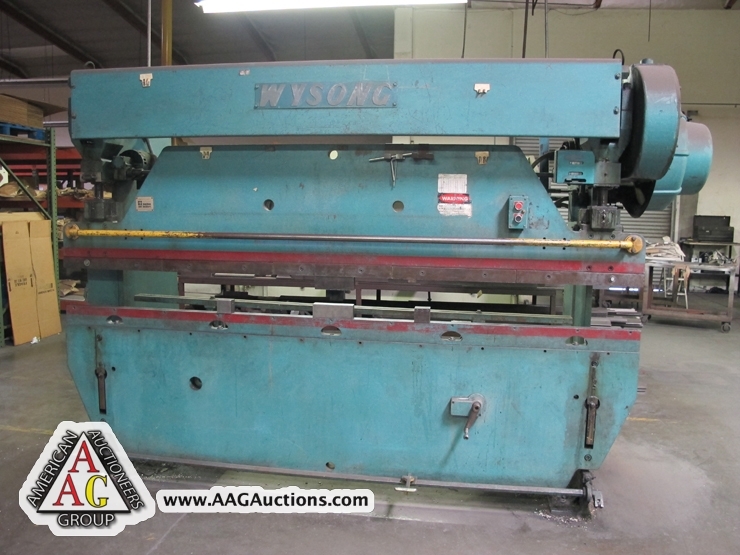 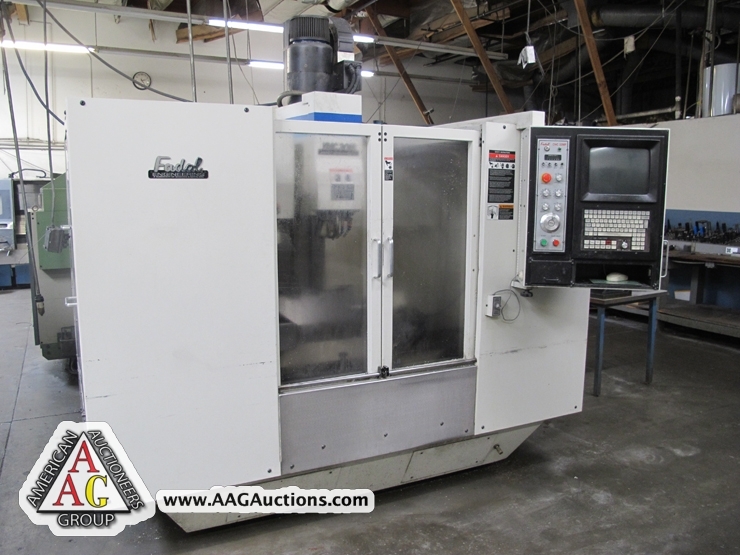 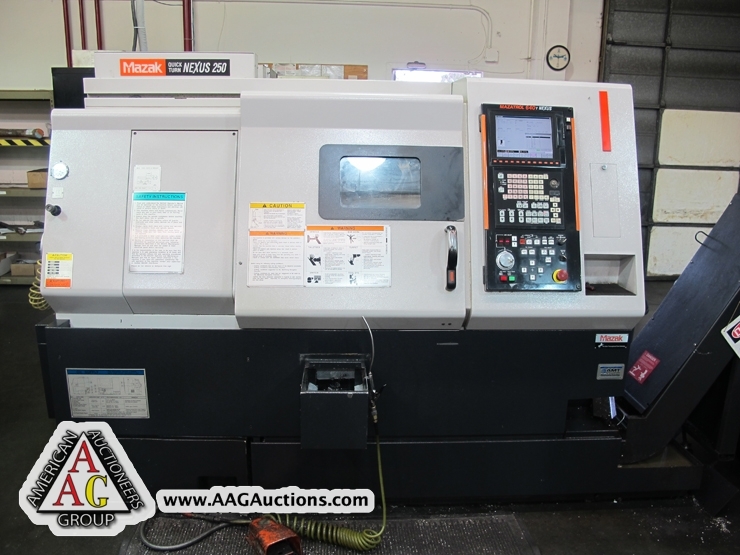 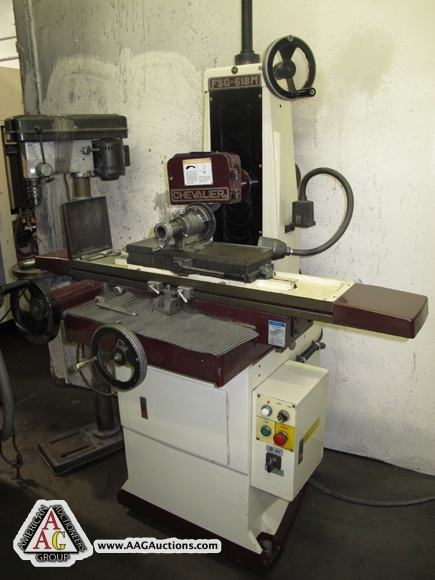 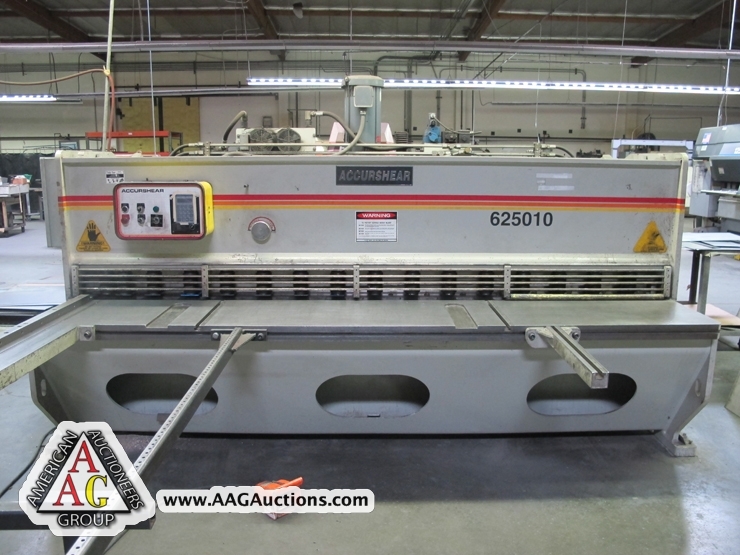 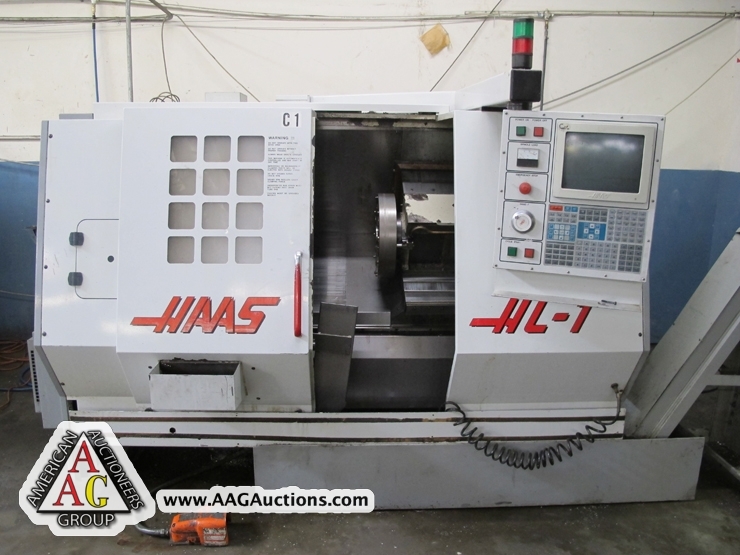 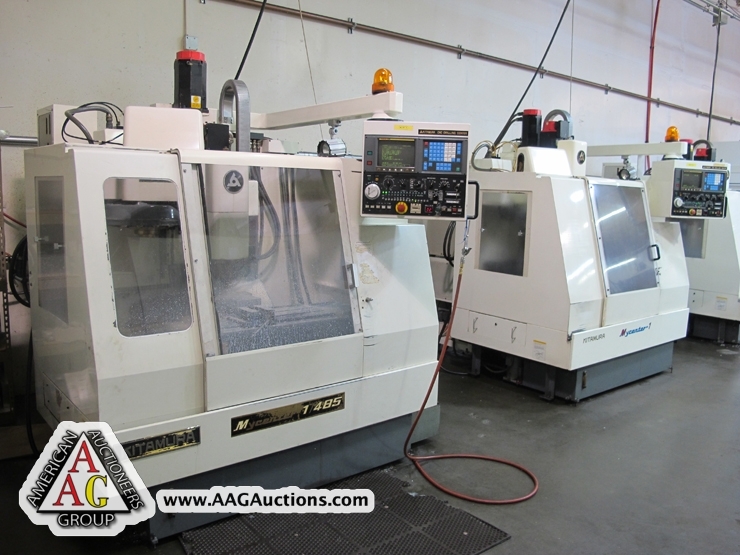 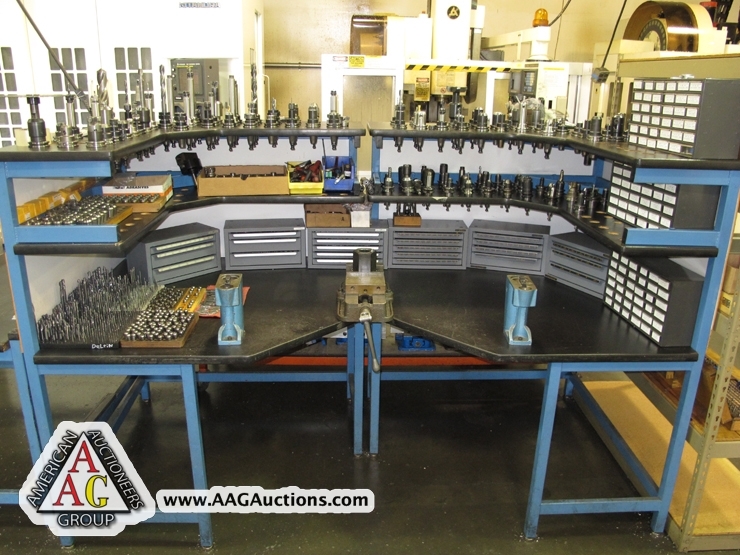 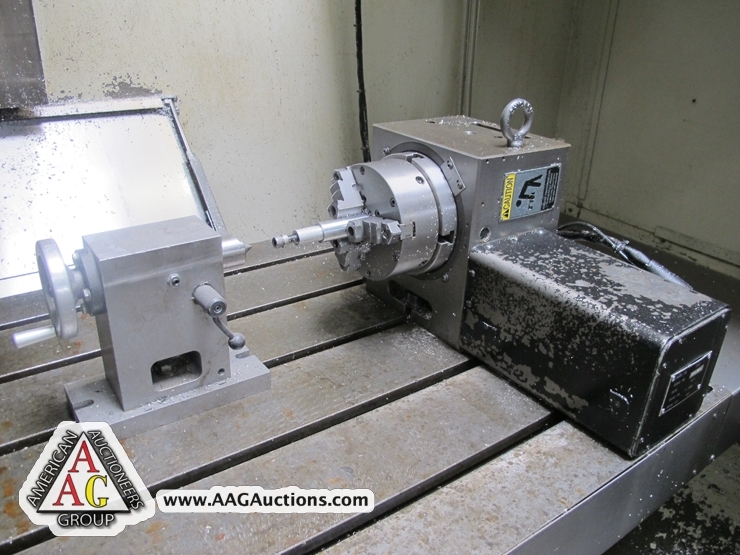 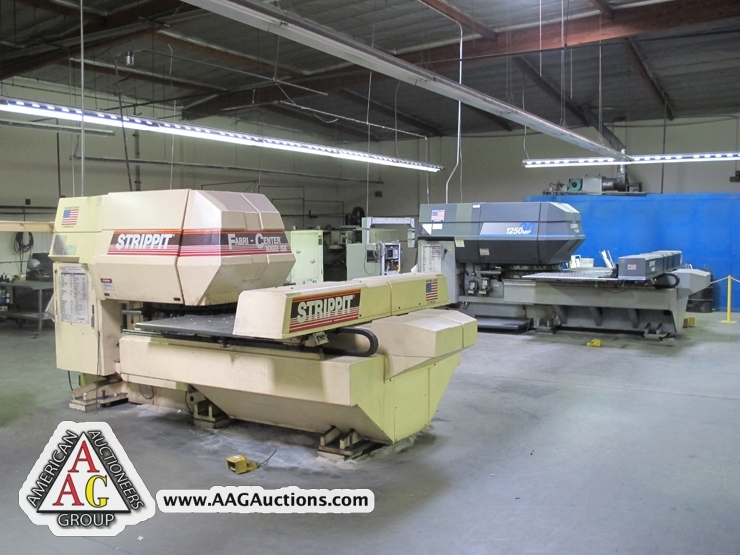 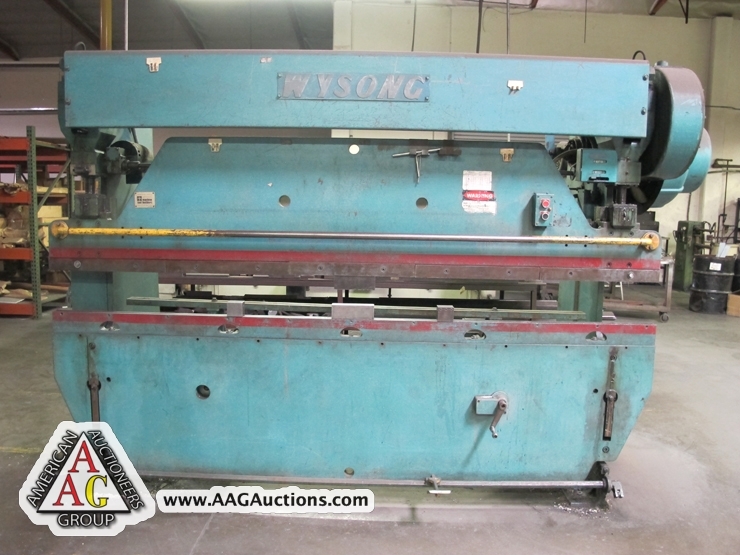 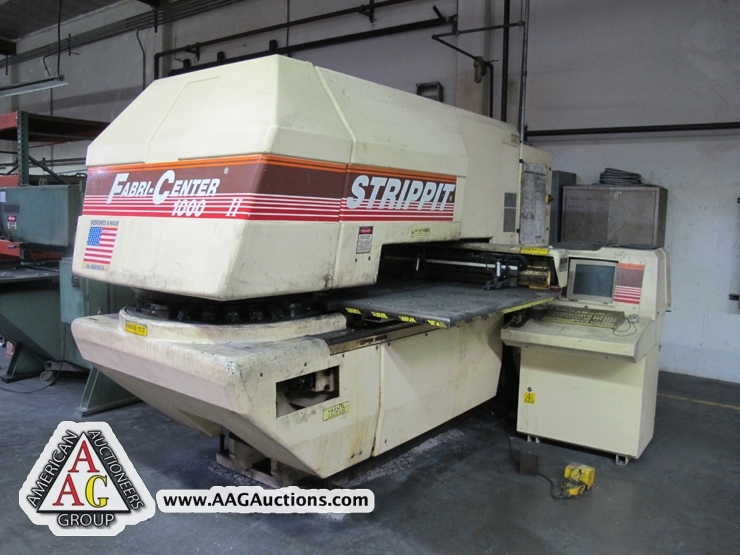 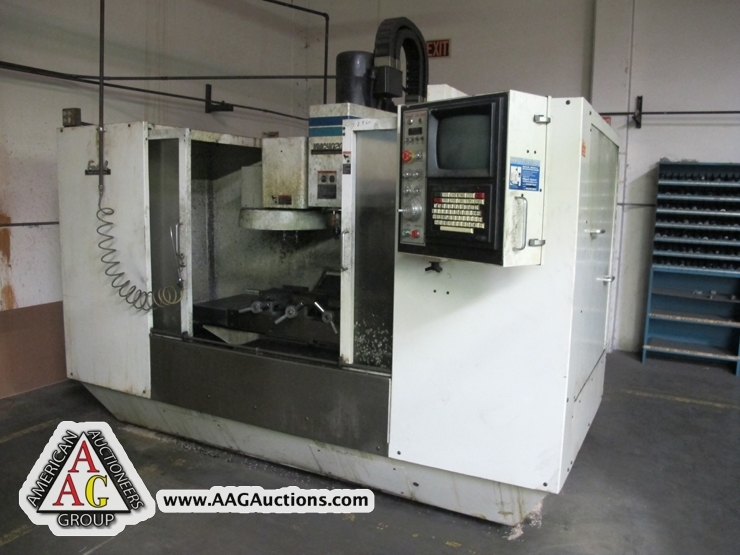 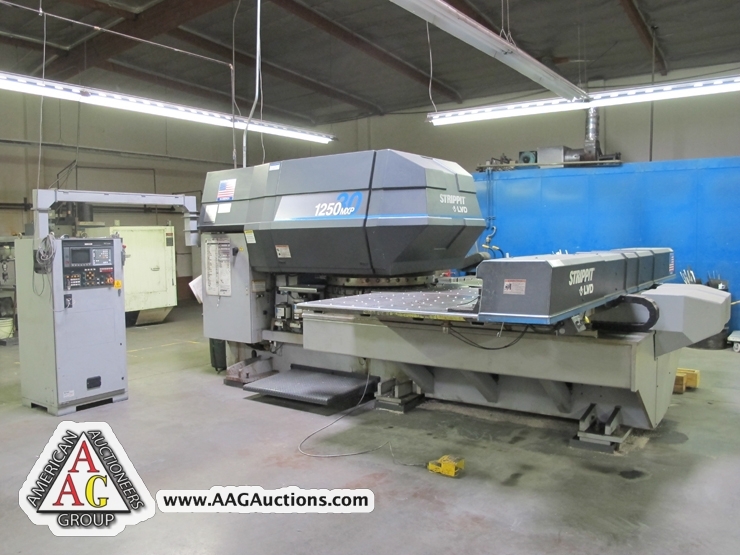 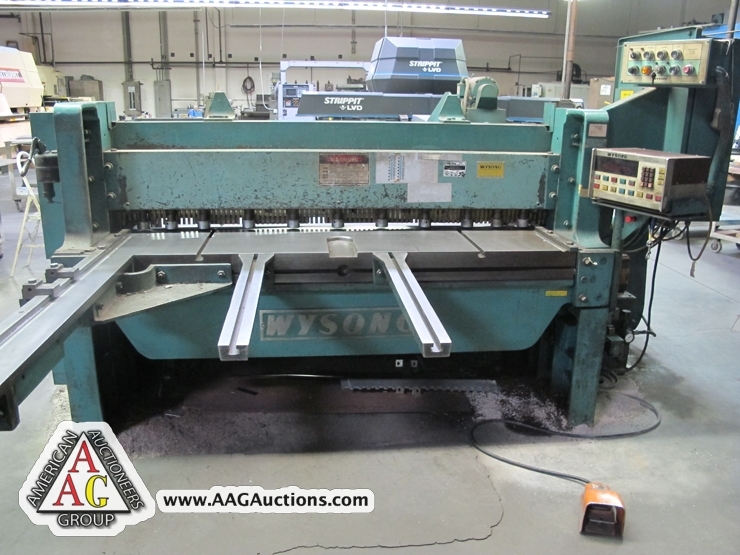 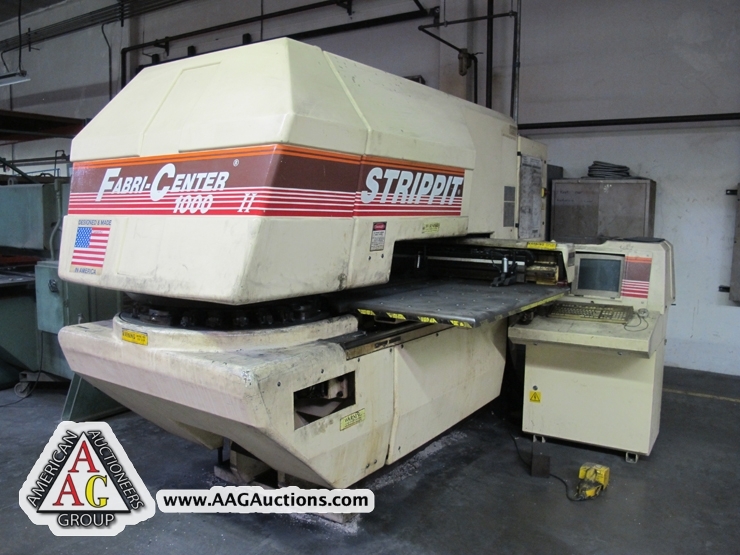 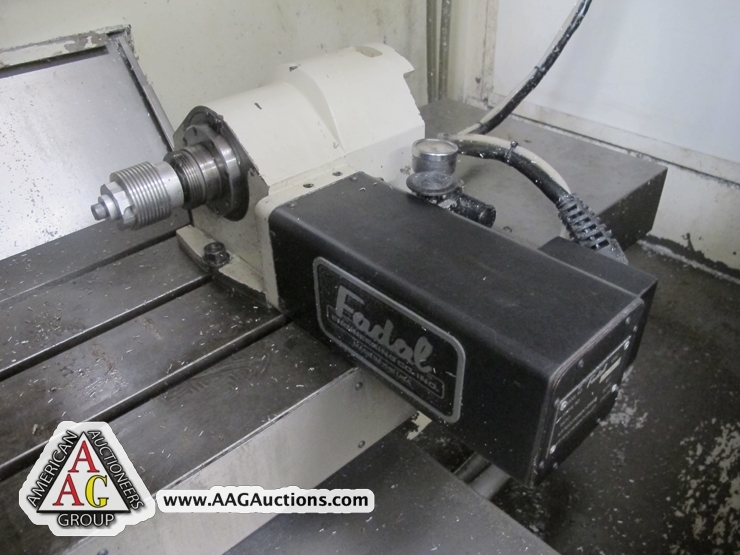 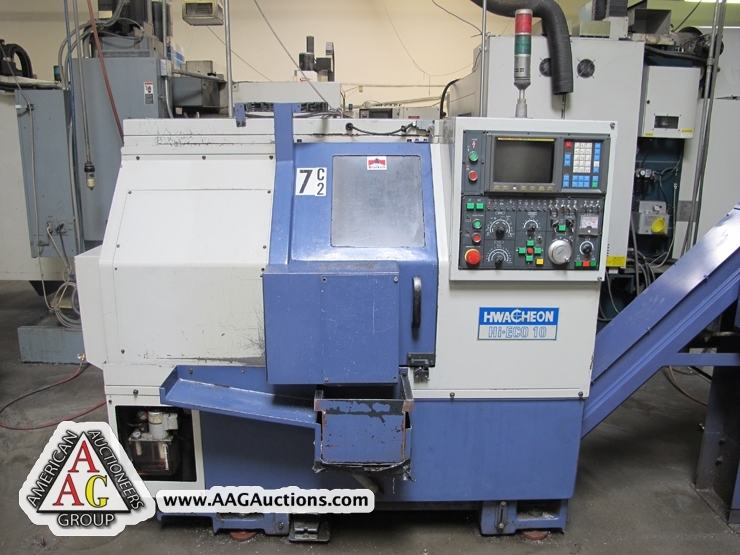 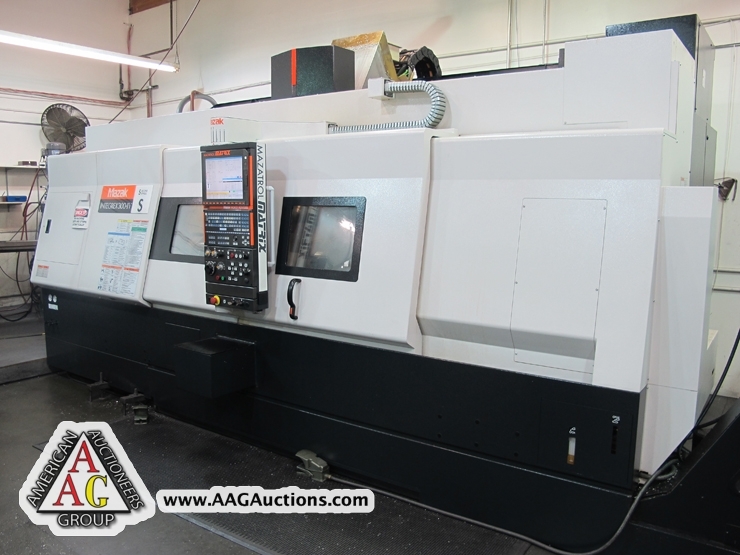 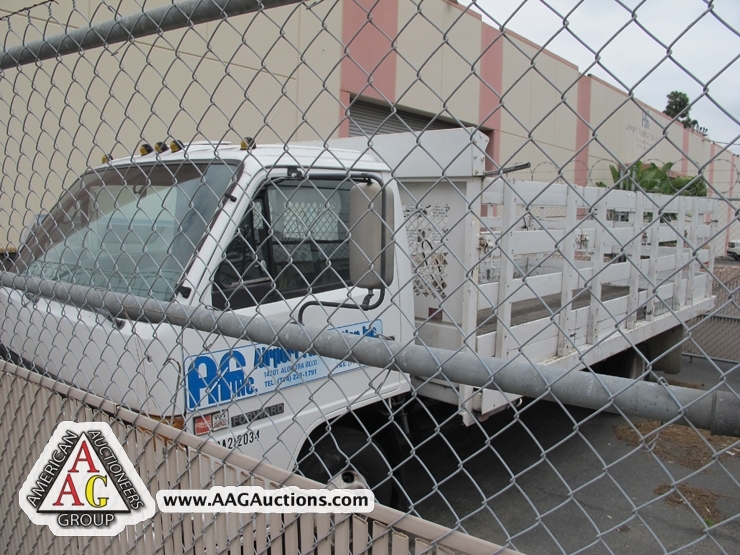 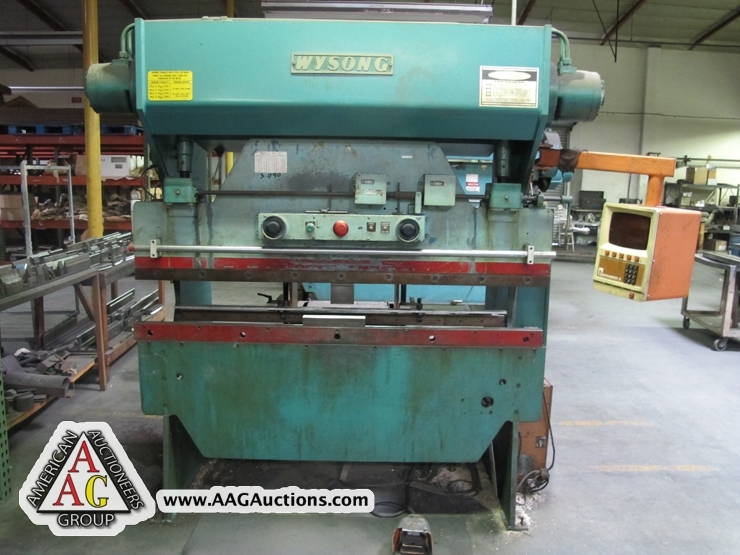 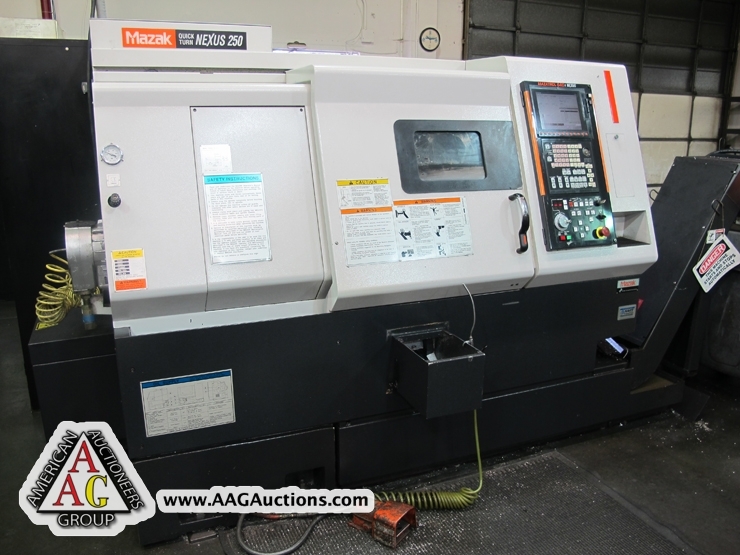 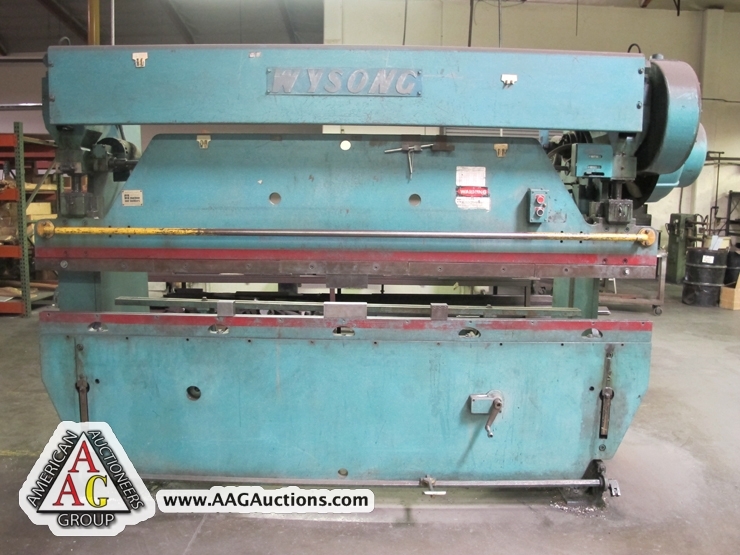 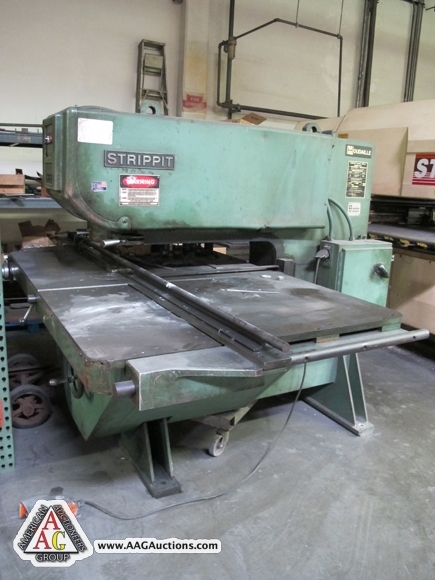 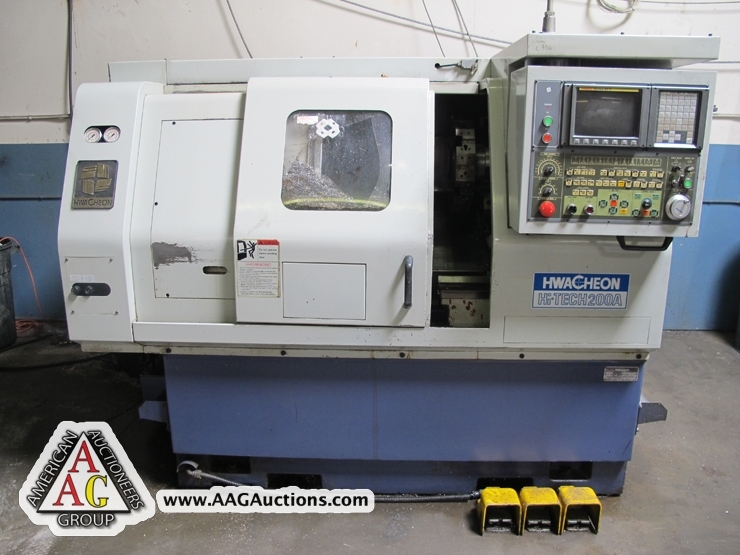 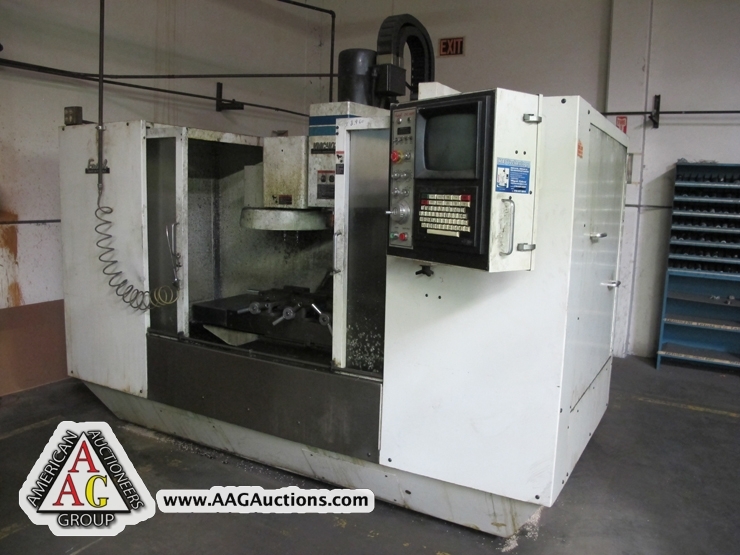 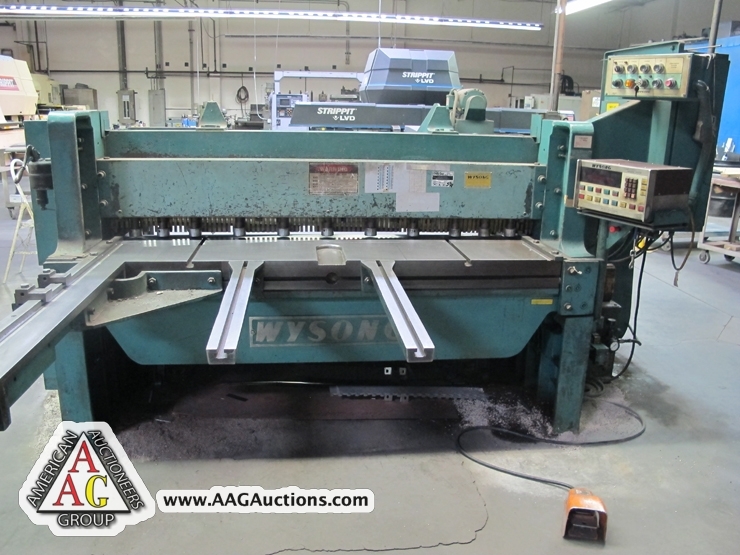 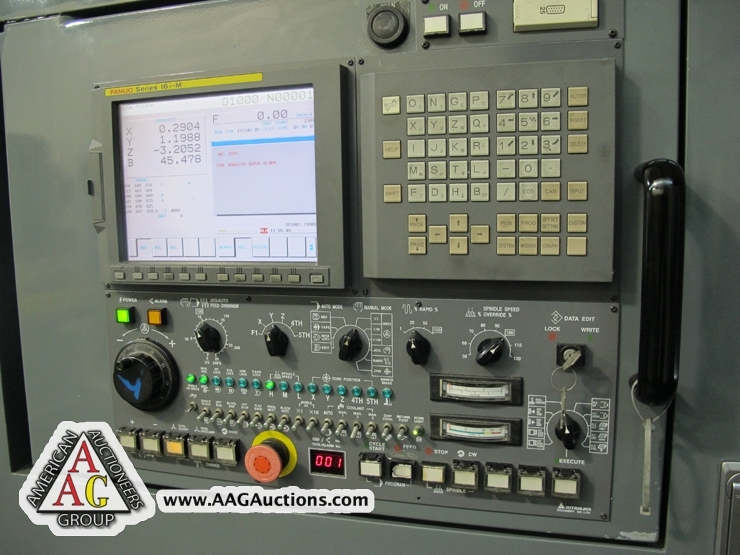 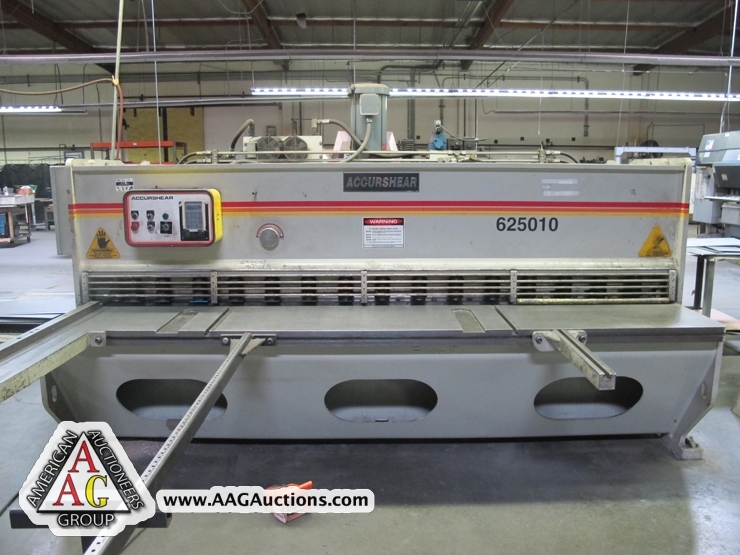 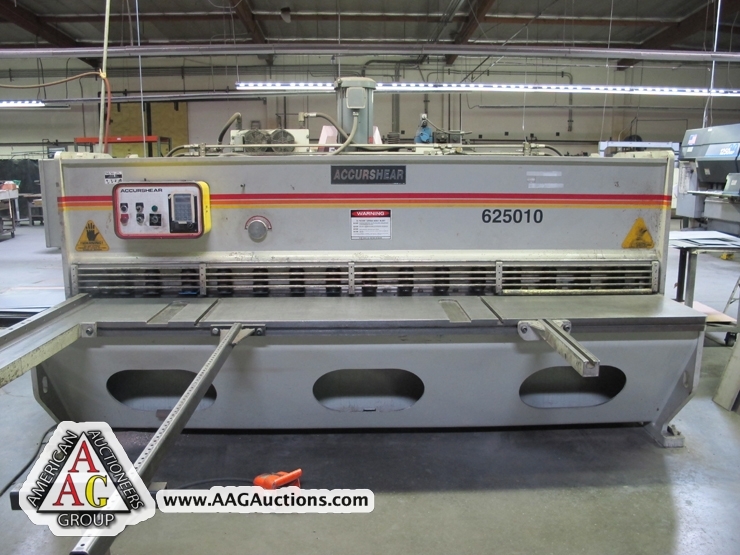 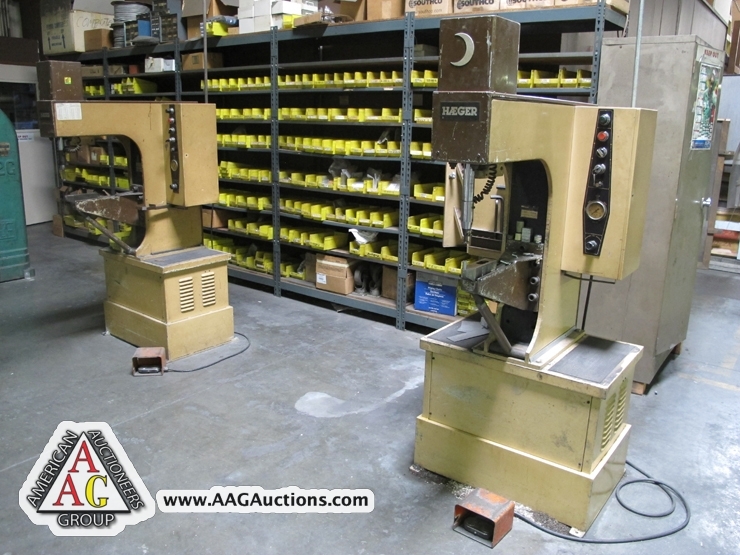 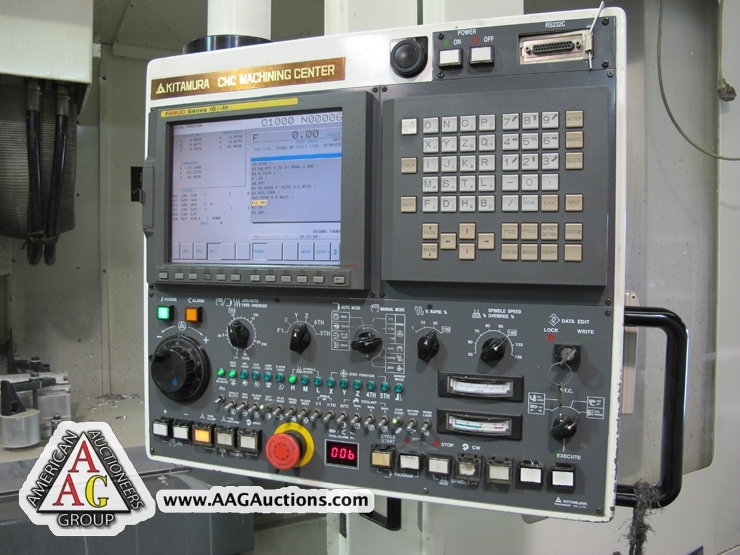 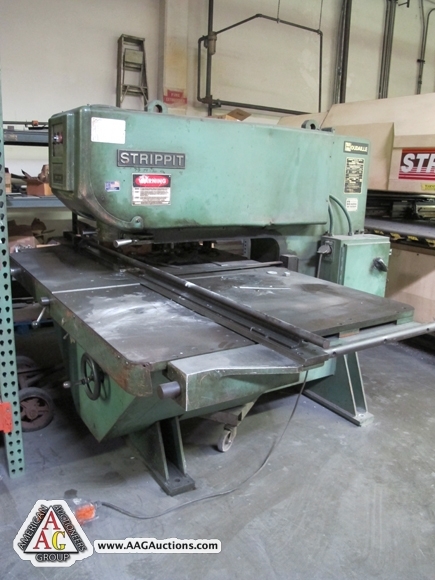 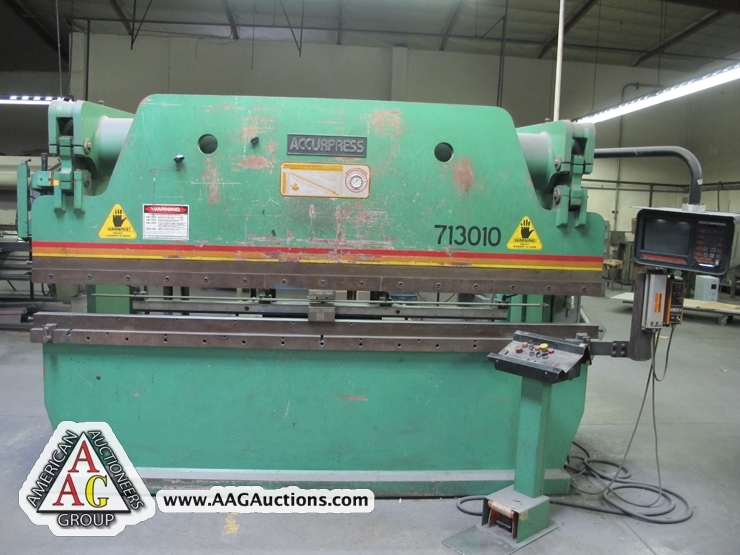 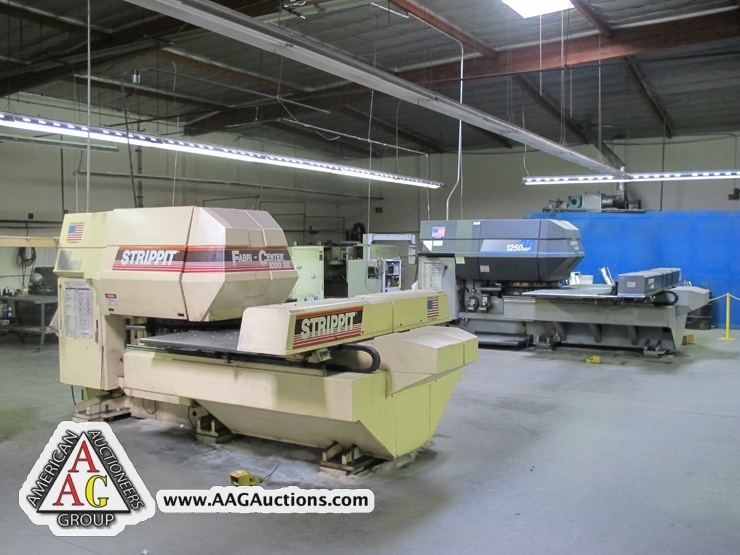 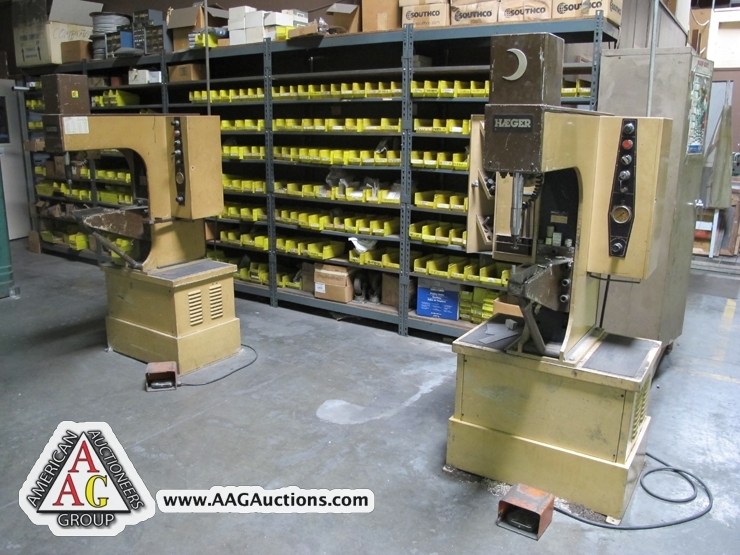 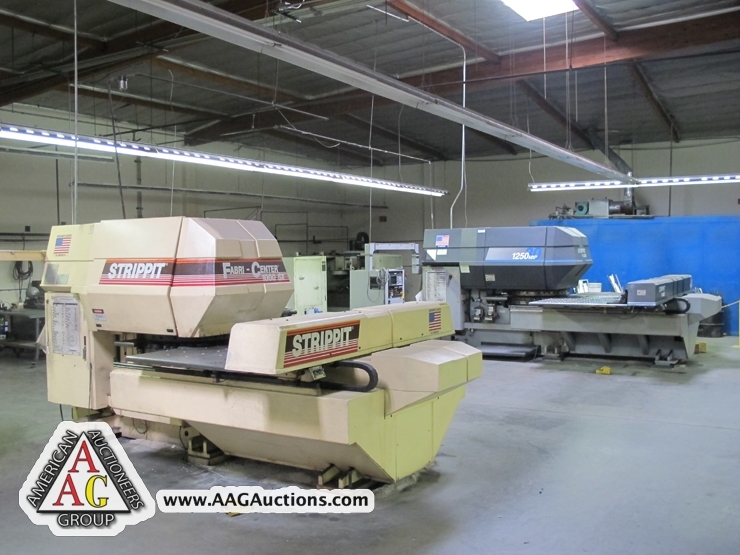 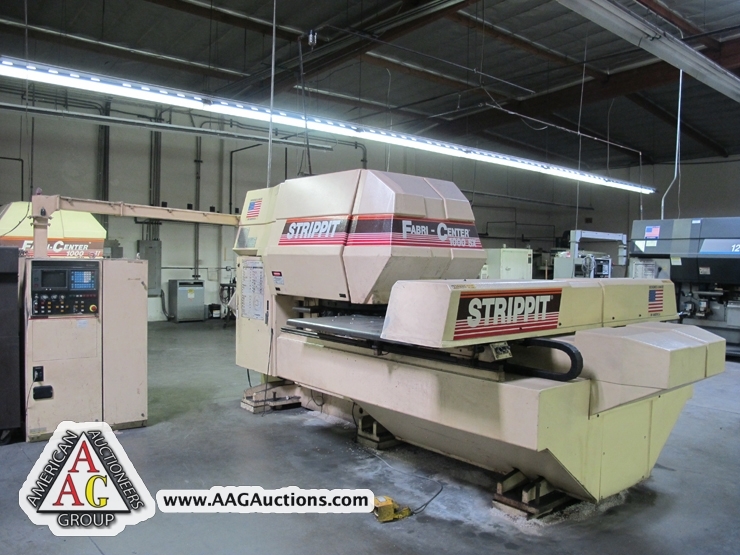 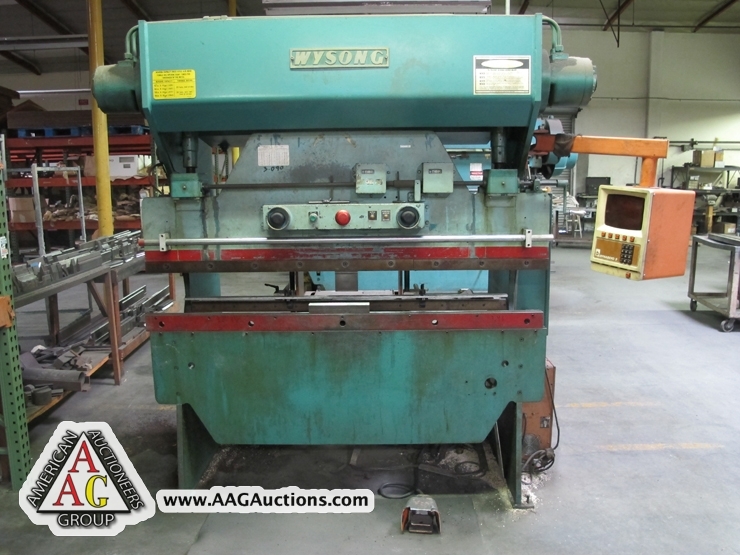 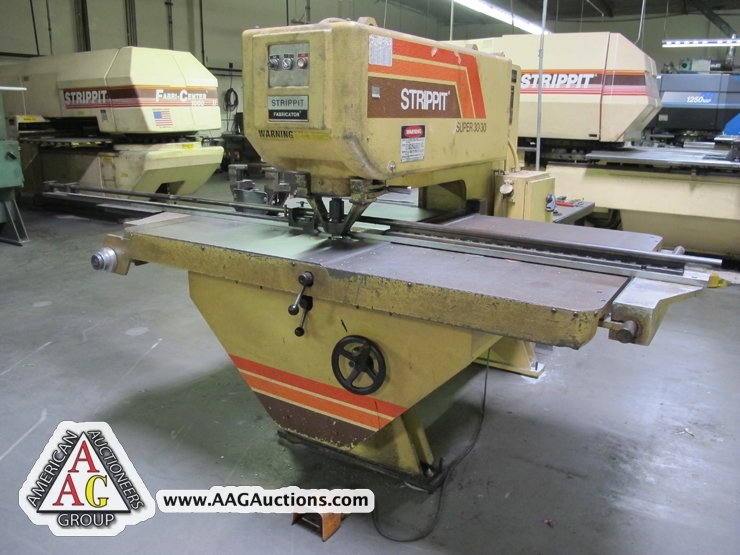 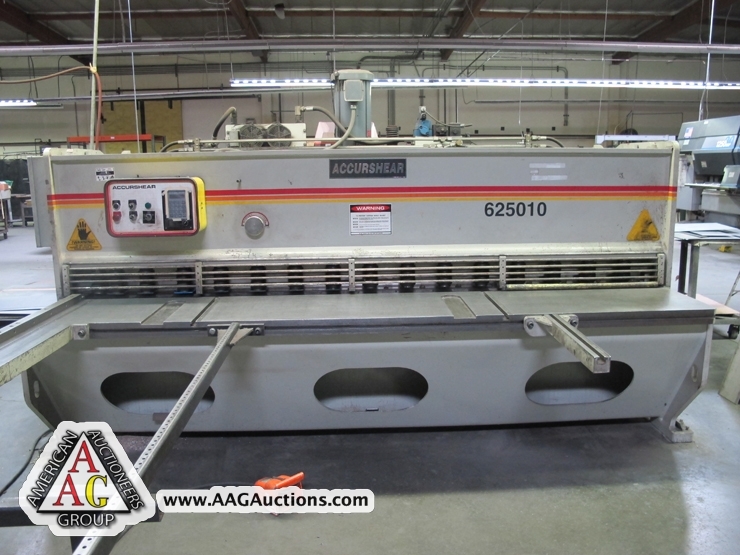 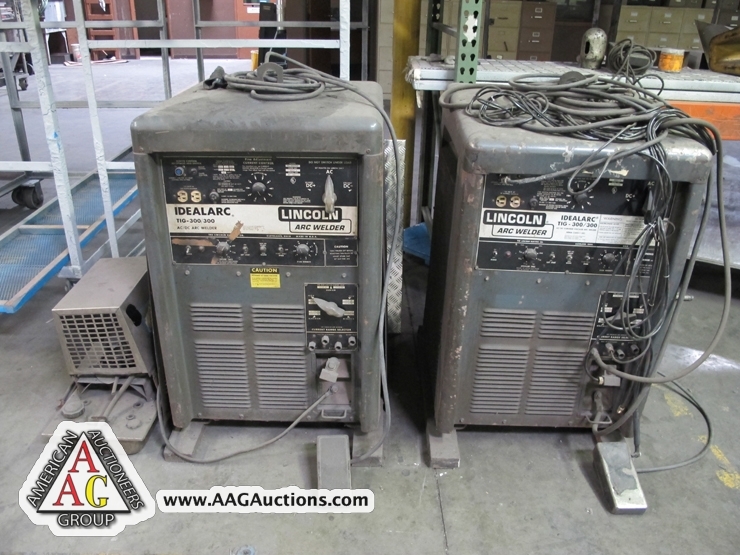 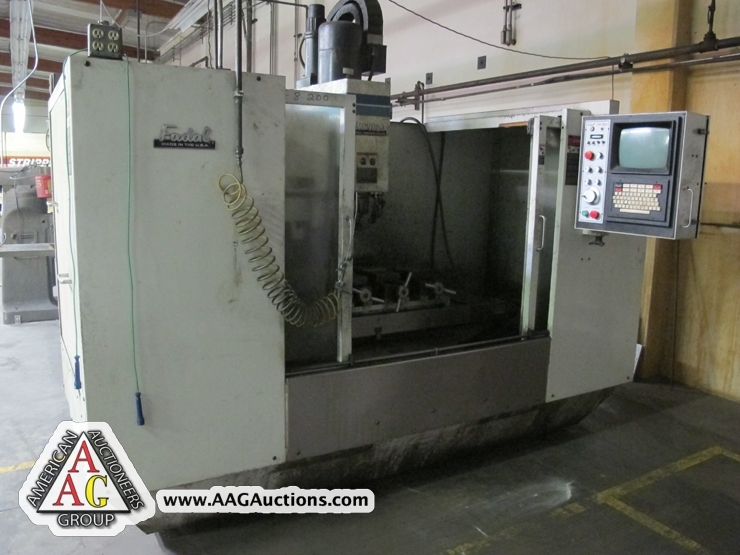 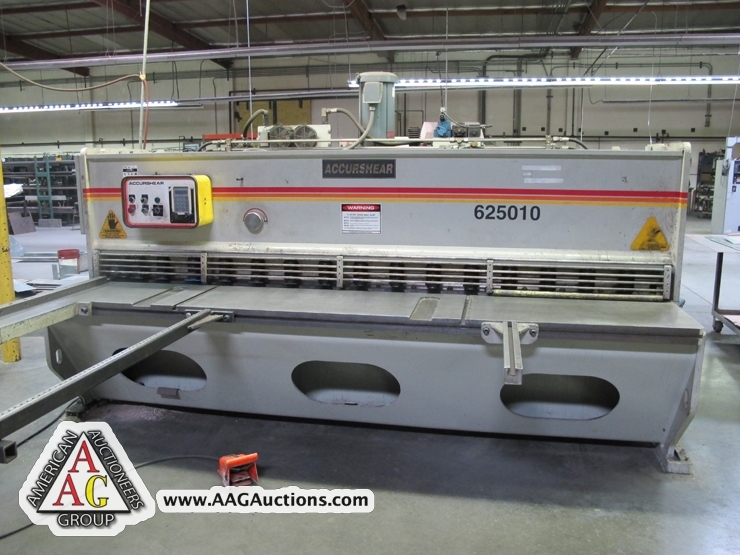 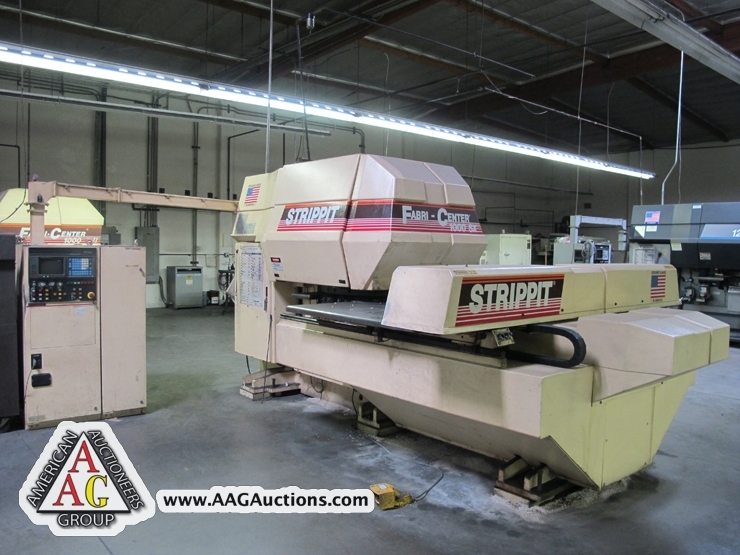 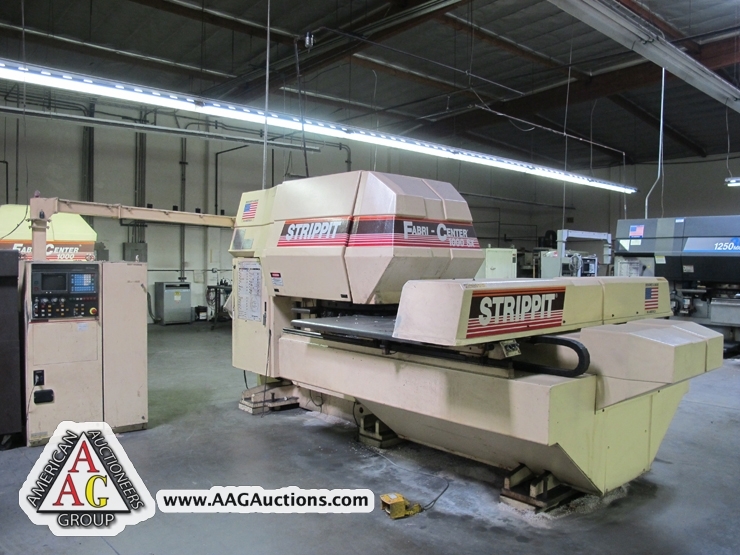 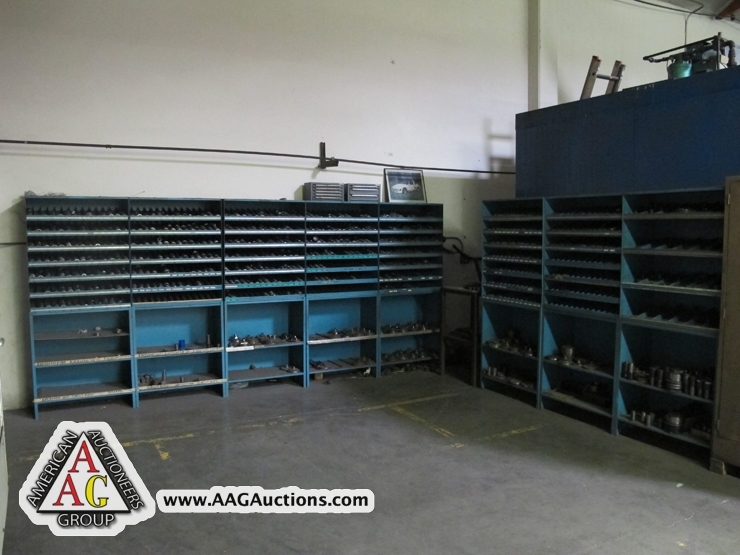 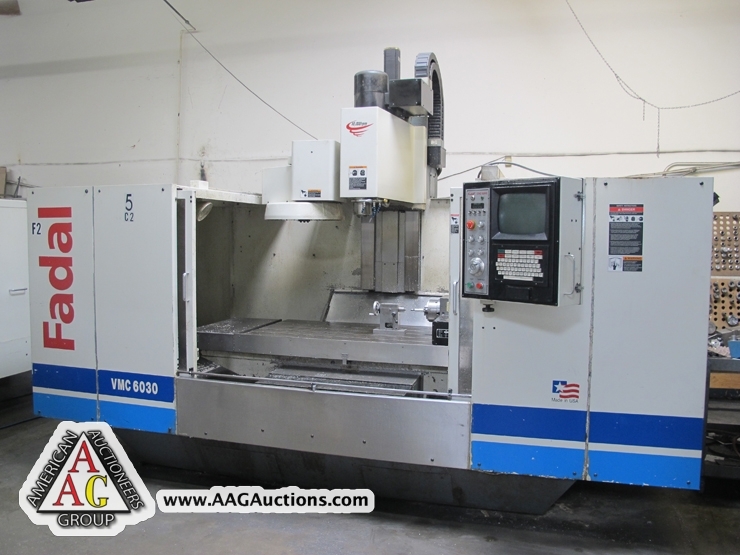 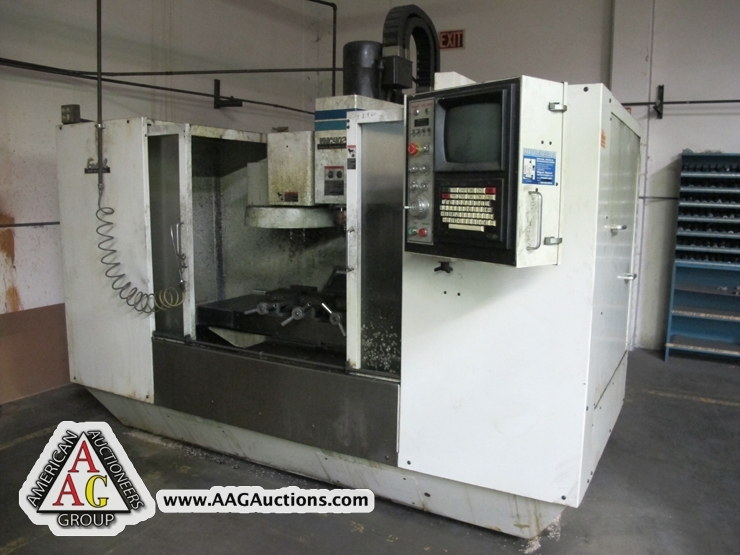 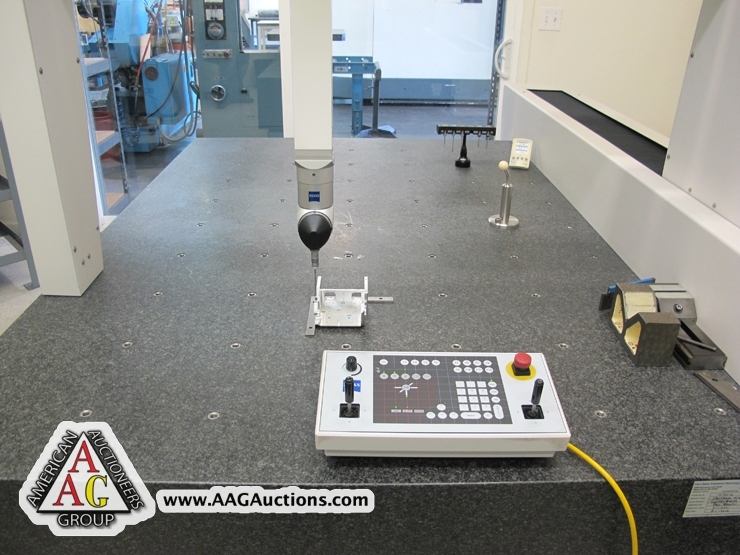 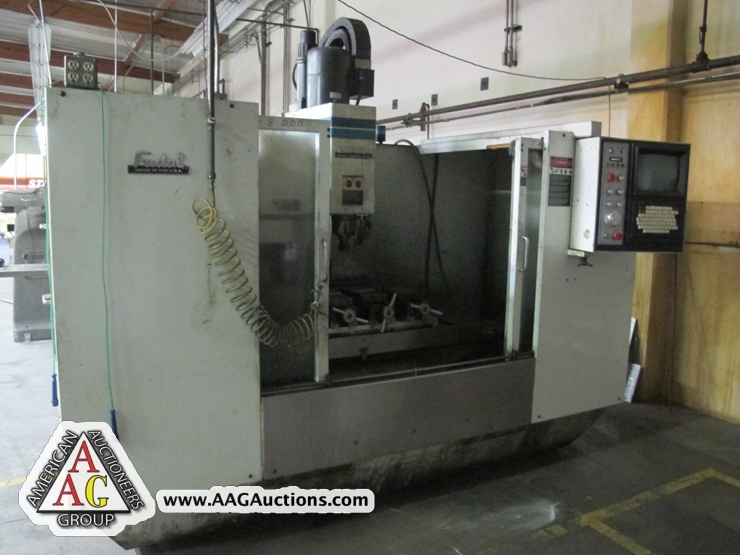 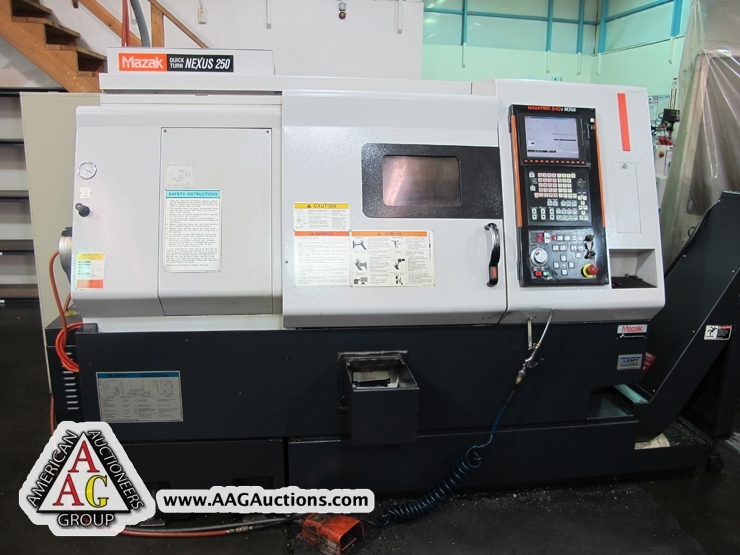 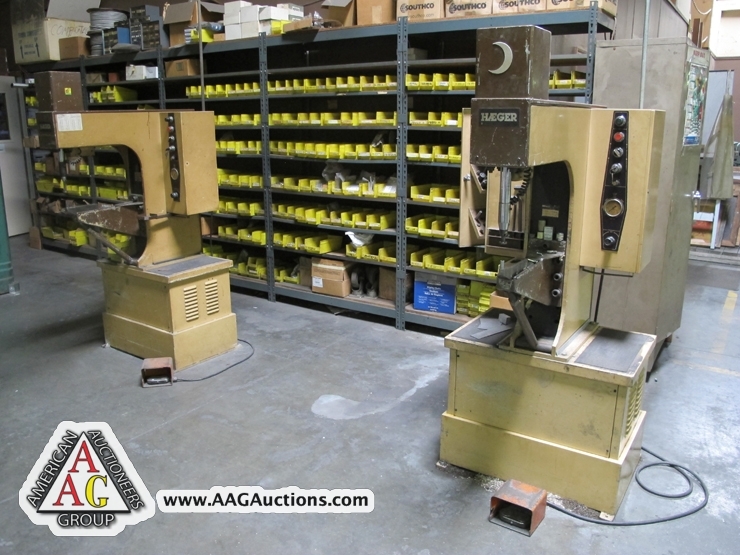 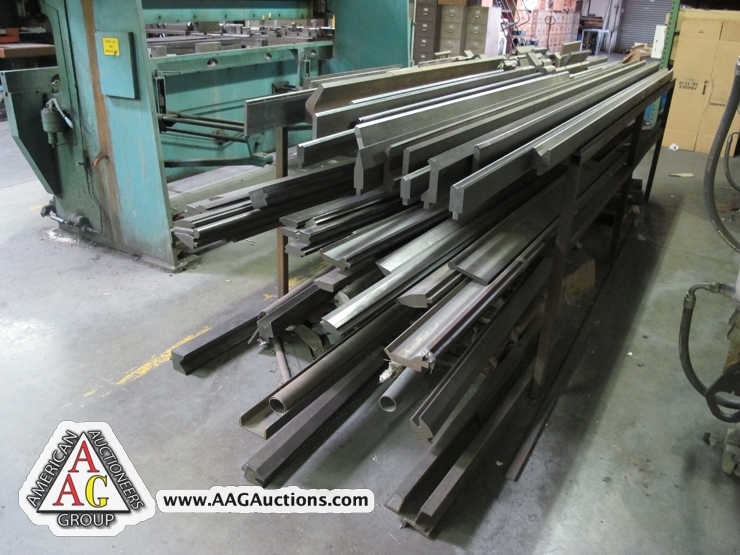 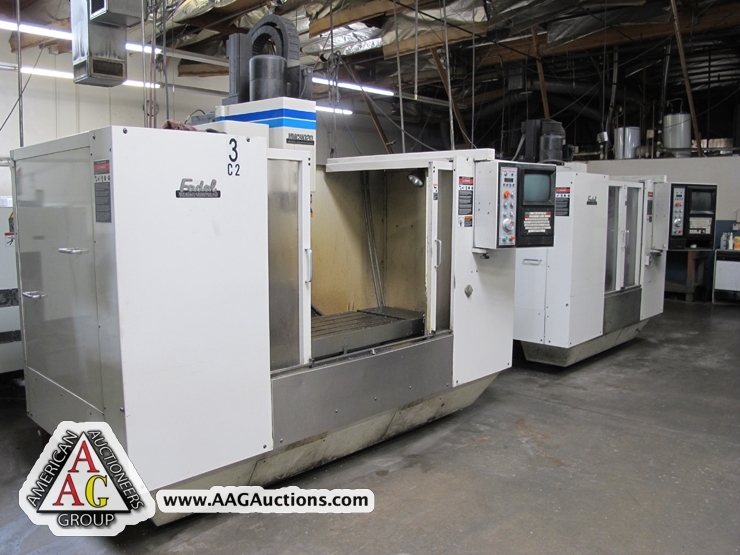 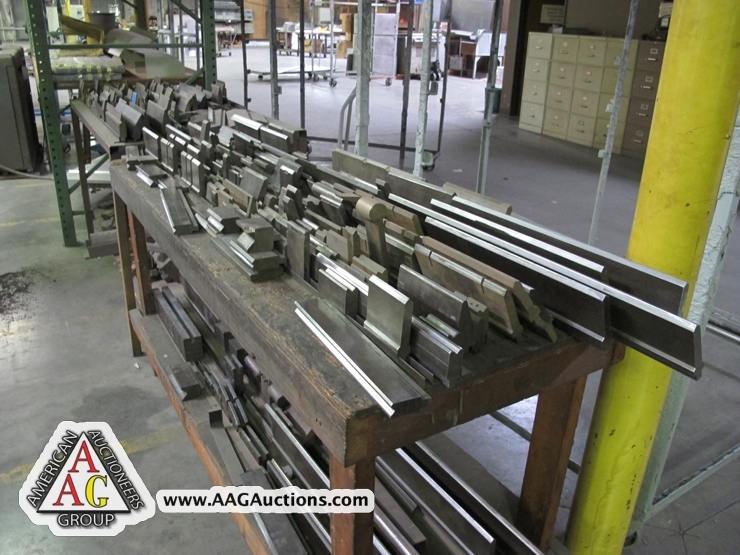 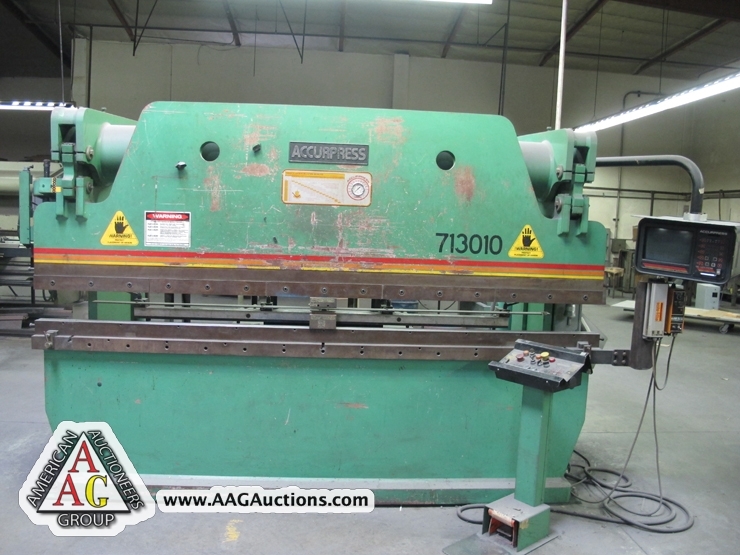 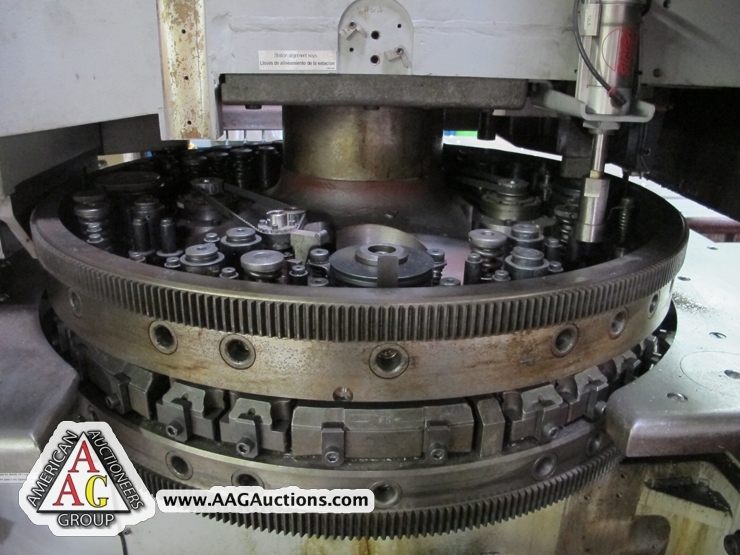 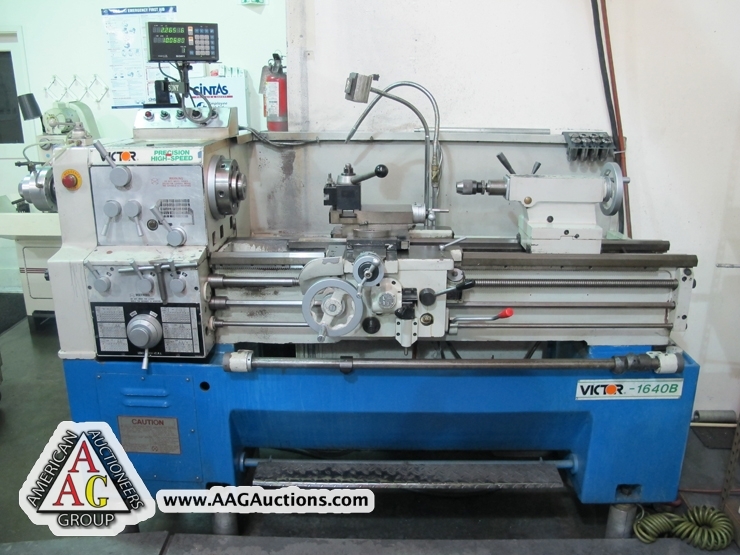 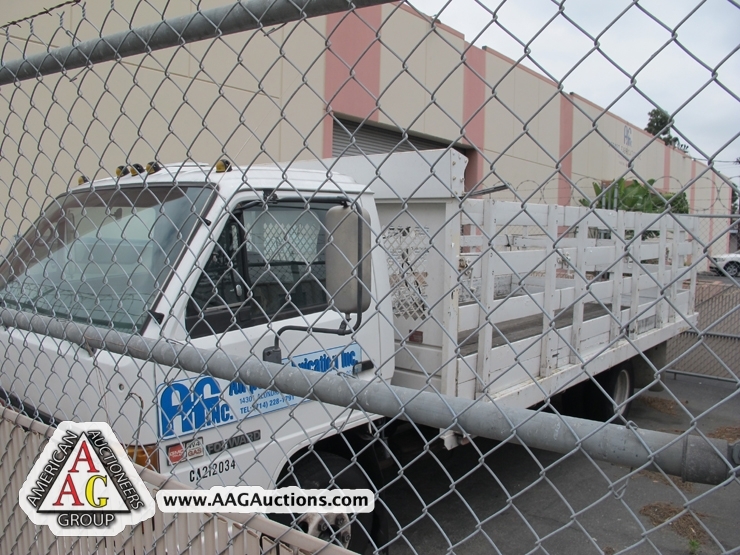 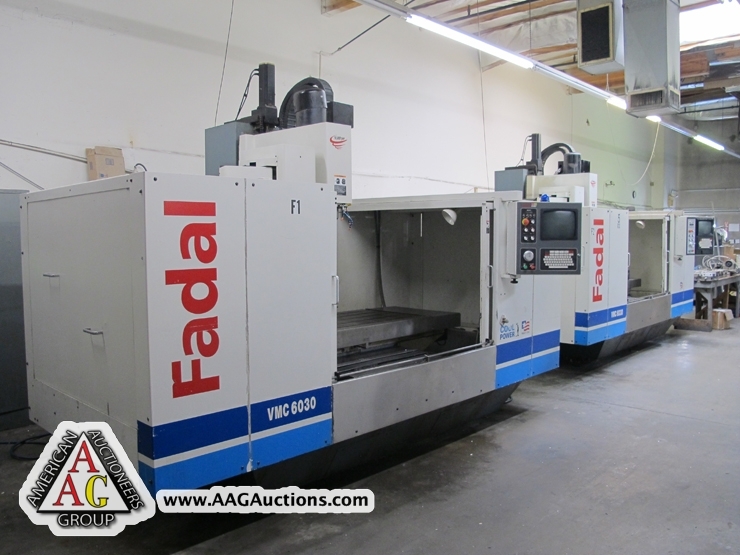 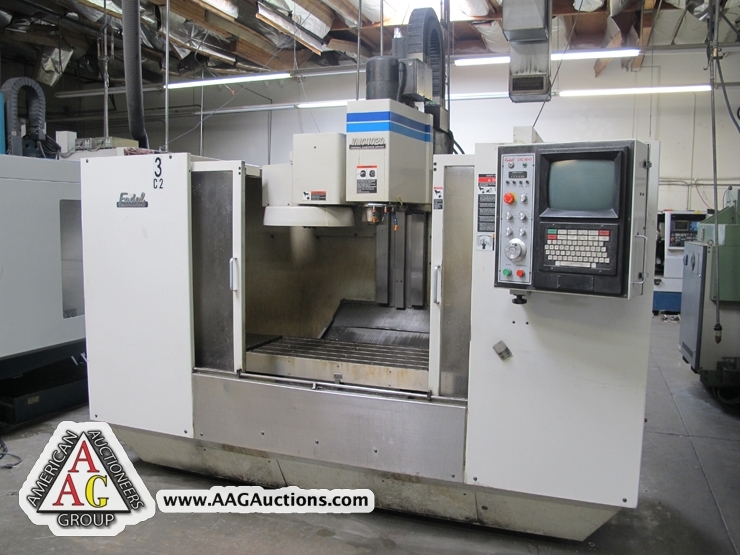 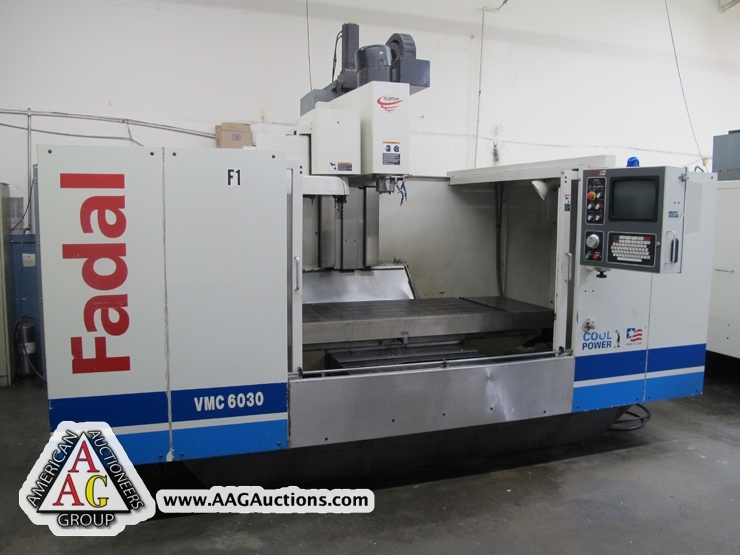 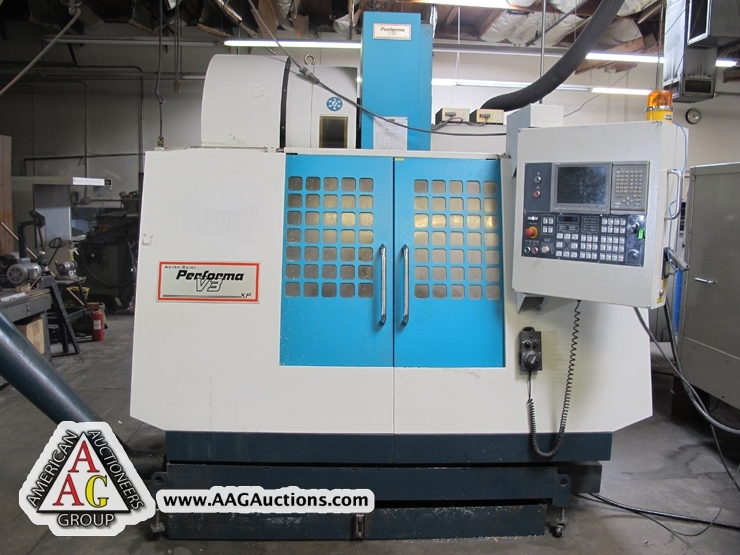 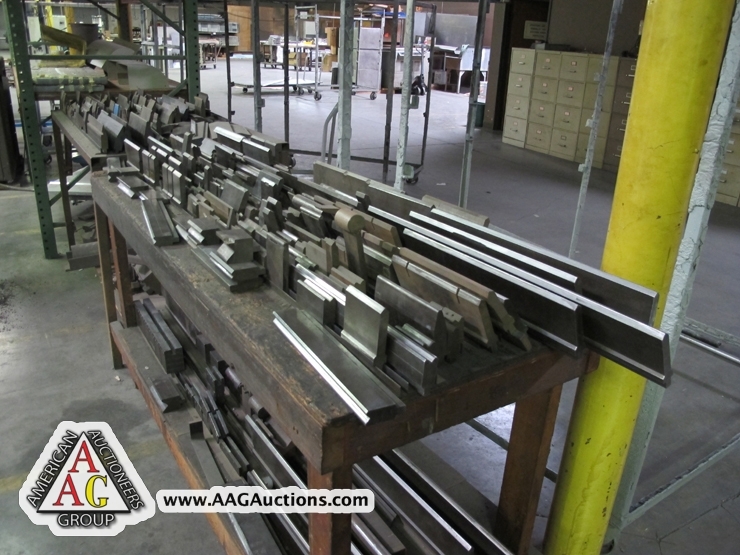 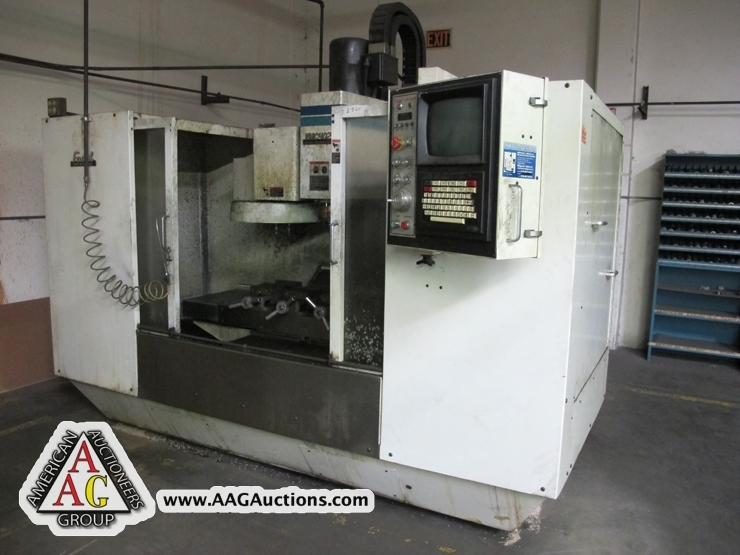 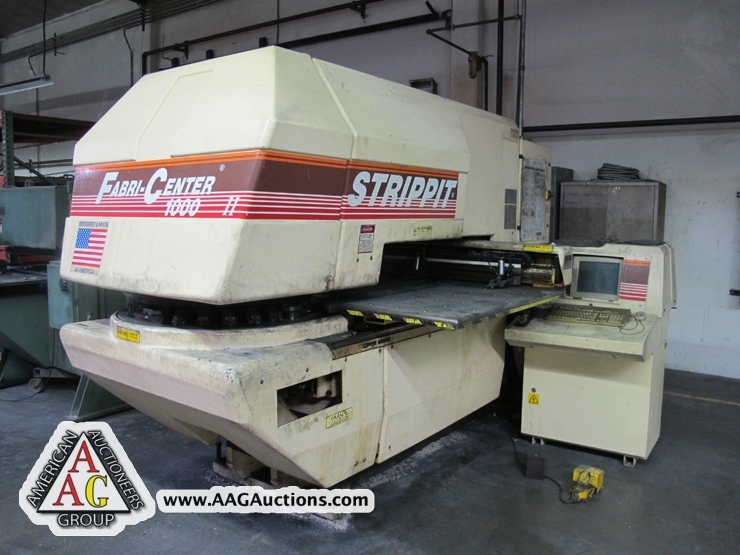 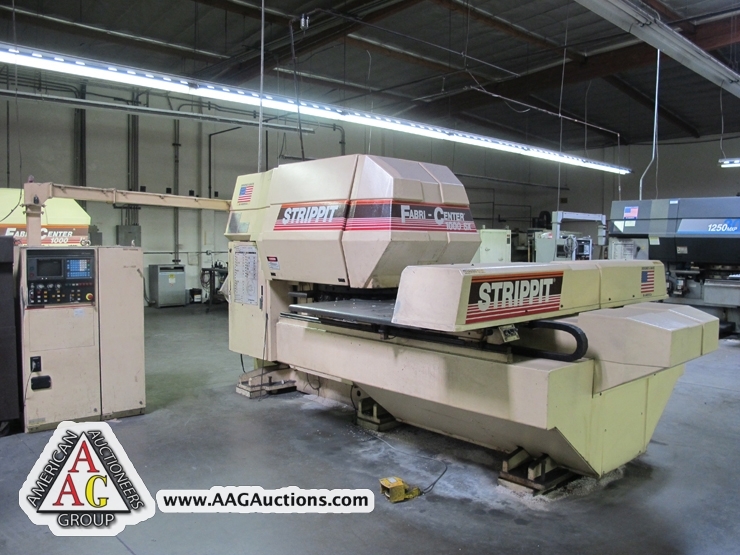 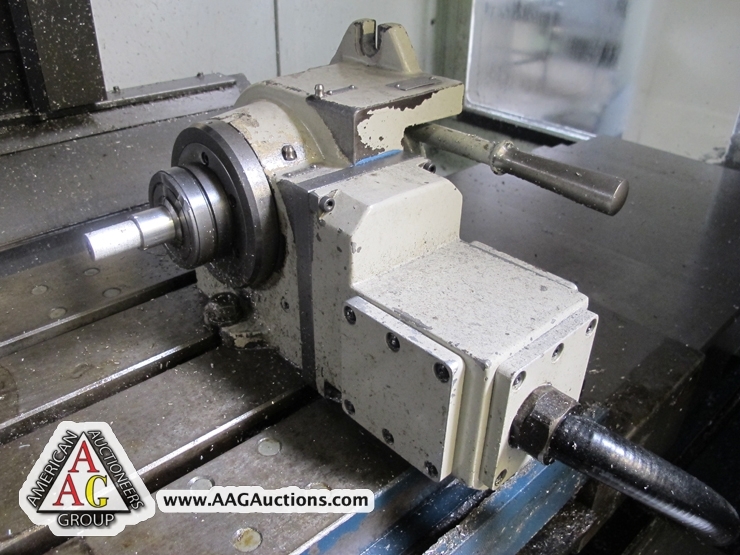 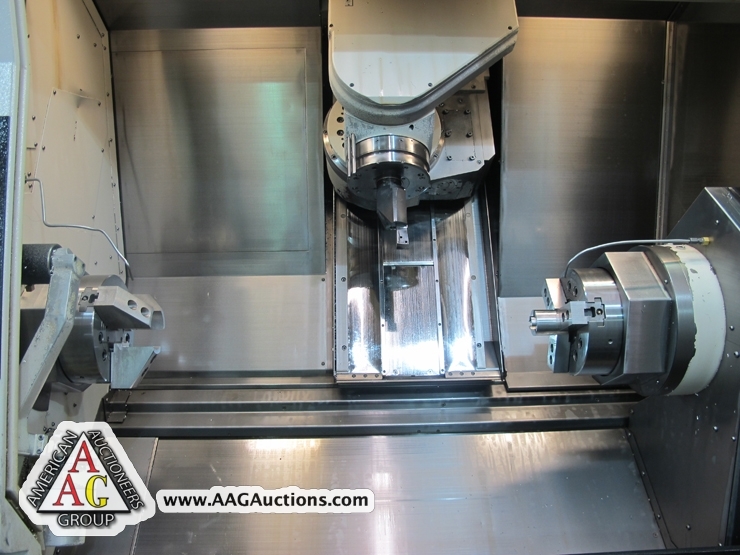 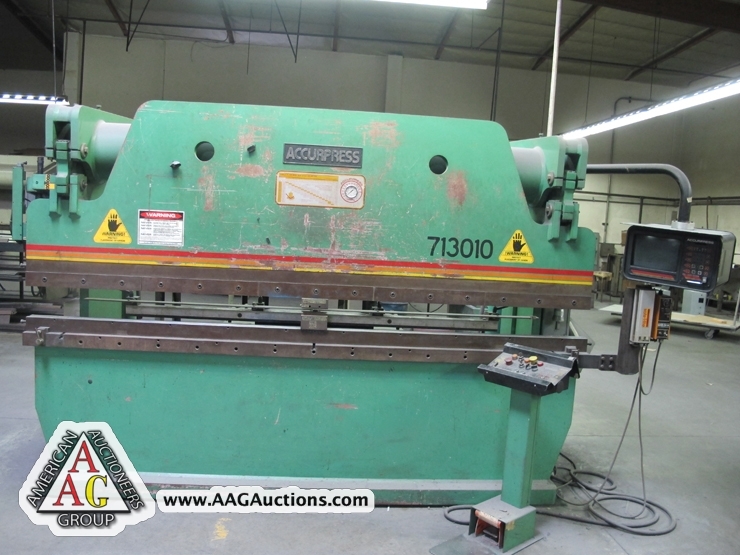 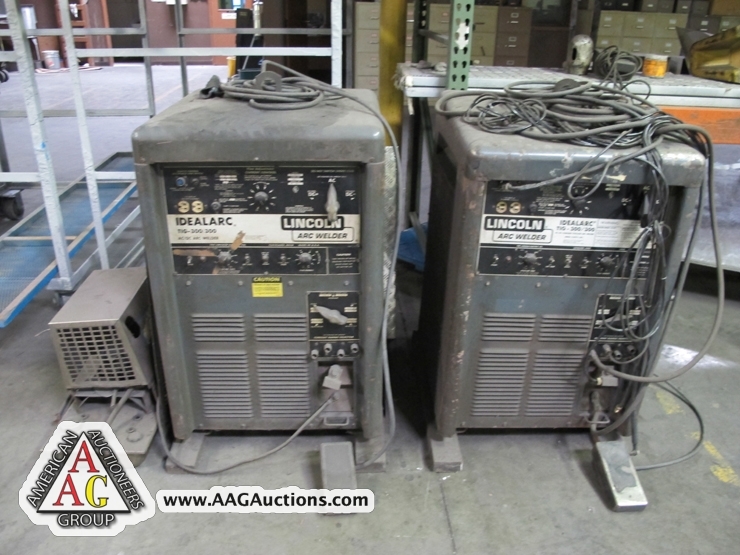 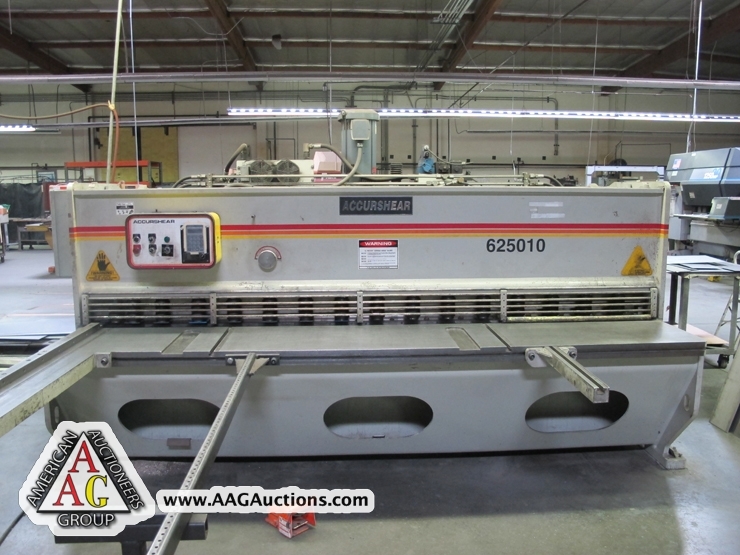 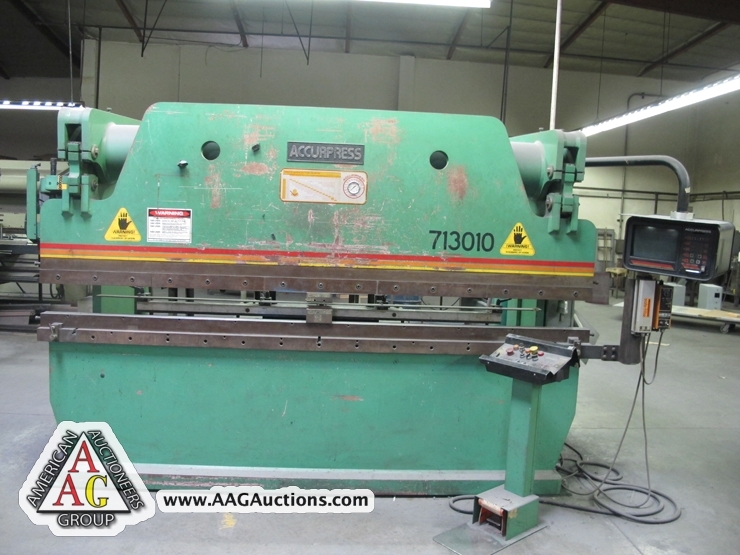 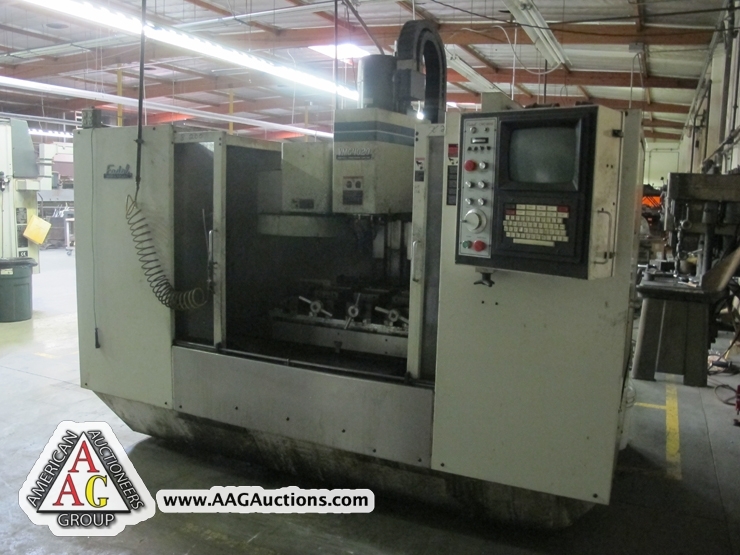 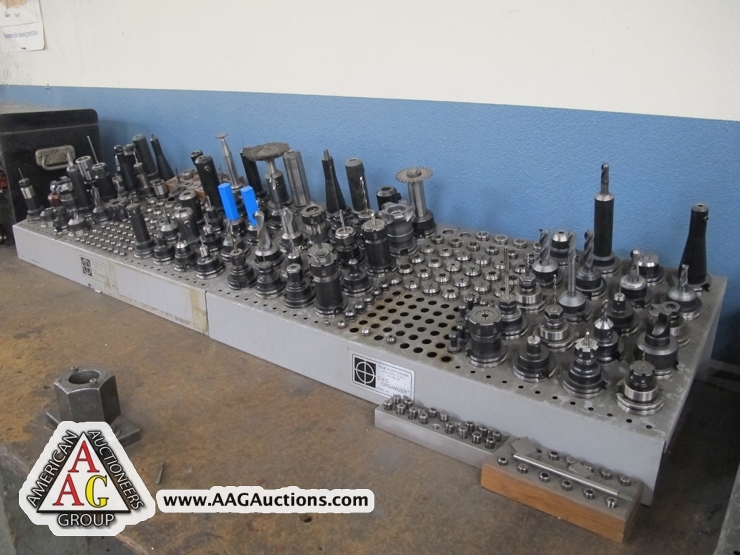 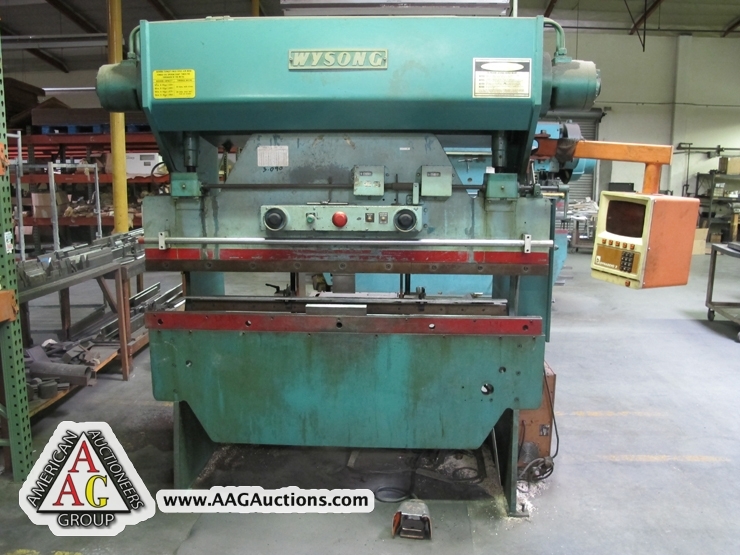 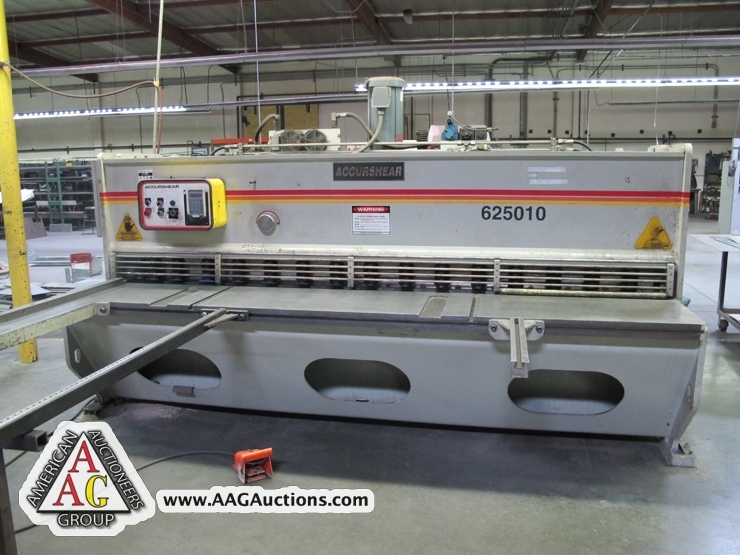 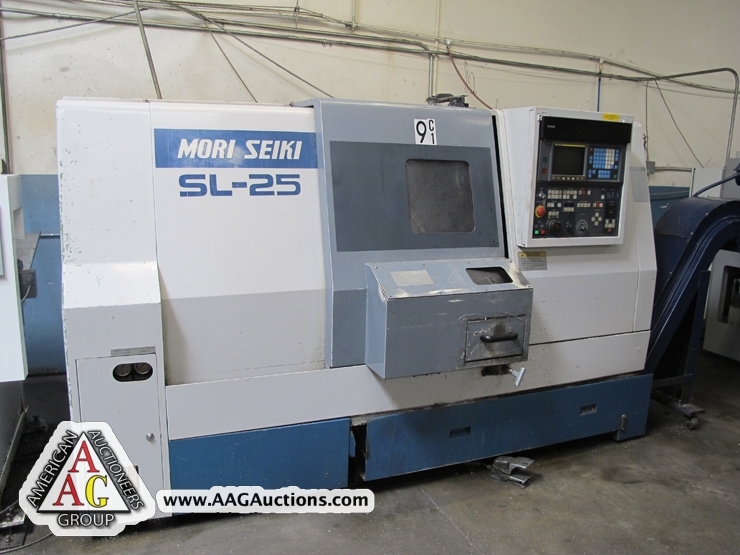 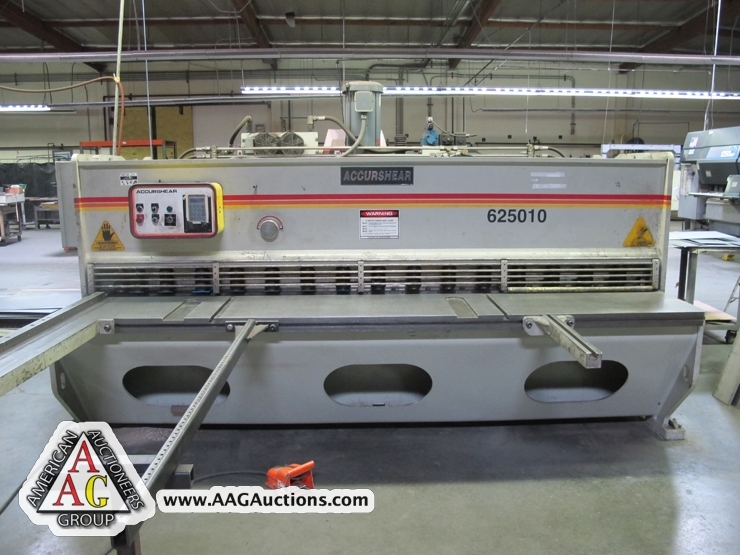 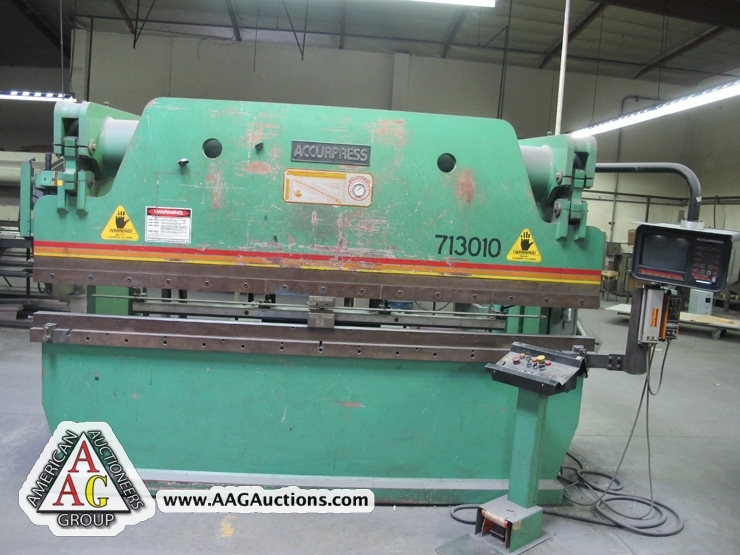 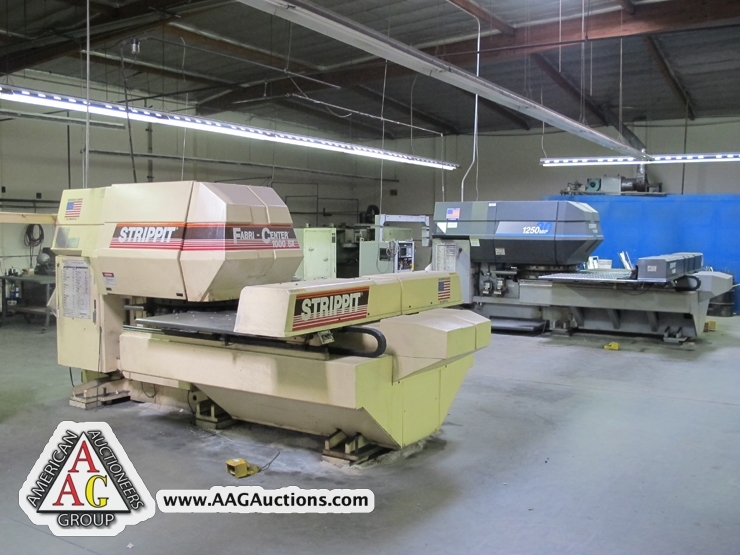 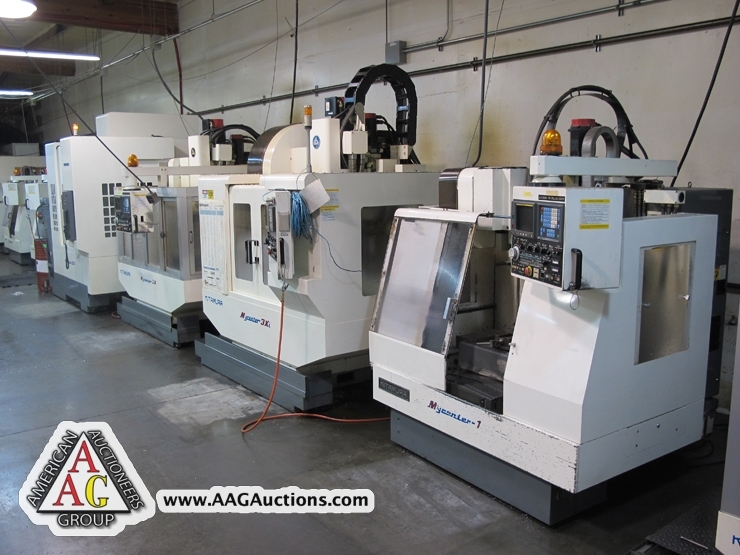 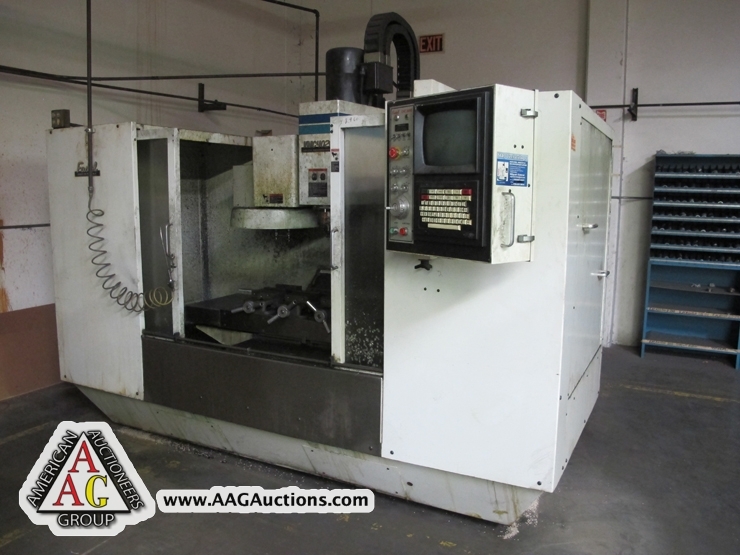 AUCTION DATE: TUESDAY, June 12, 2012 – STARTING @ 11:00 A.M.
(3) SHARP 3HP CNC VERTICAL MILL WITH CHROME WAYS, PROTO TRAK M2 CONTROLS, 2 AXIS, 10” X 51” TABLE SHARP VERTICAL MILL WITH SONY DRO, P.F. 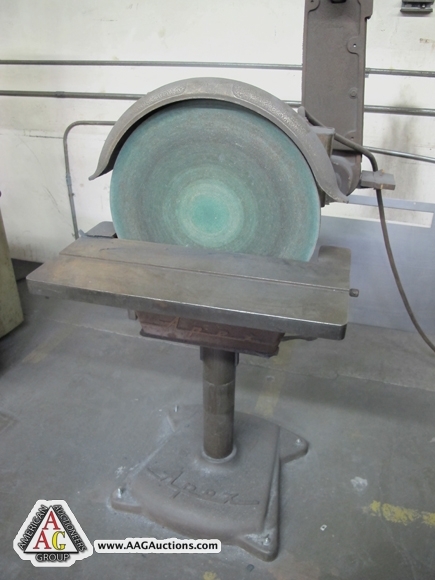 AND VAR SPD, 9 X 42. 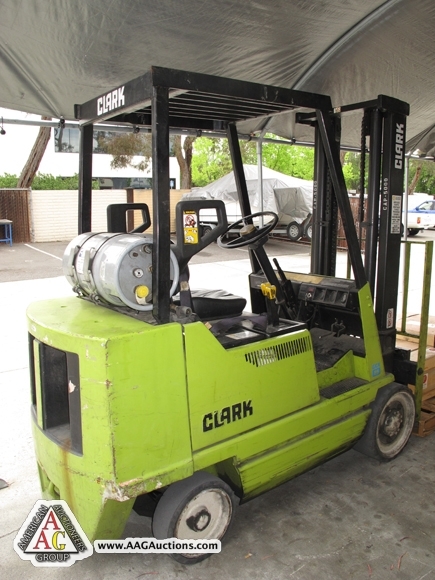 HELI COIL MODEL 8510-10 MACHINE, PNEUMATIC CLARK GCX-25, 5000 LB LPG FORKLIFT. 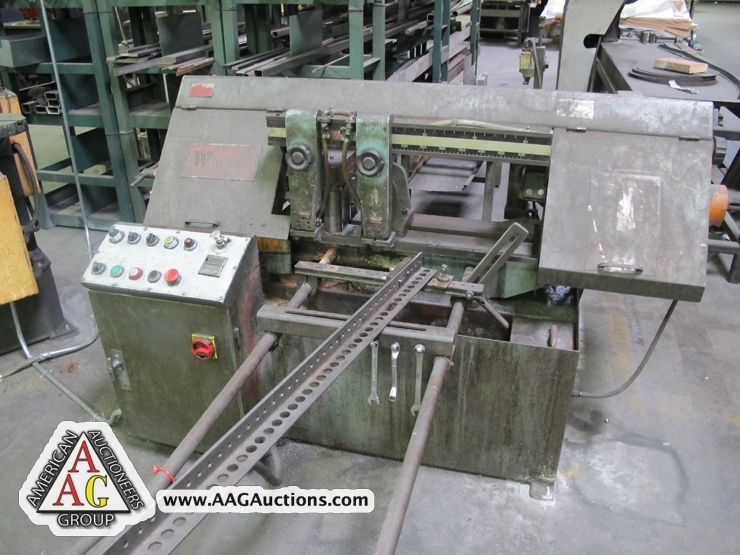 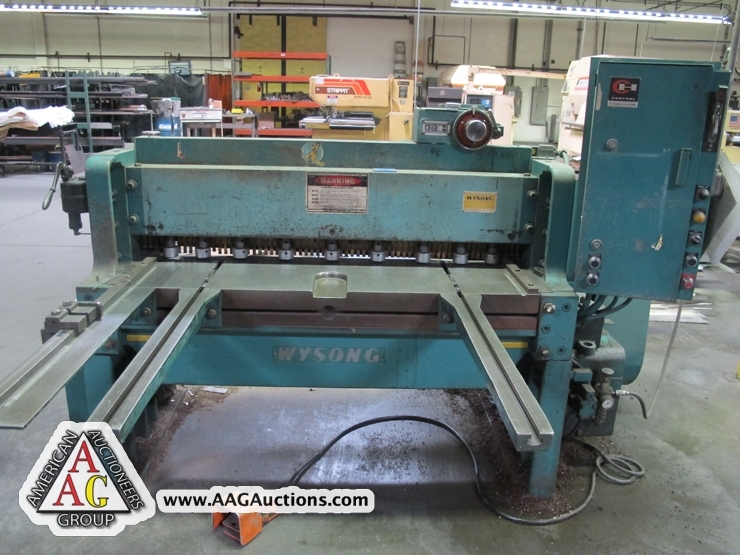 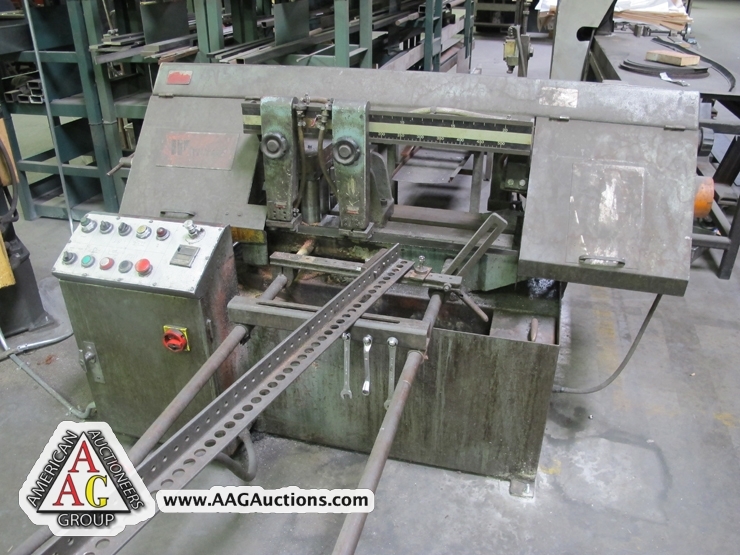 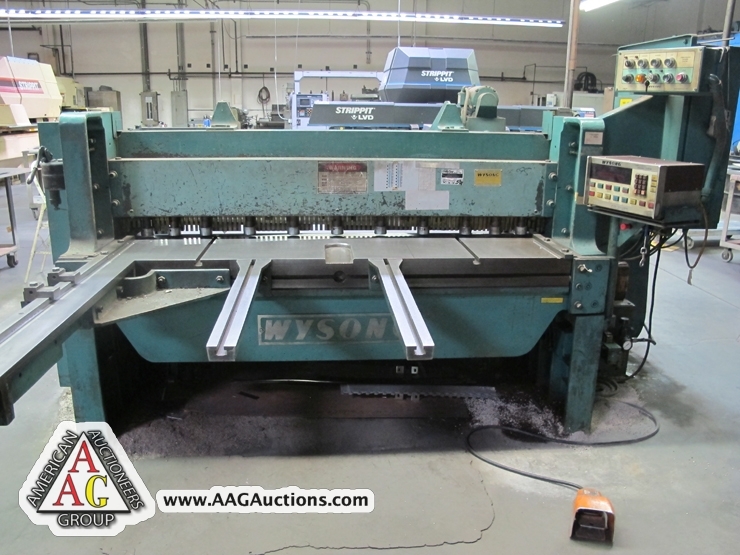 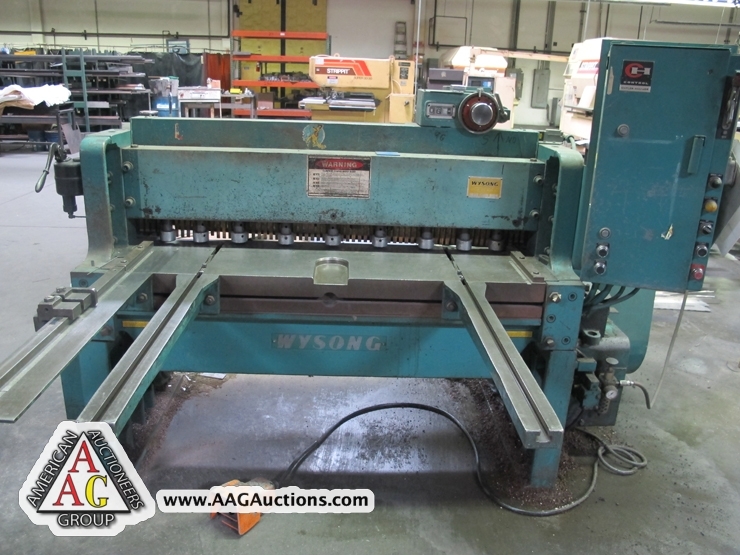 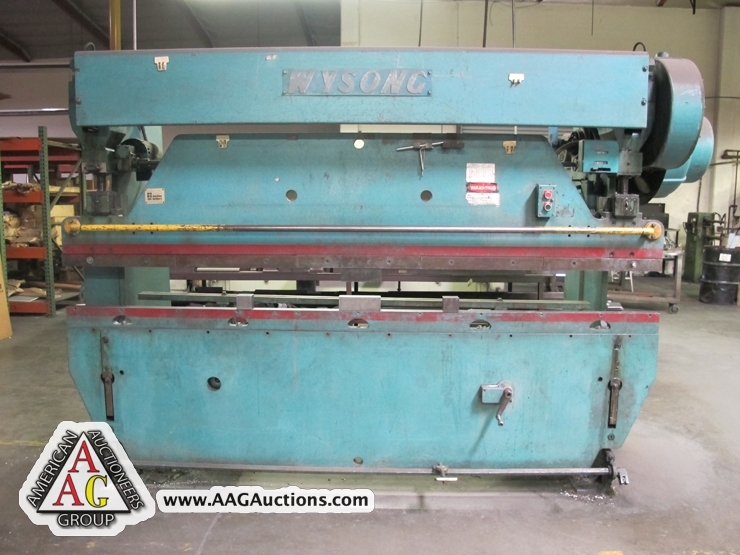 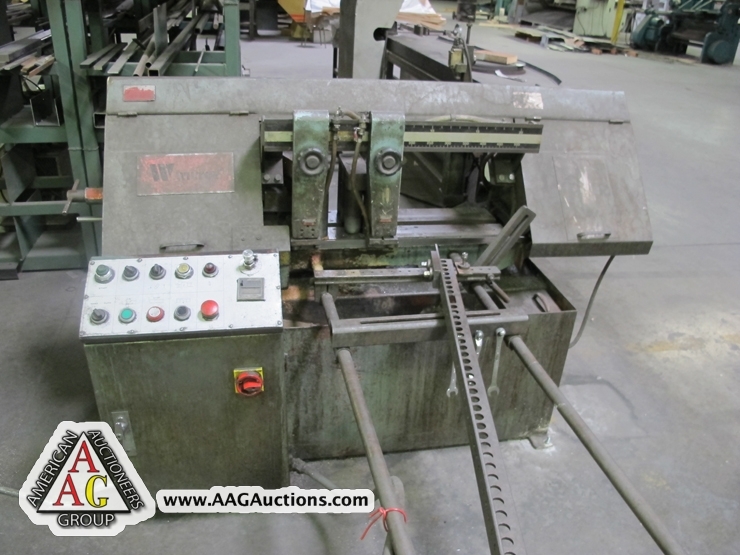 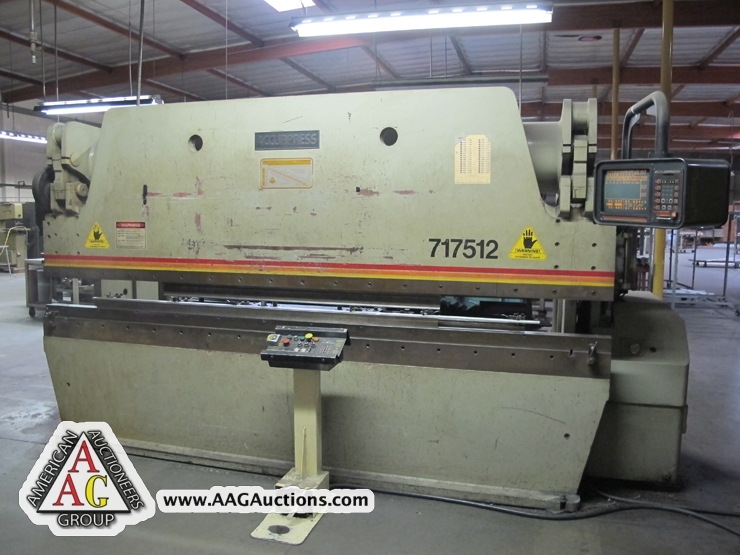 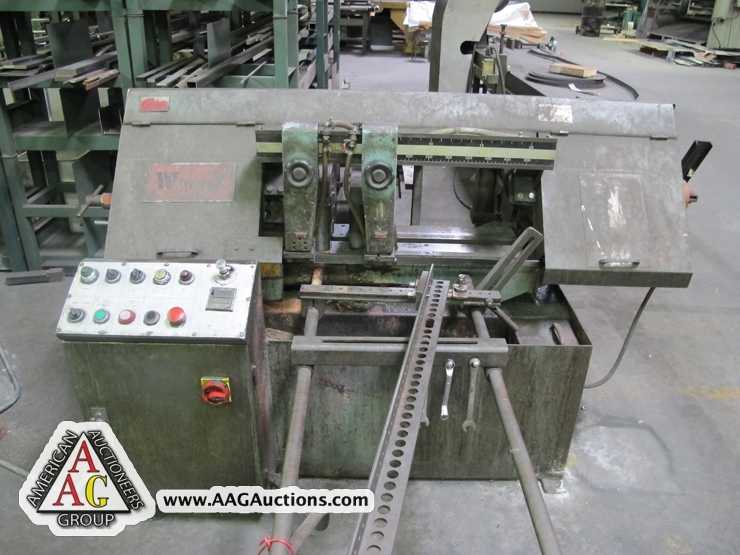 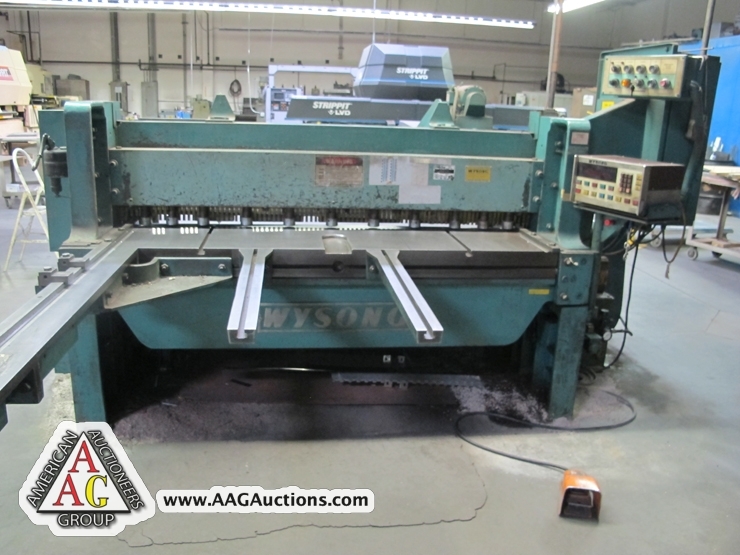 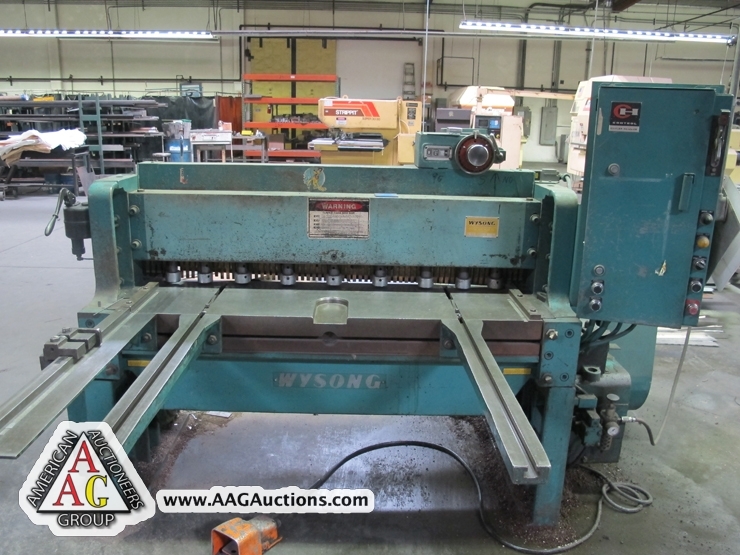 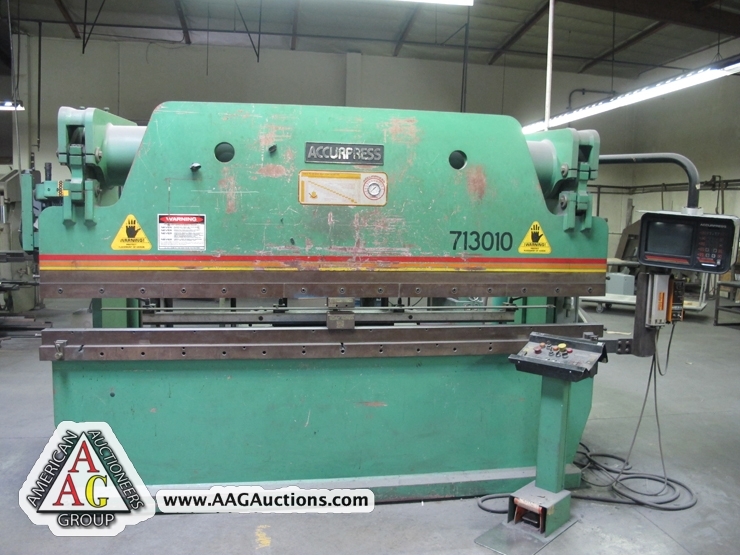 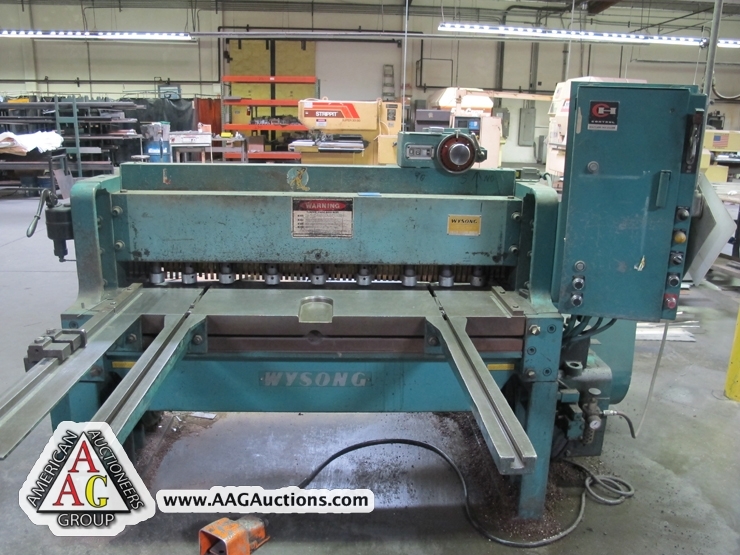 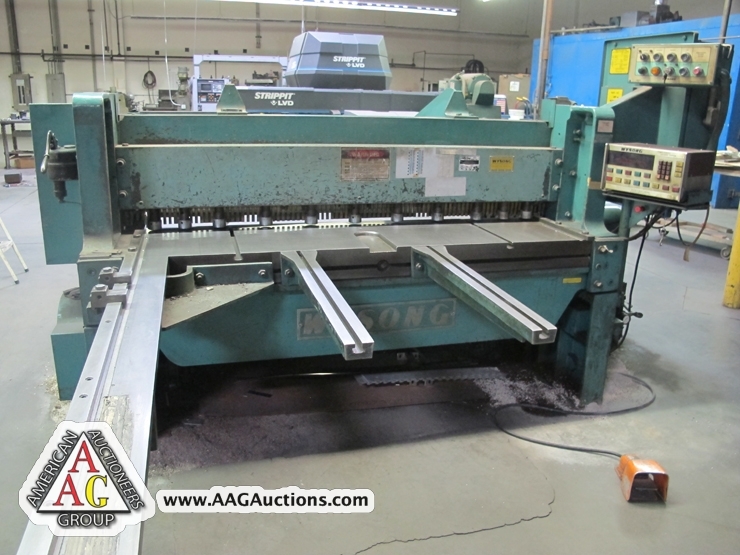 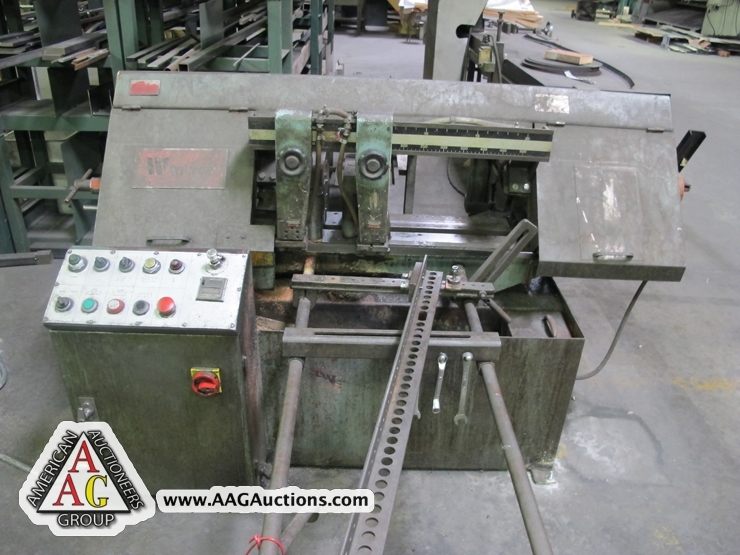 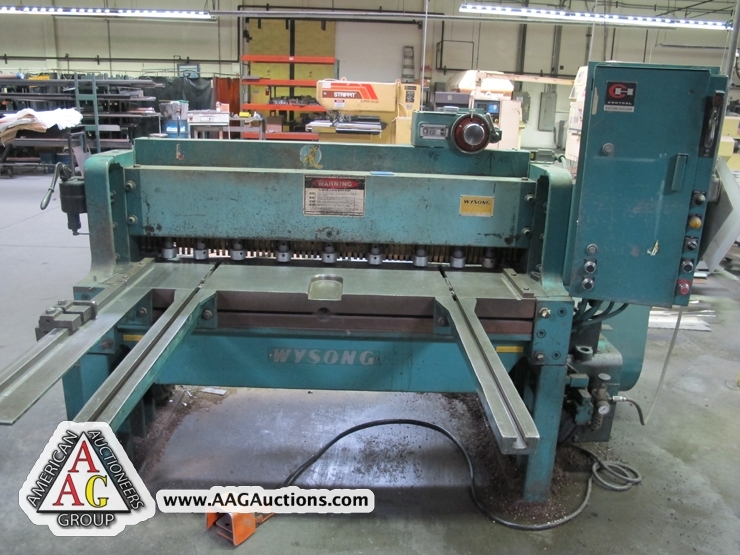 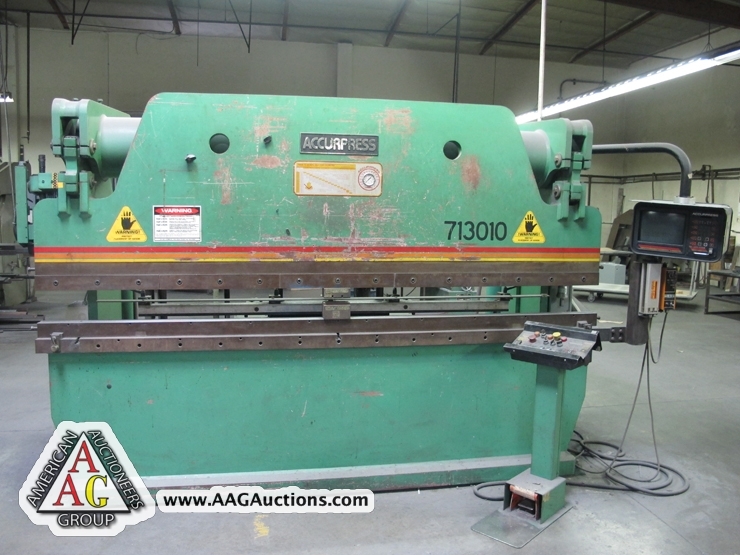 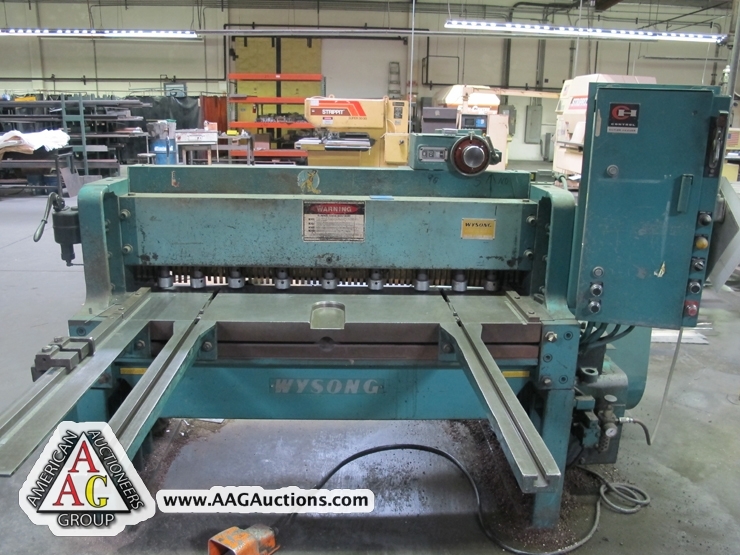 2000 DO ALL MODEL C916-A AUTO FEED HORIZONTAL BAND SAW, S/N: 547-00102. 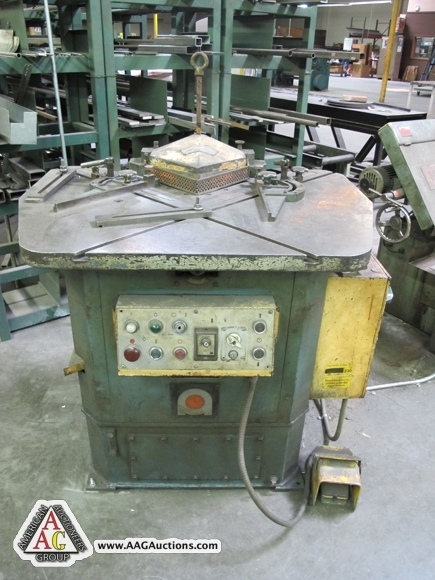 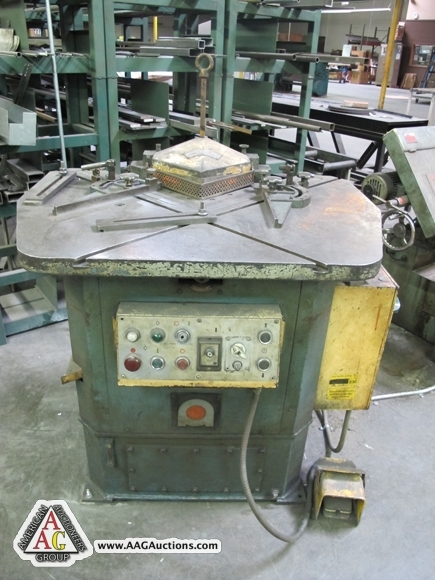 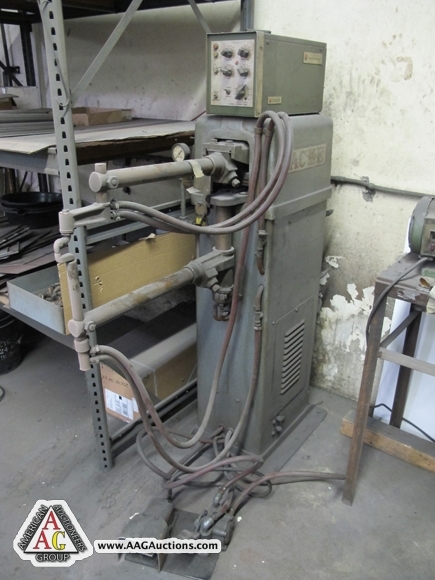 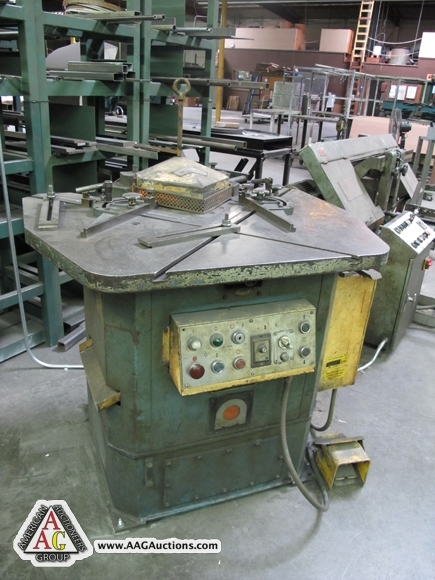 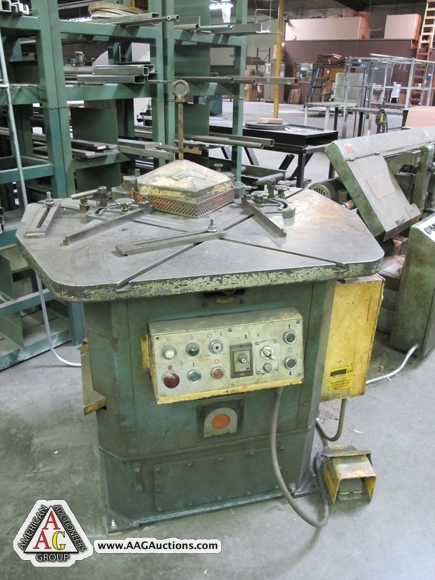 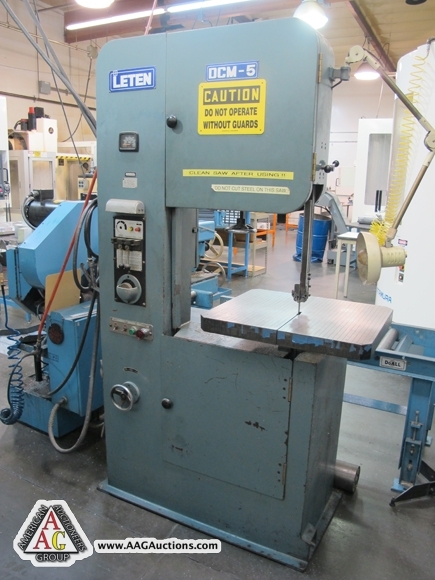 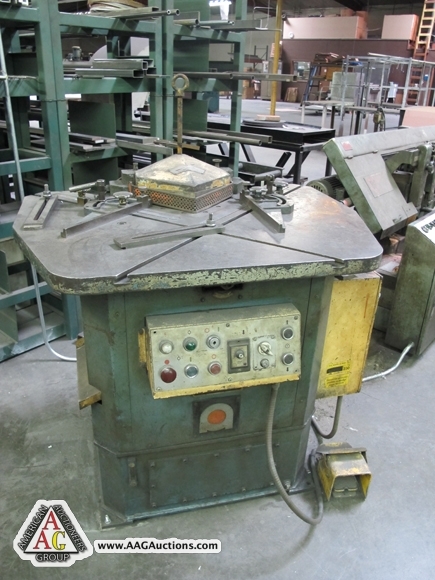 LETEN MODEL DCM-5 VERTICAL BAND SAW WITH WELDER. 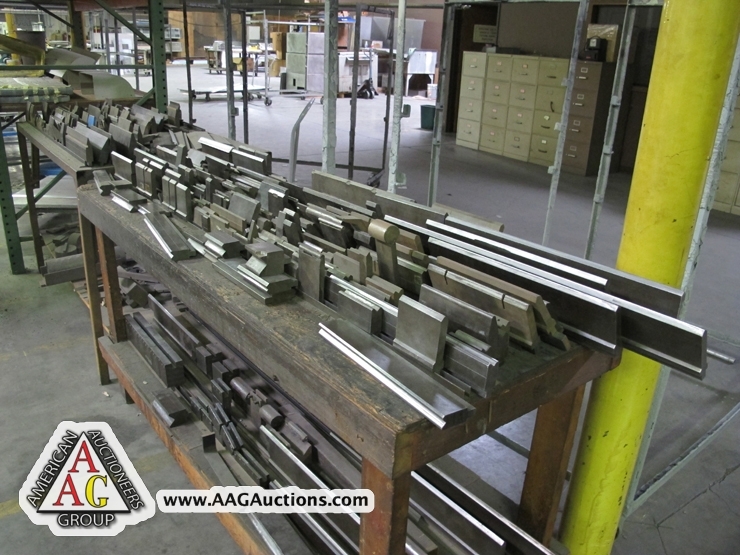 MANDRELS FOR HONING AND TOOLING. 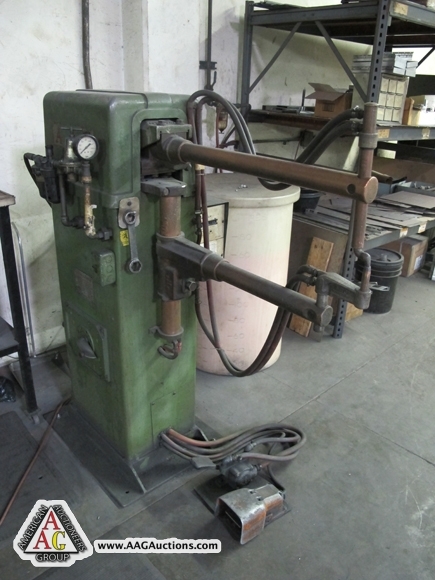 MR DE BURR, VIBRATORY TUMBLER. 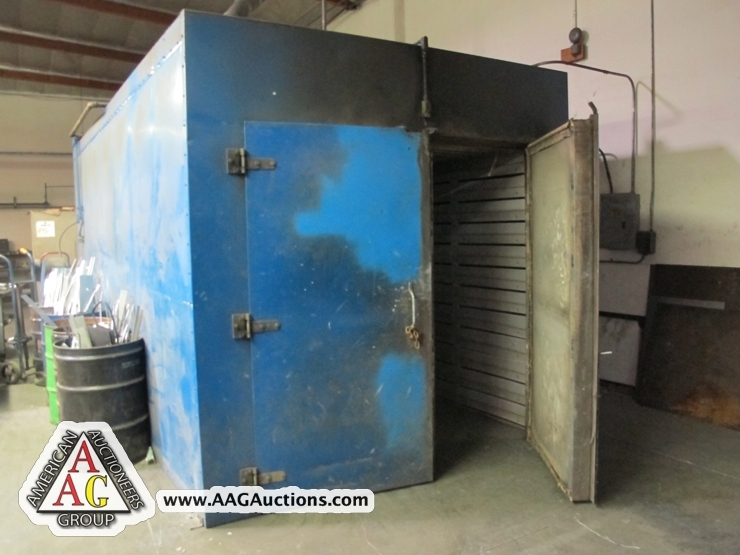 SKAT BLAST SAND BLAST CABINET. 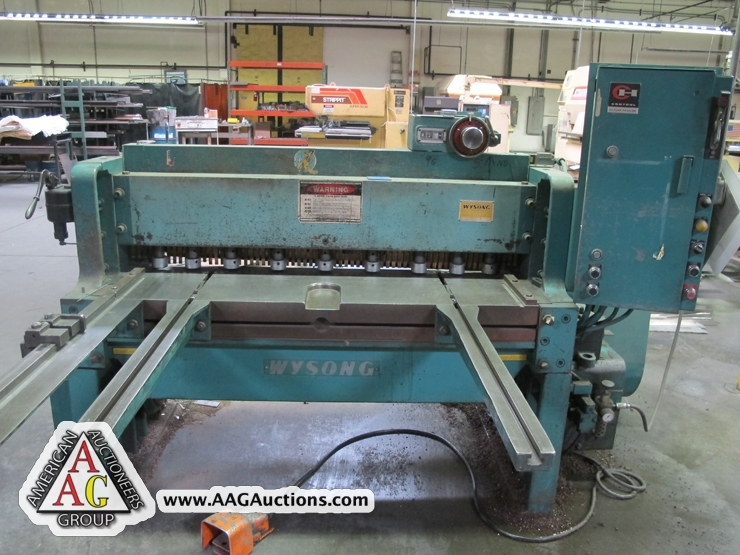 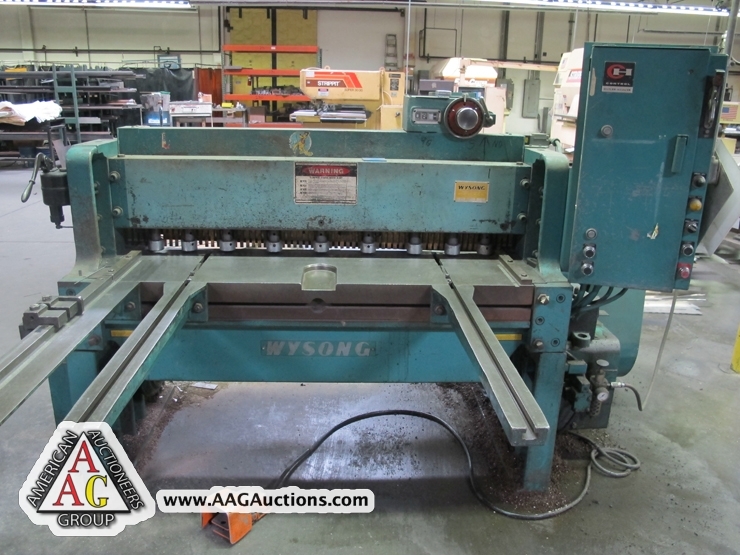 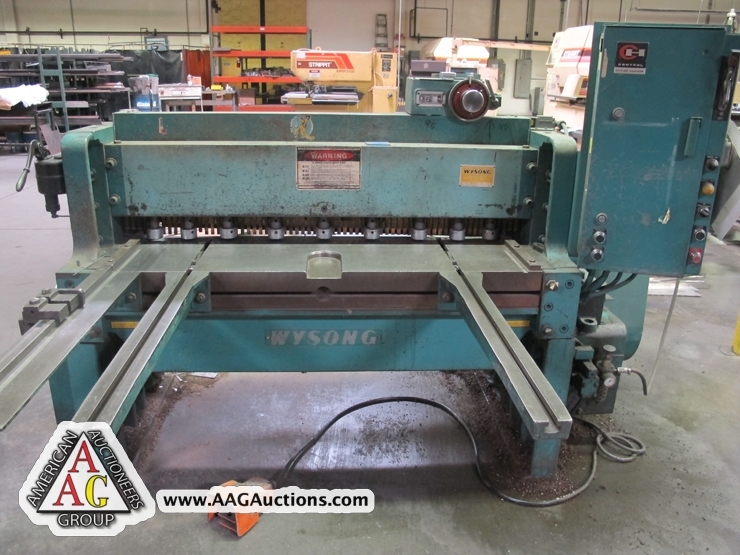 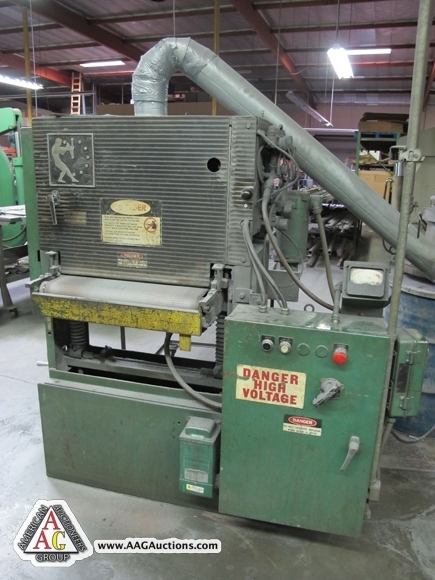 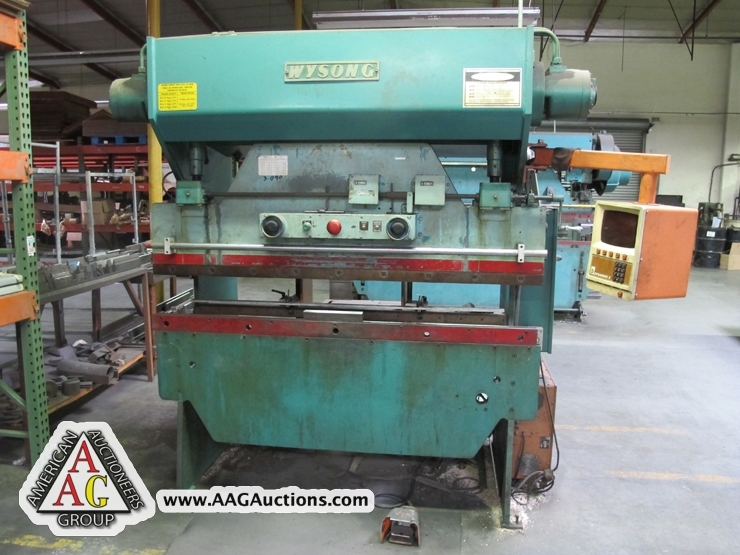 DORINGER MODEL 300, 12” COLD SAW. 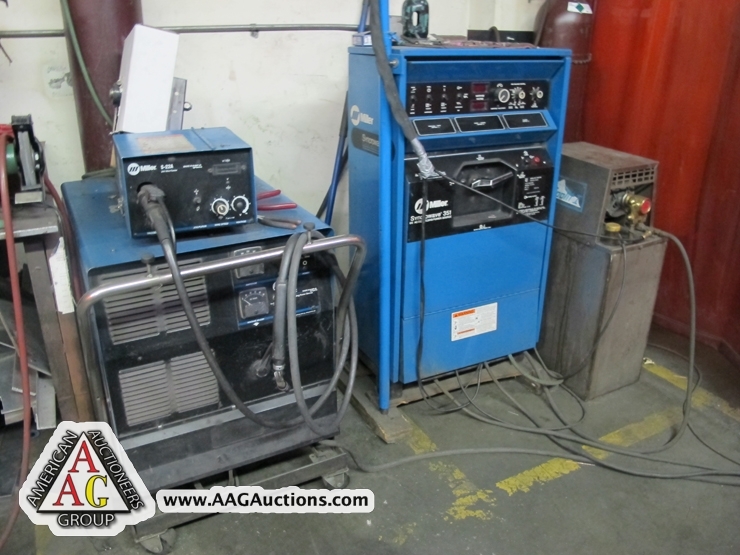 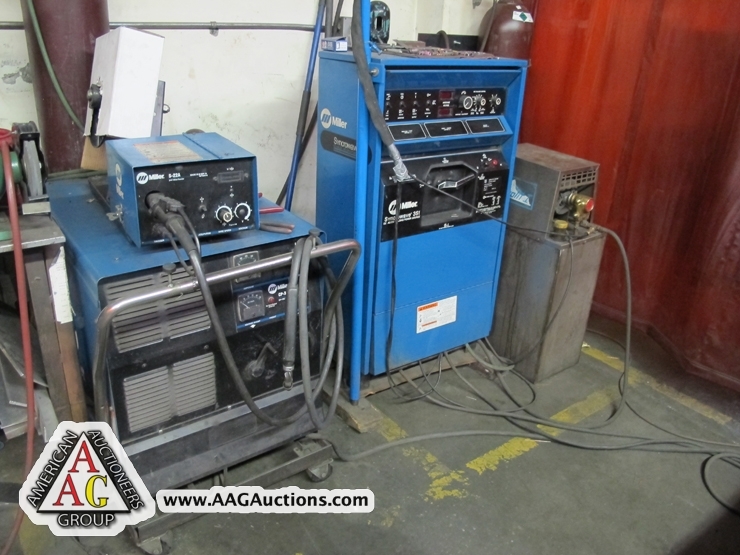 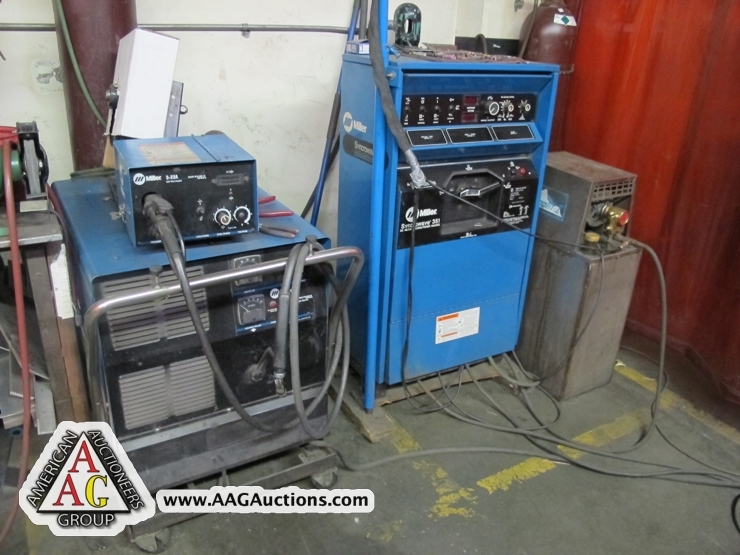 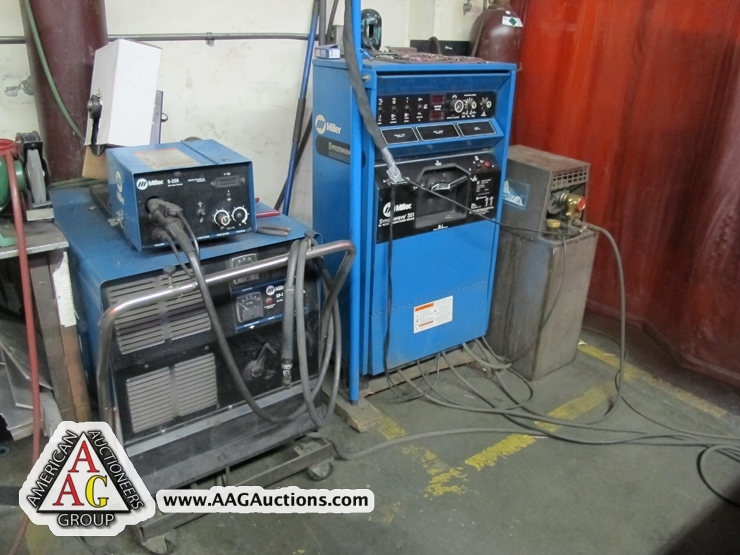 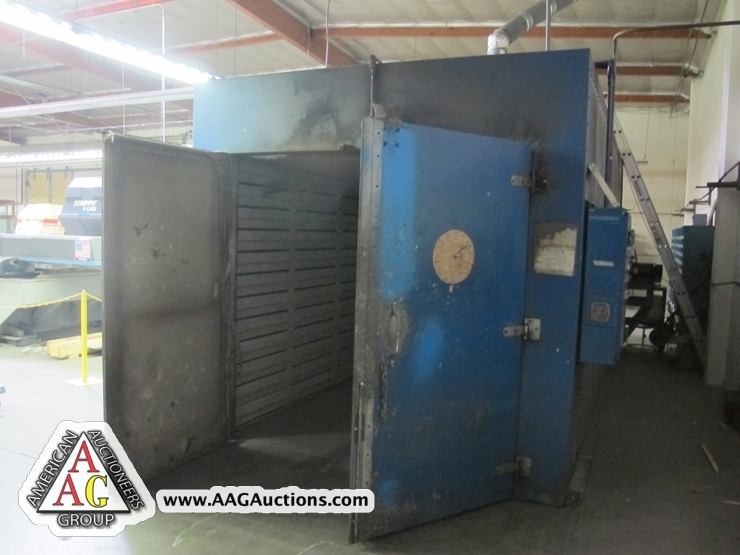 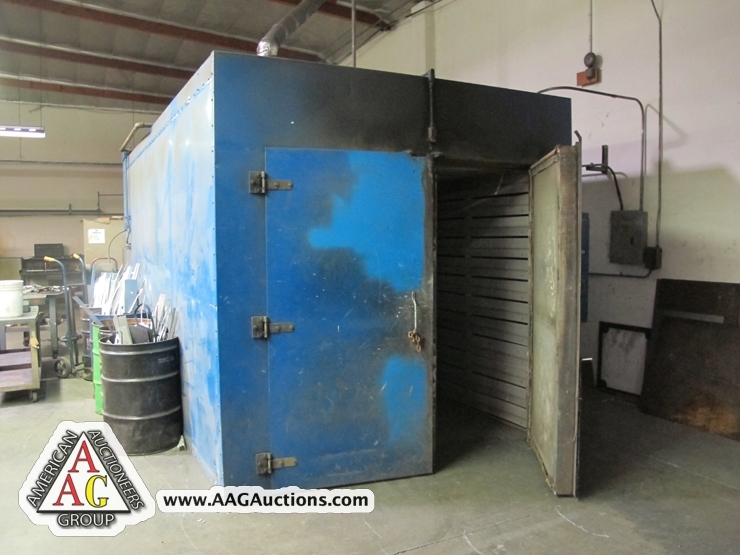 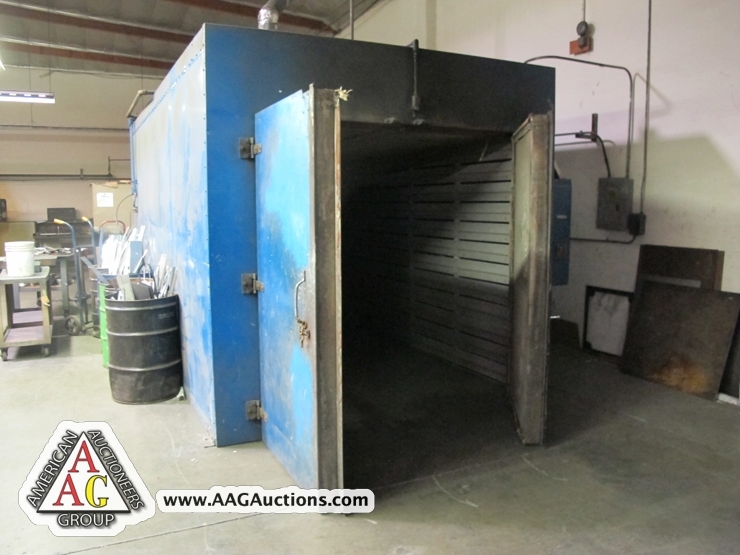 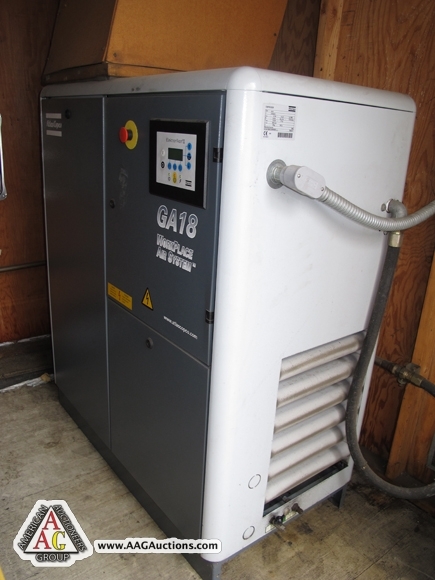 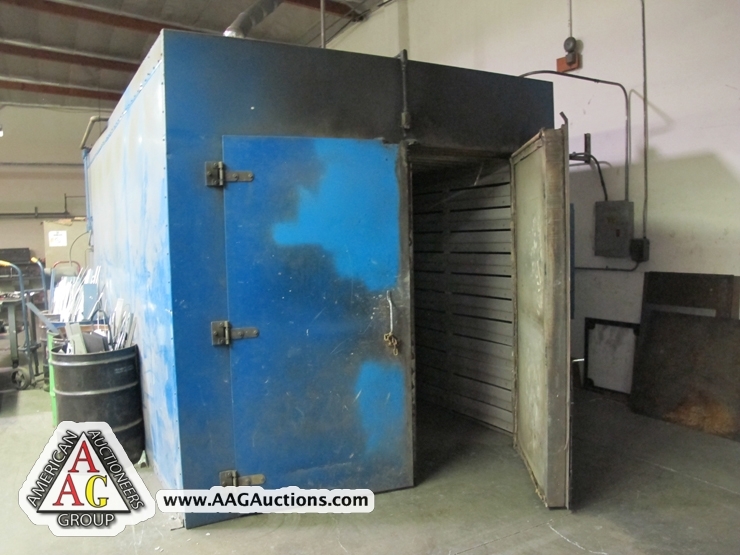 ATLAS COPCO MODEL GA18, 25HP ROTARY AIR COMPRESSOR WITH DRYER, S/N: AP1293372. 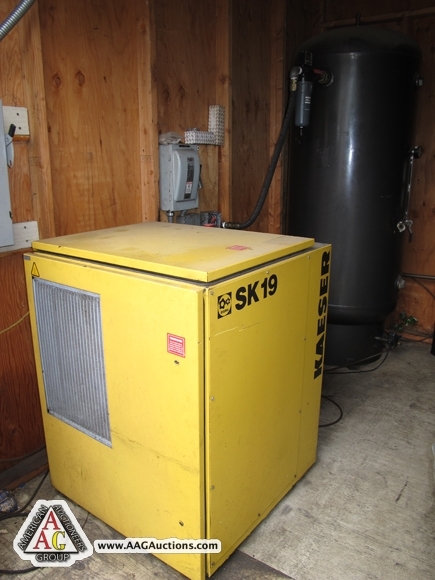 KAESER SK-19, 15HP ROTARY AIR COMPRESSOR WITH AIR TANK. 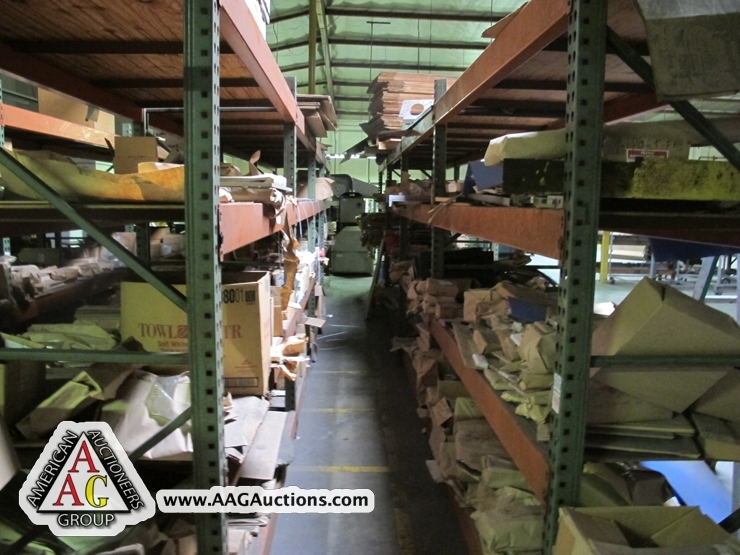 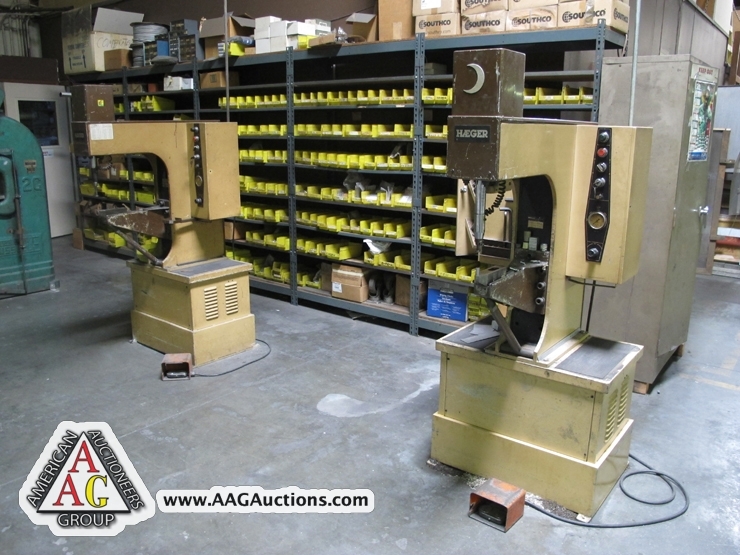 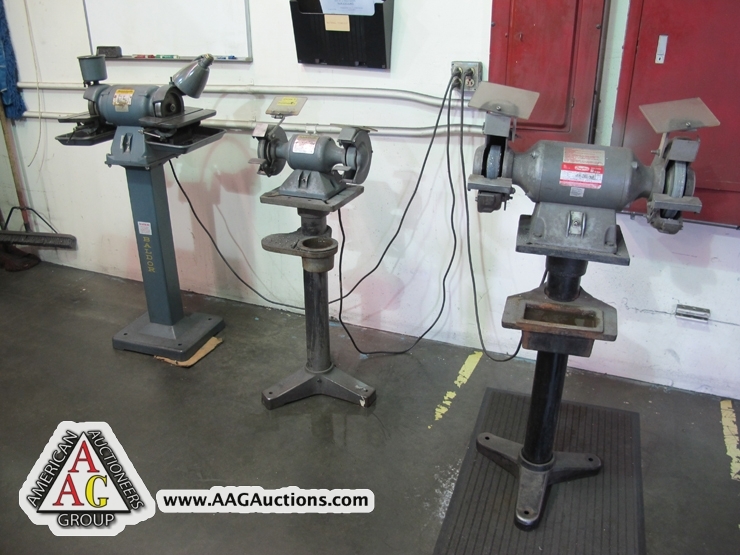 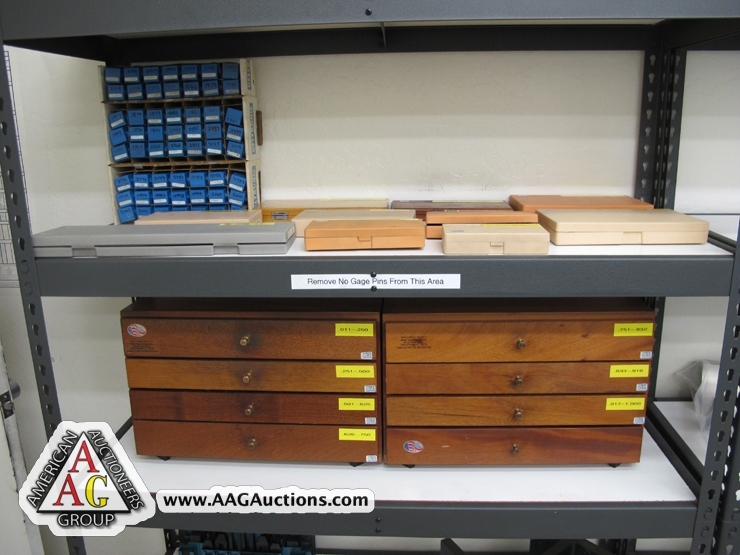 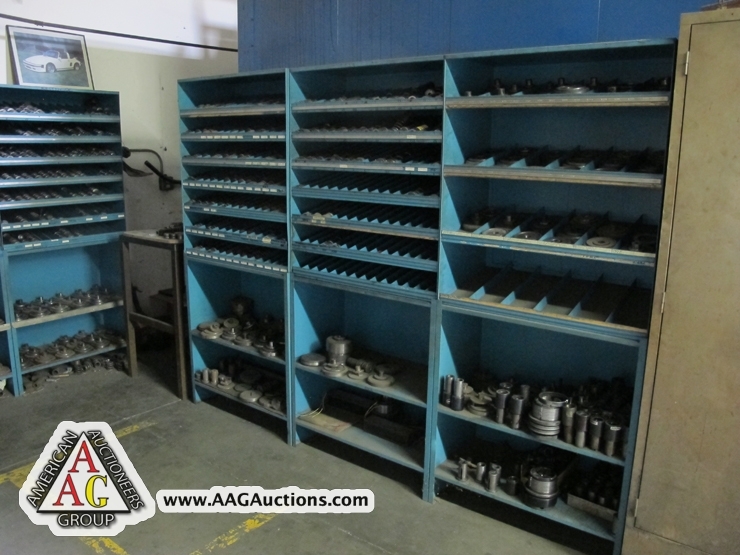 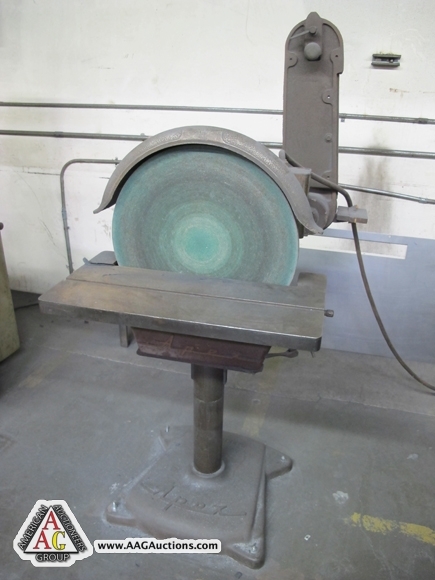 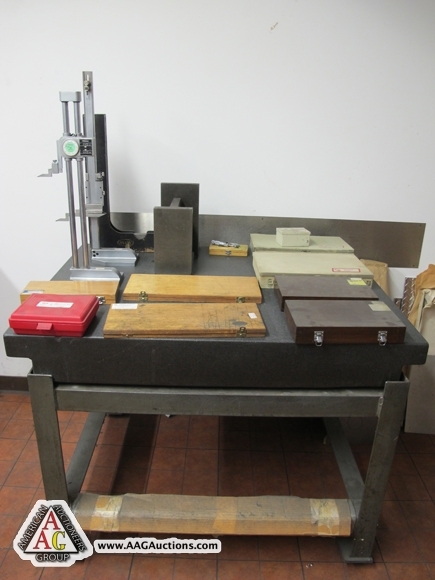 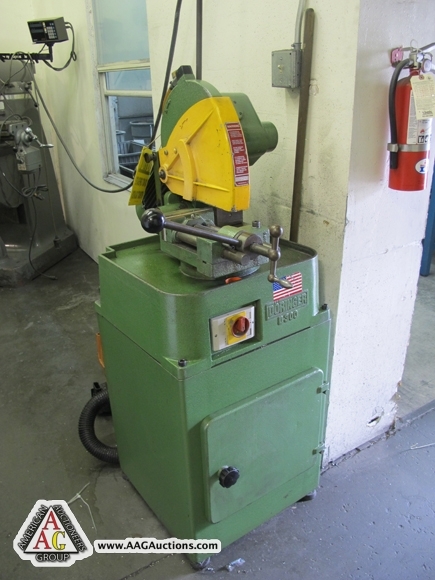 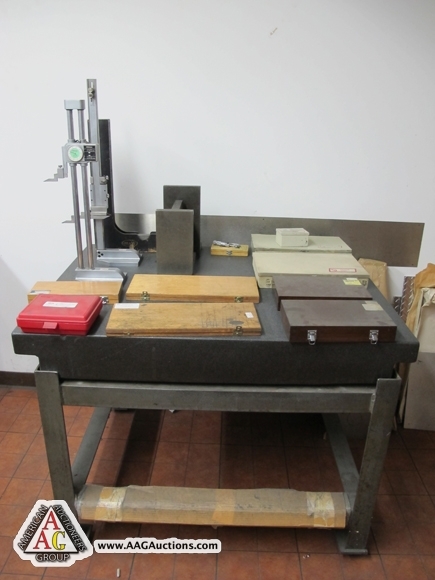 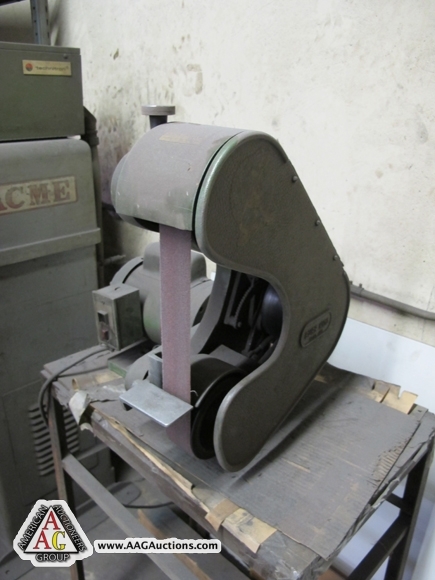 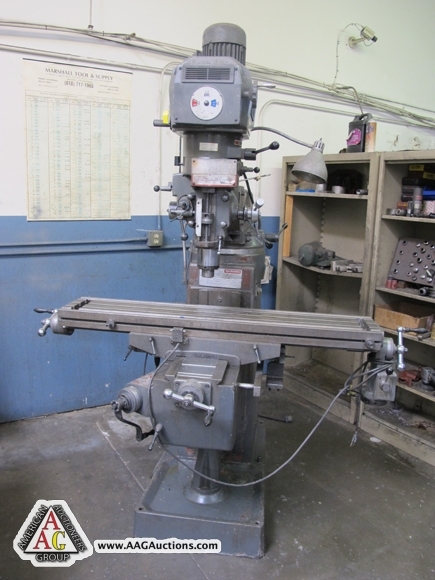 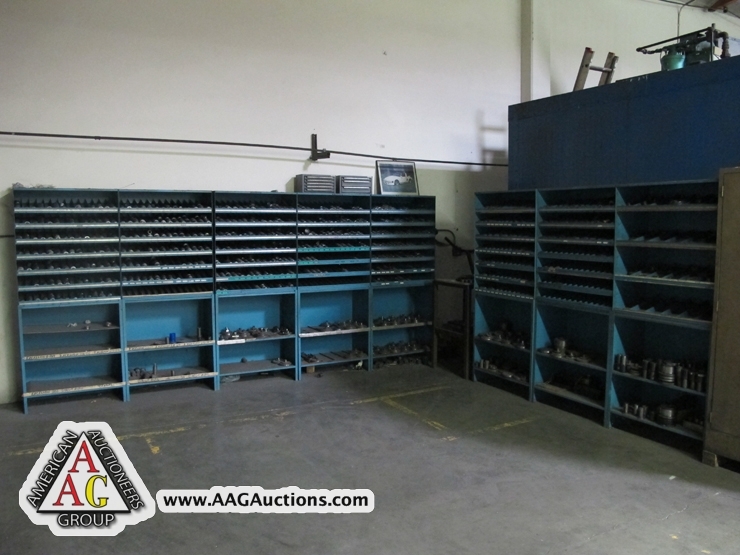 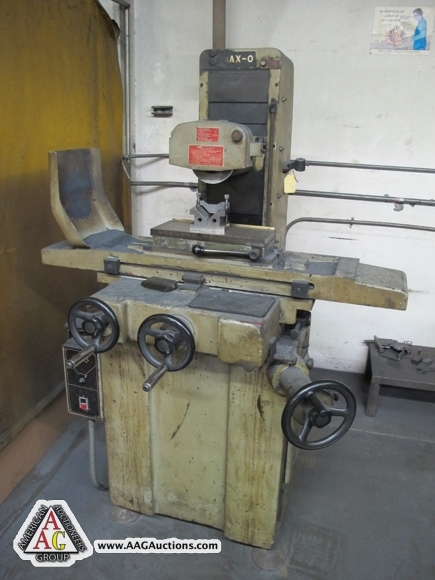 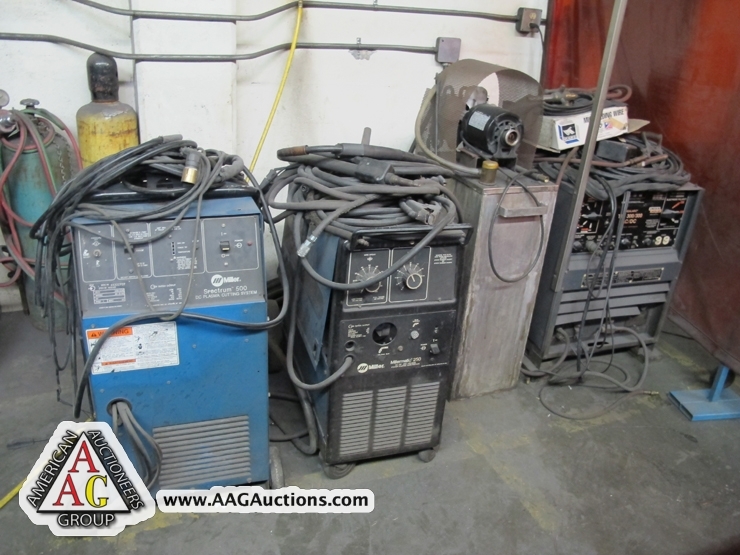 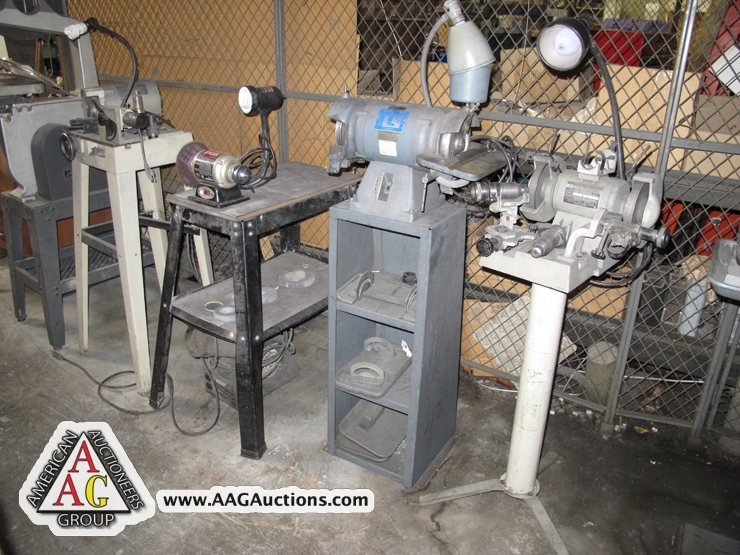 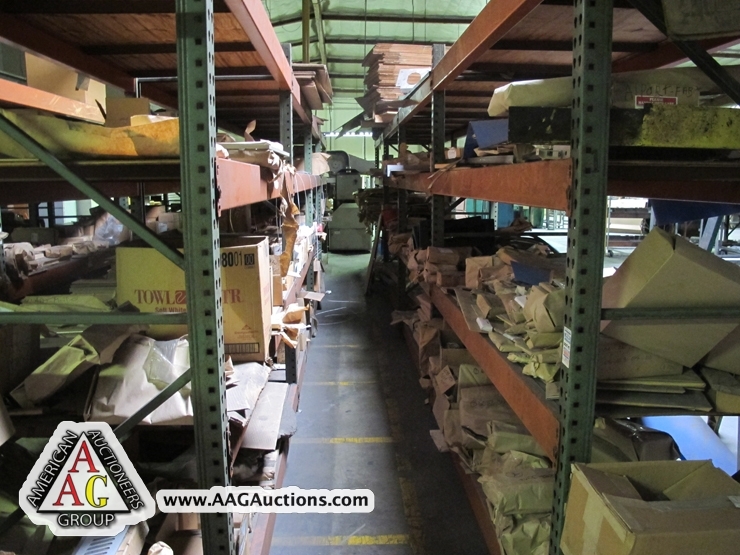 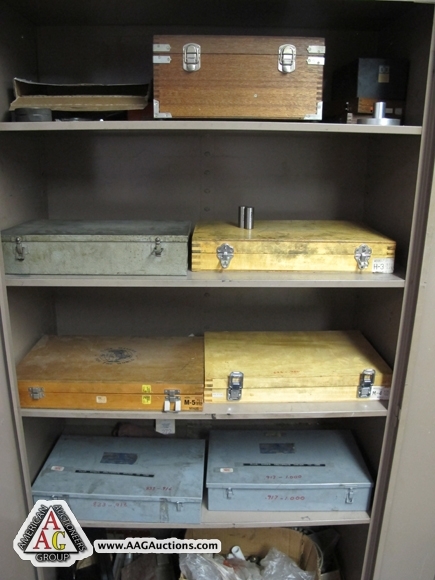 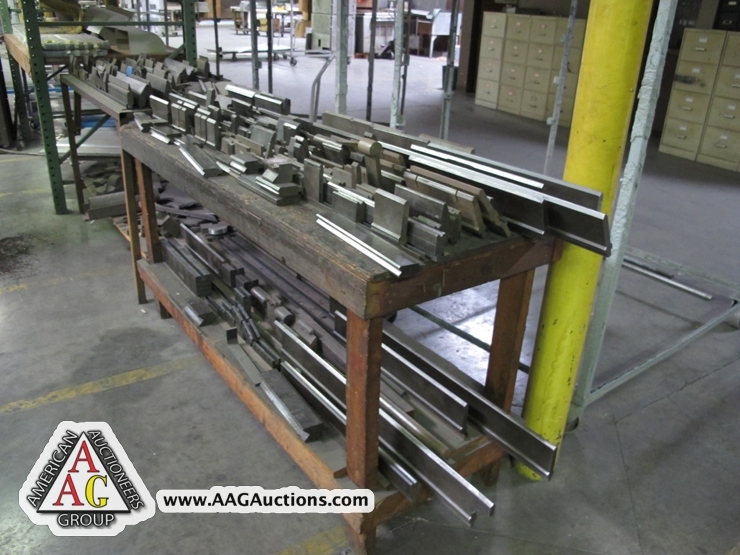 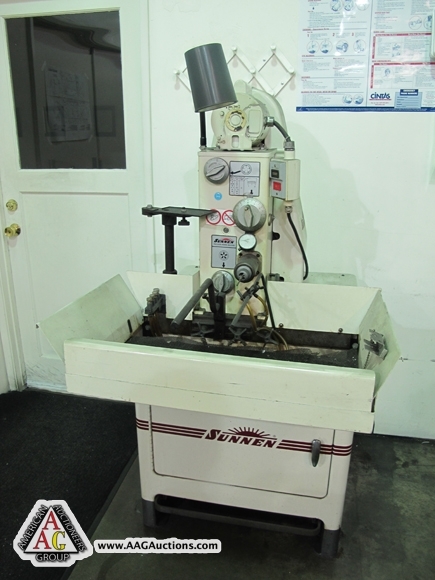 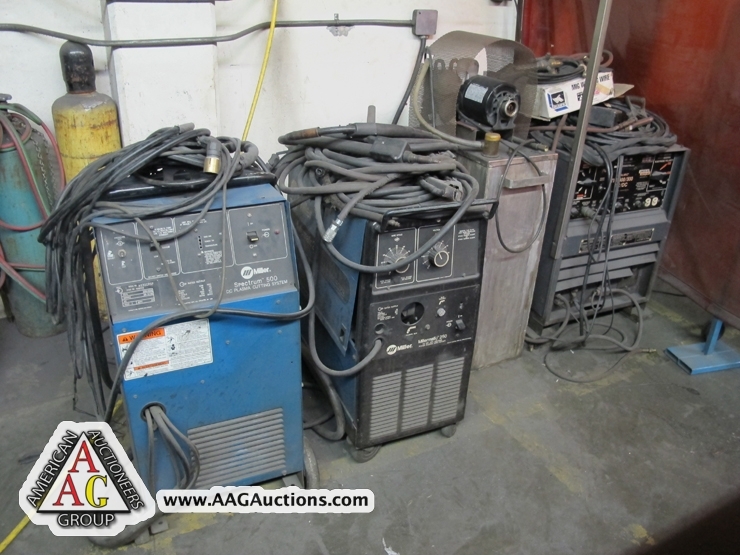 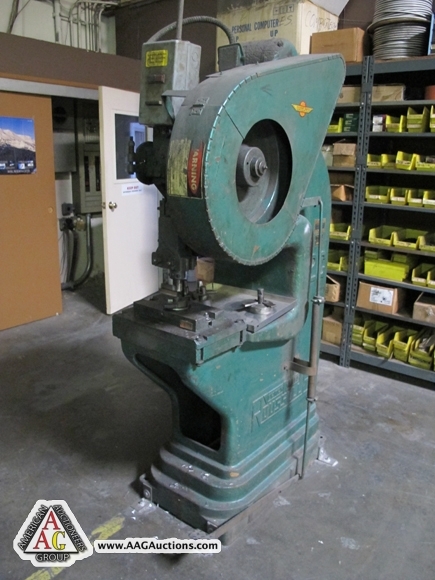 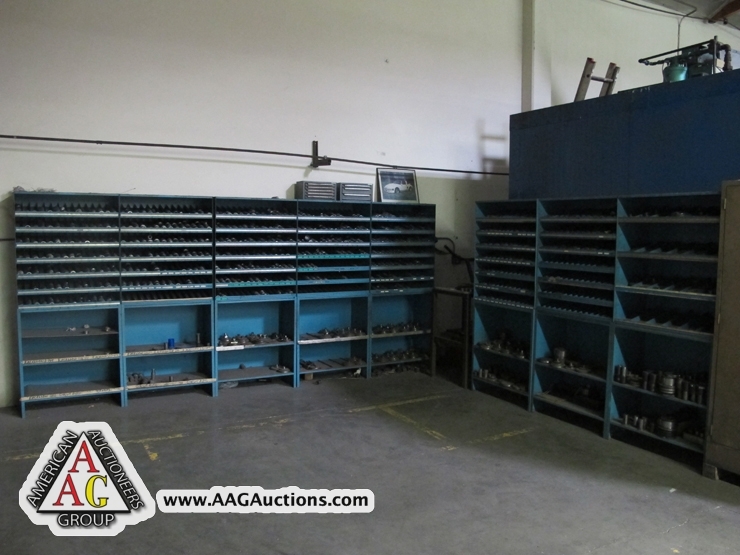 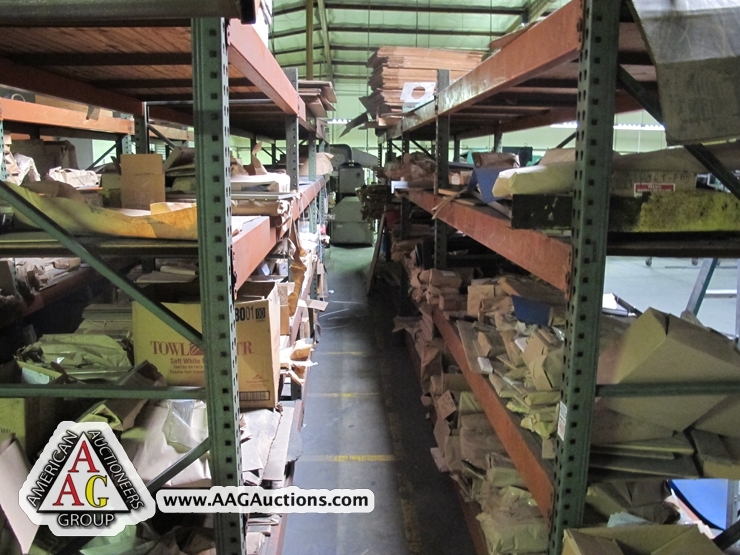 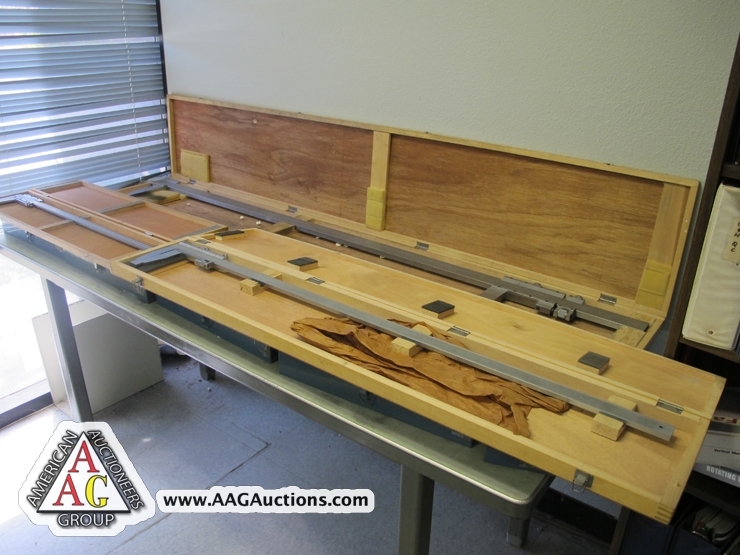 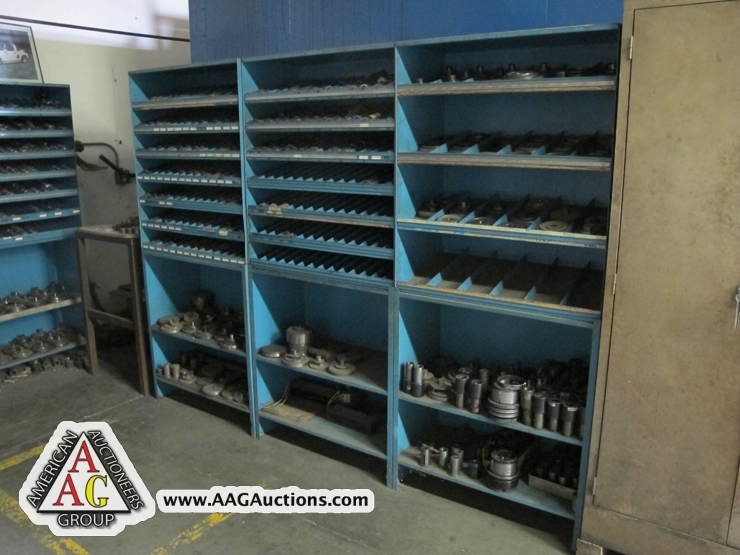 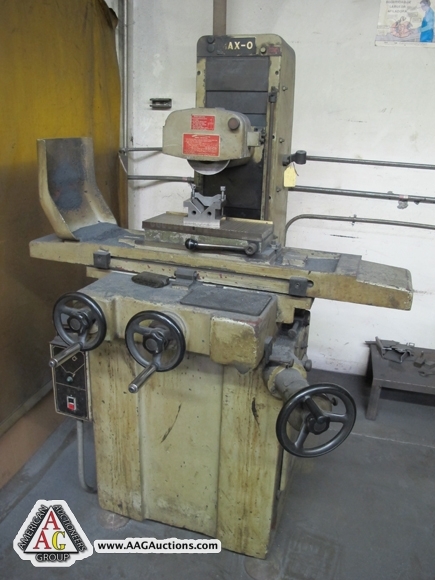 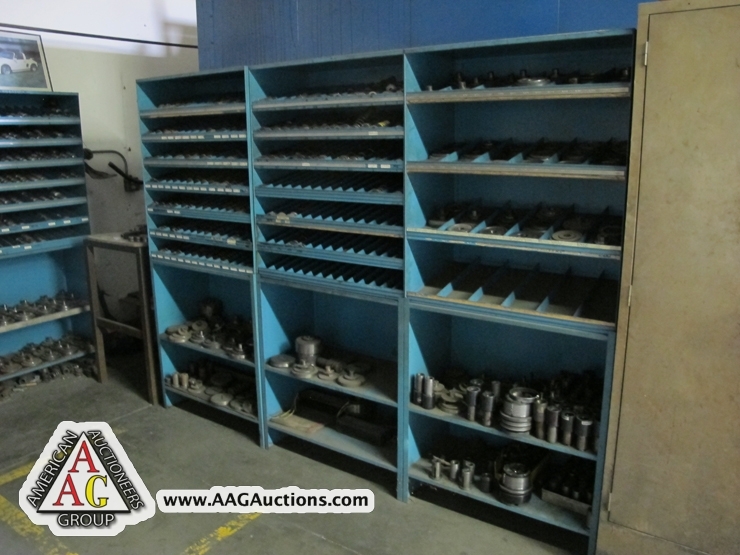 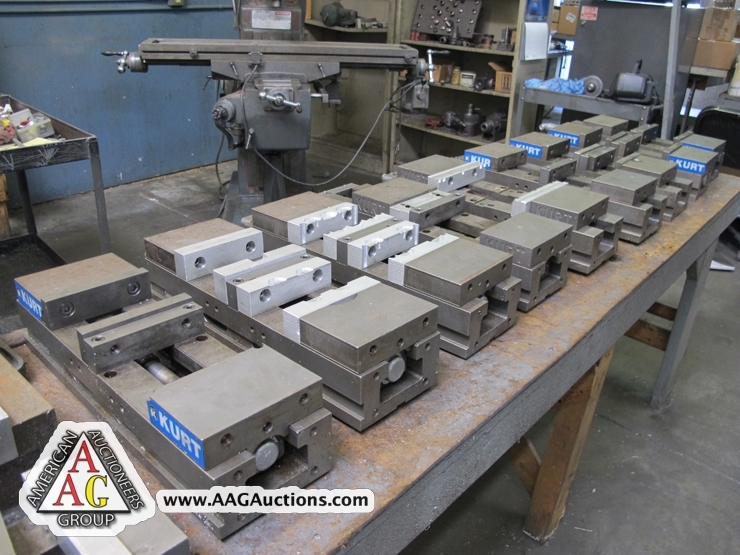 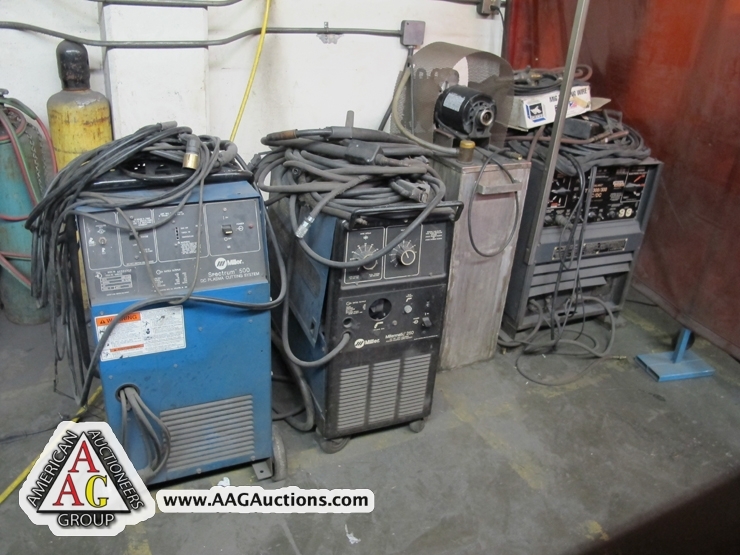 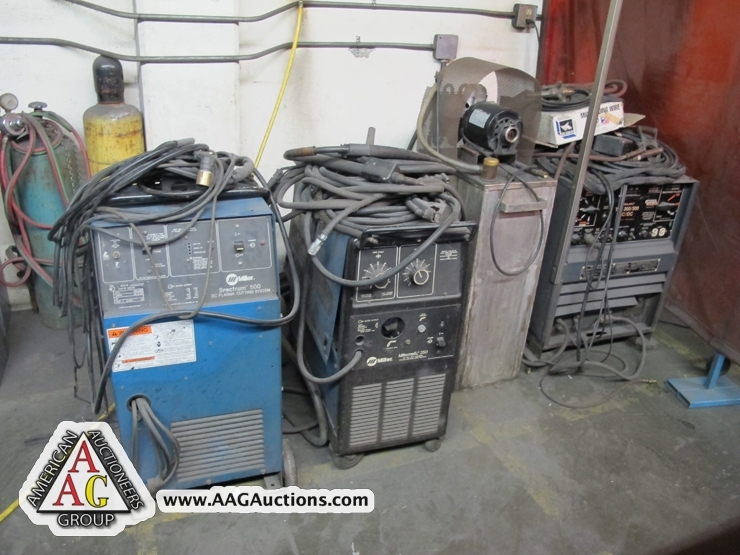 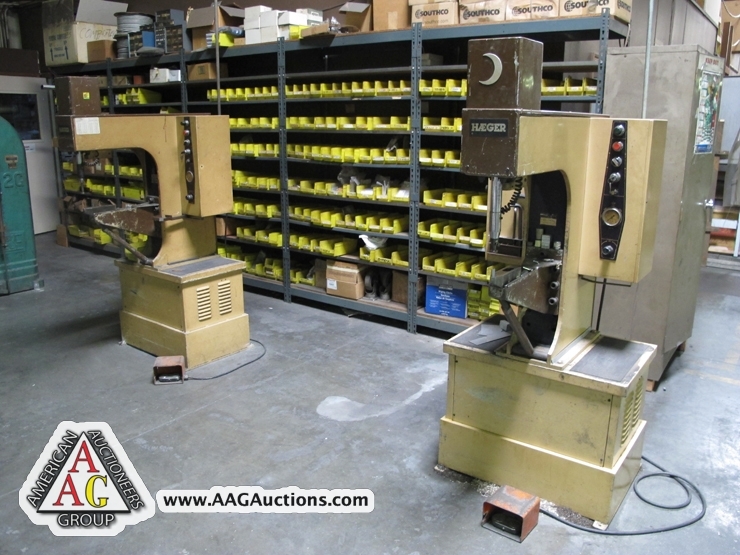 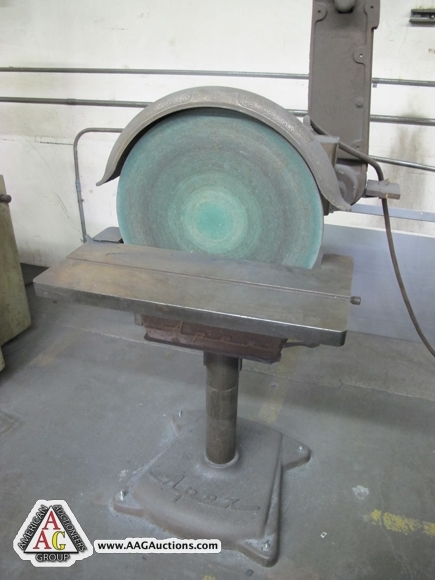 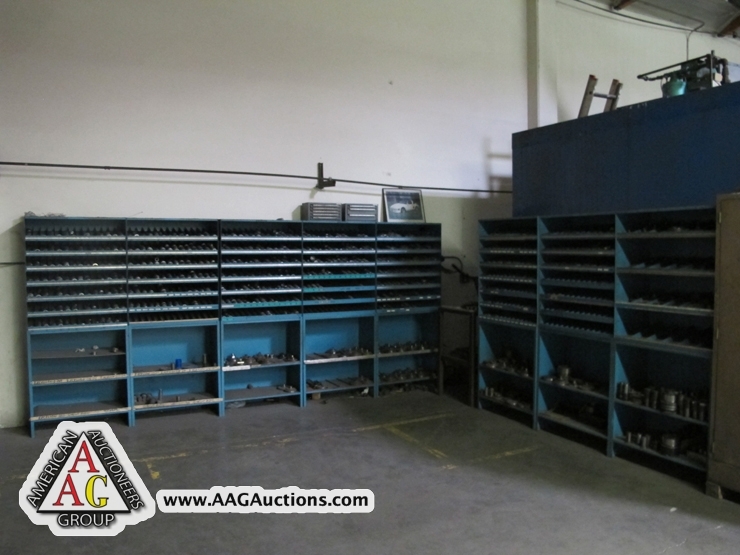 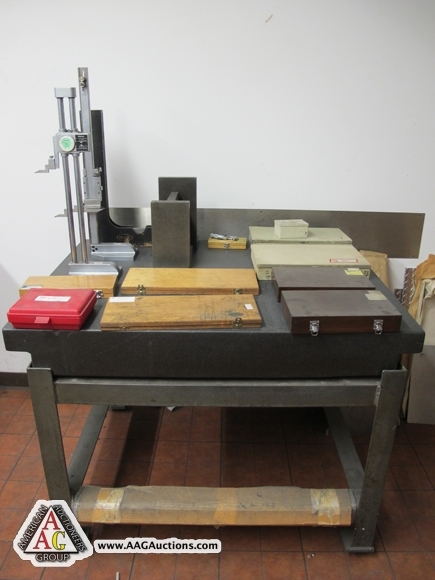 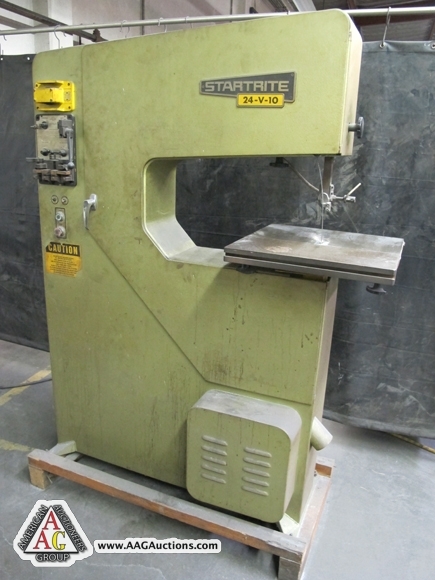 VARIOUS DRILL PRESSES, GRINDERS, SHARPENERS AND ETC. 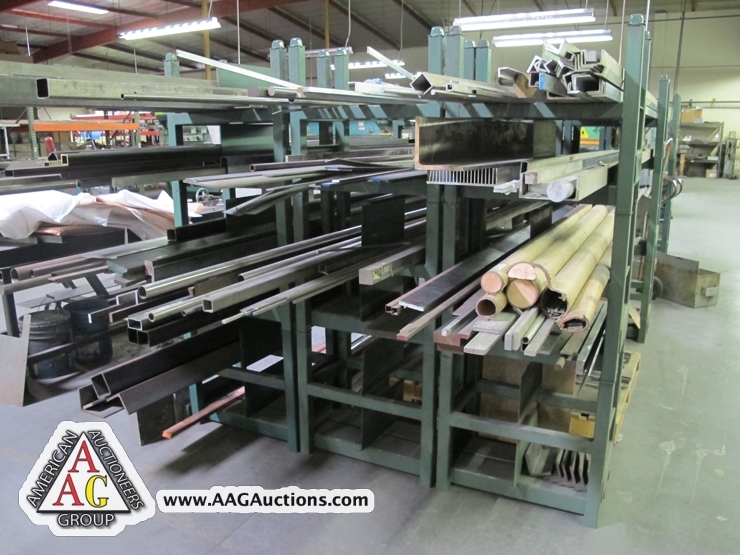 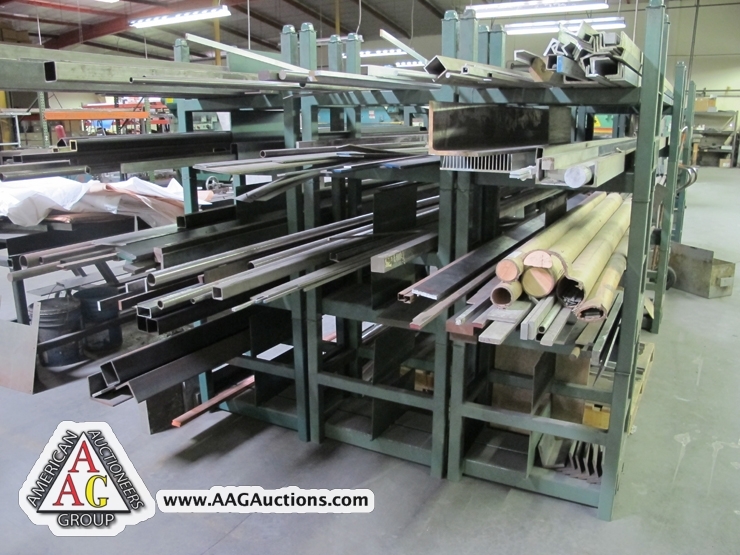 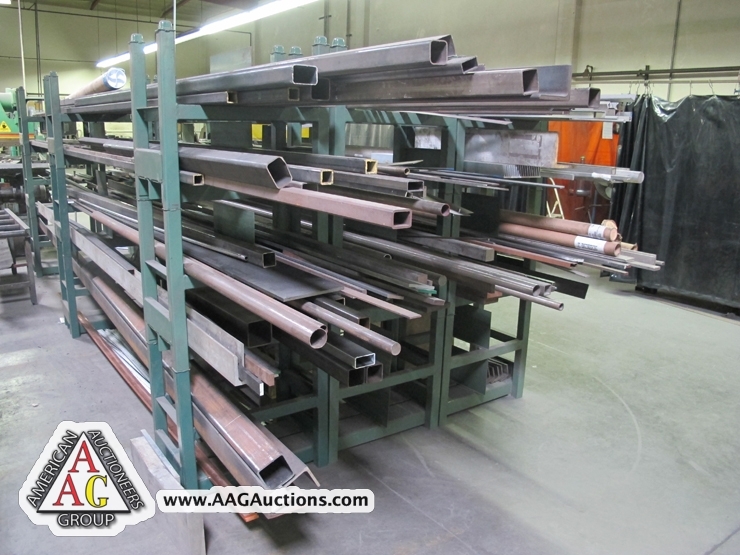 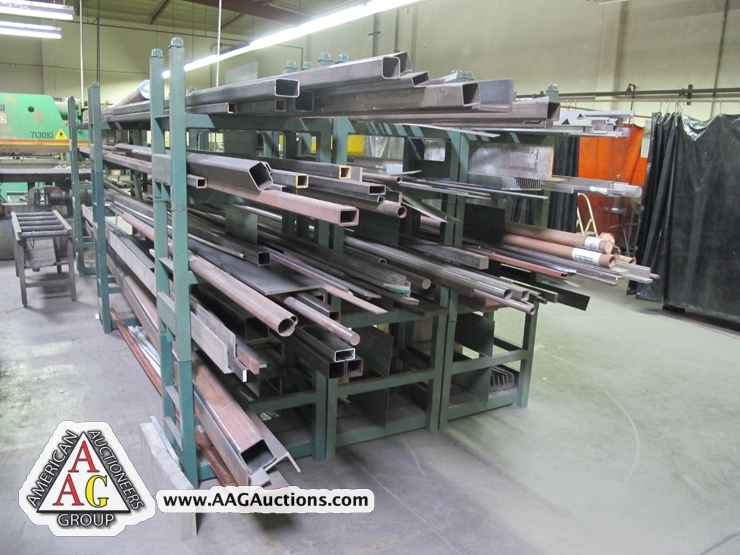 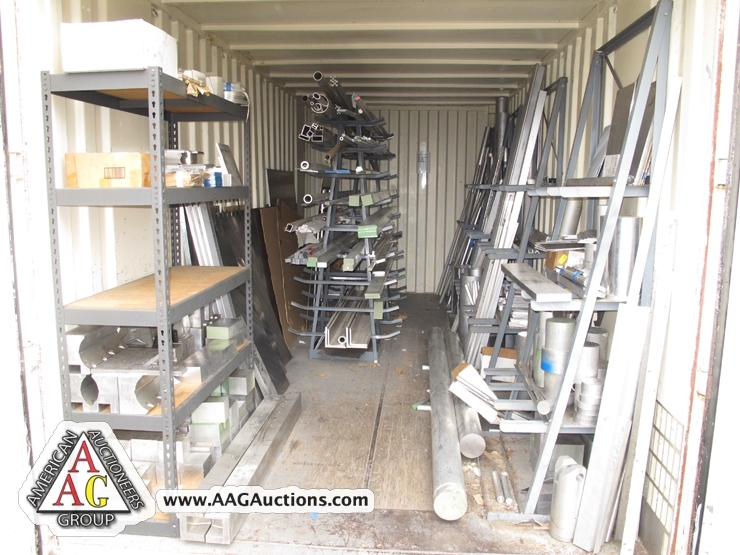 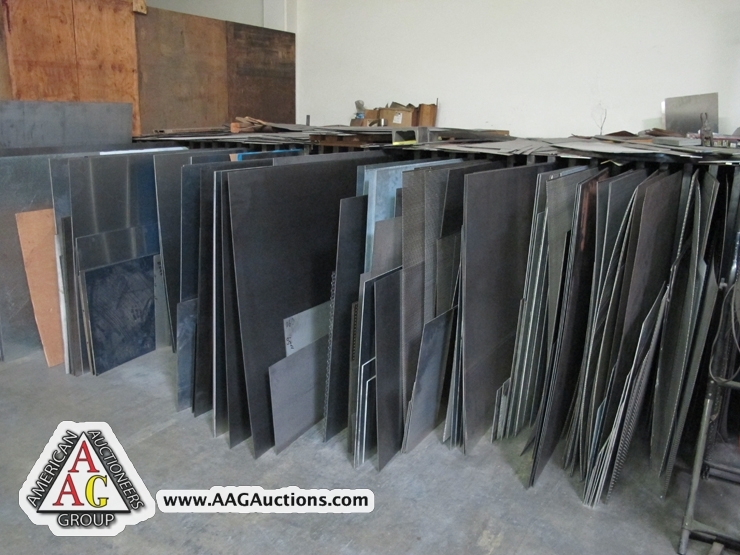 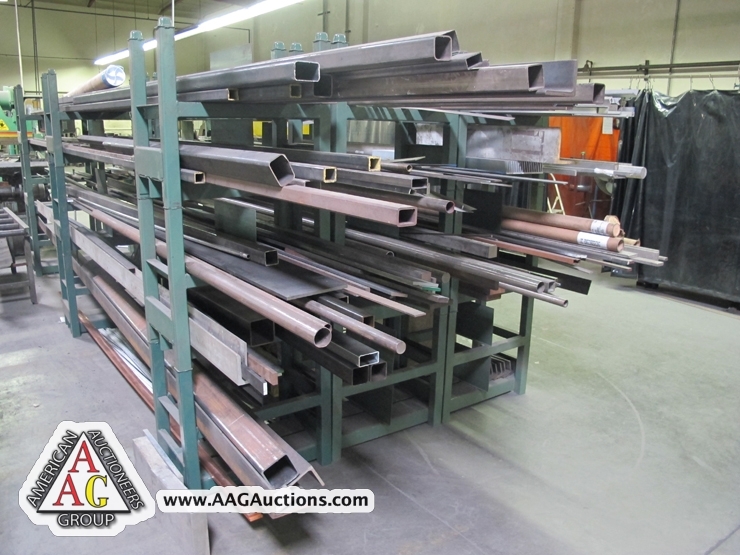 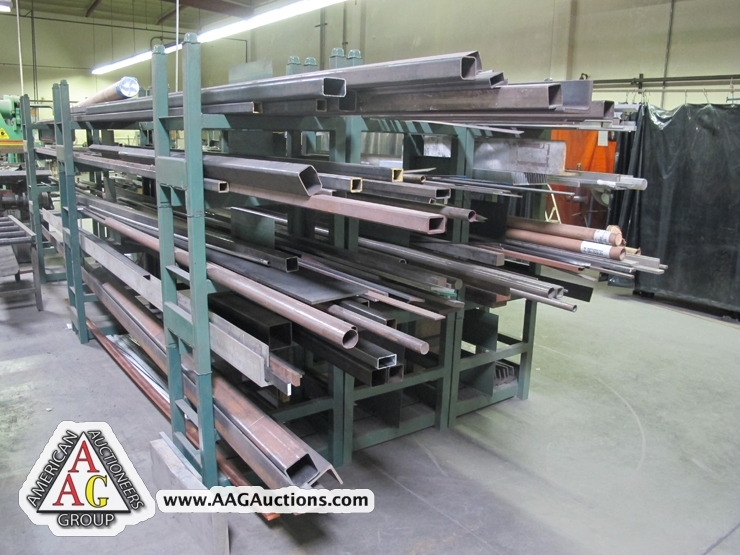 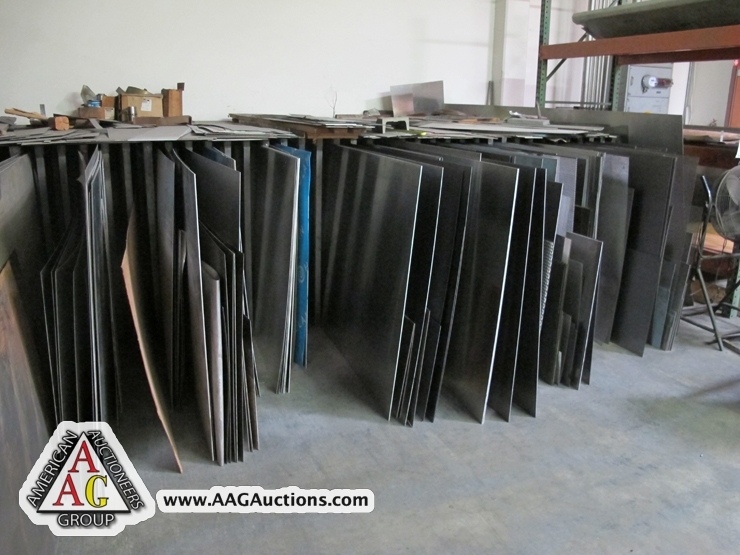 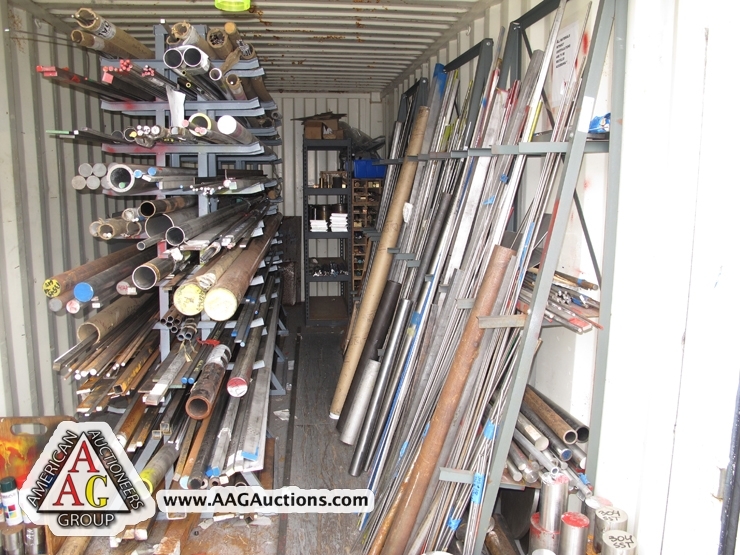 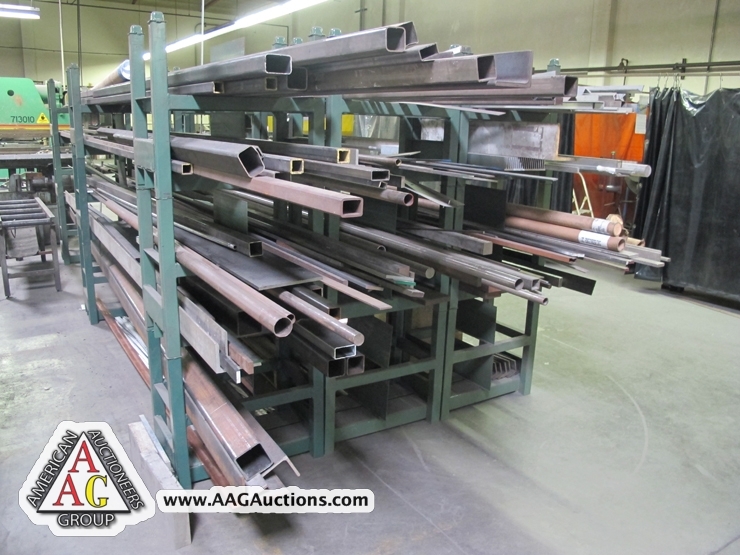 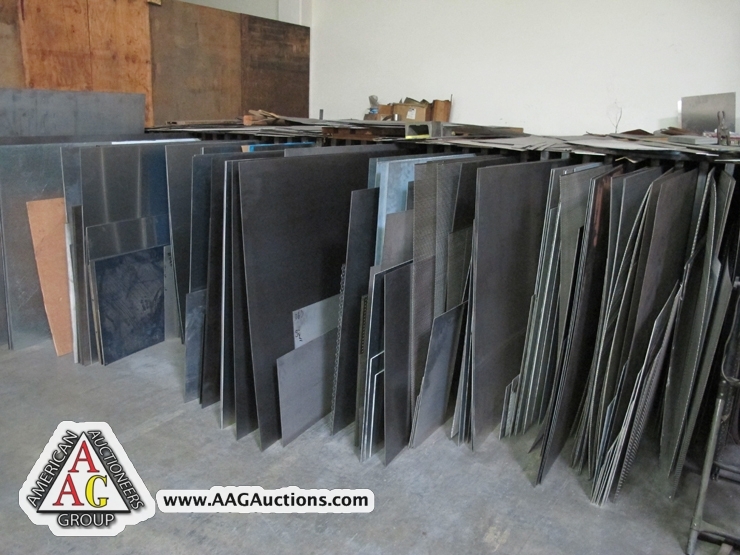 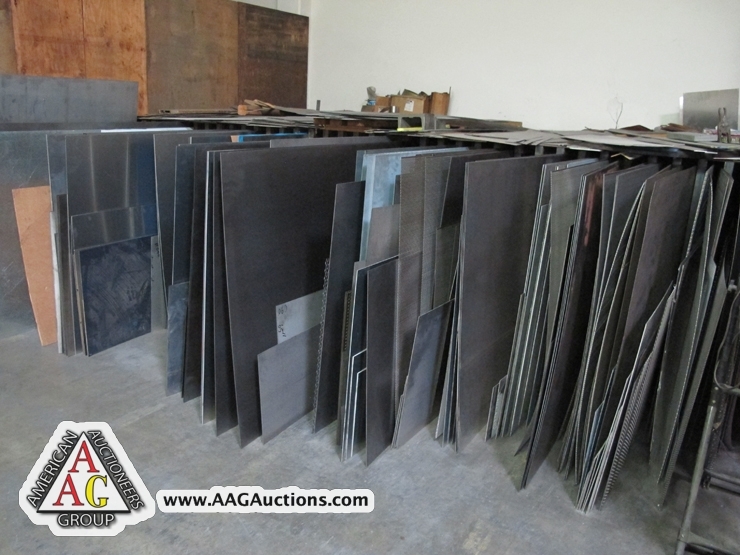 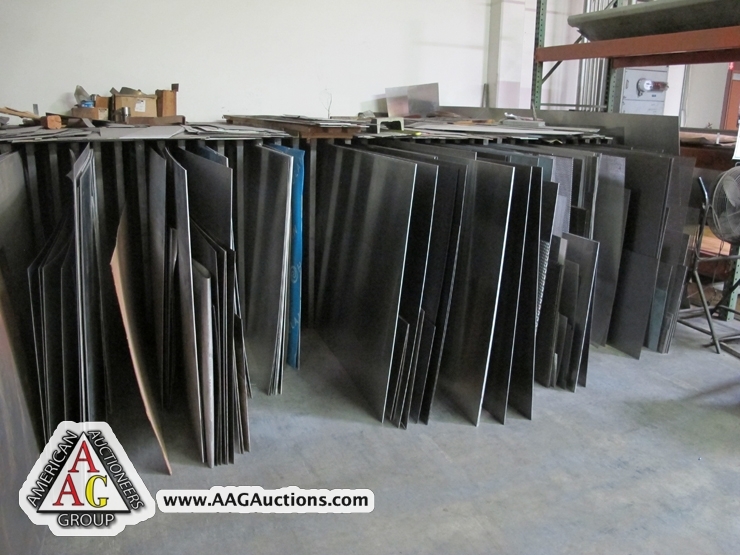 A LARGE SELECTION OF ALUMINIUM, STEEL, AND STAINLESS MATERIAL. 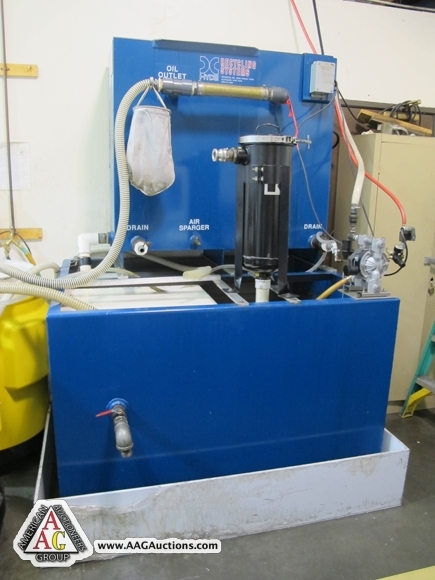 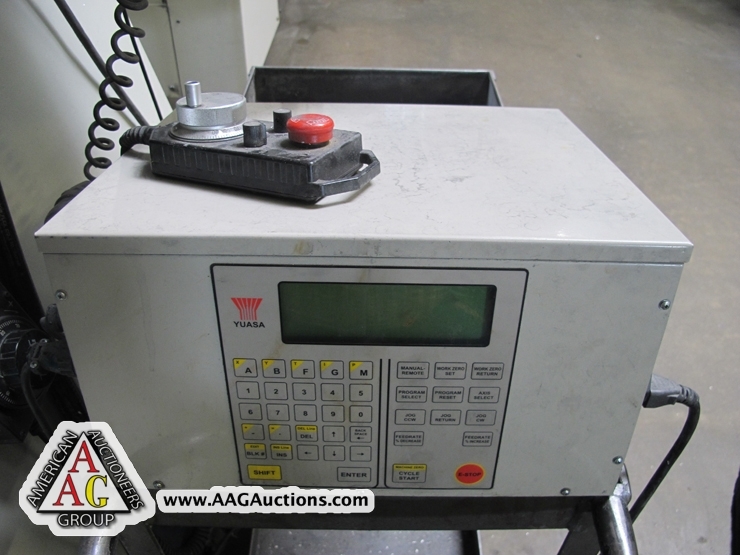 HYDE PRODUCTS MODEL TW5A FLUID RECYCLING SYSTEM, S/N: W51773. 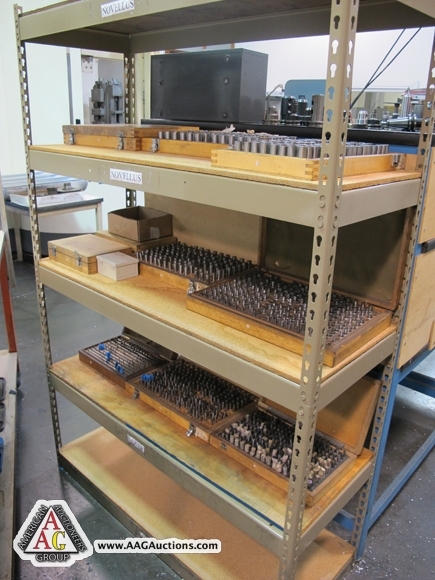 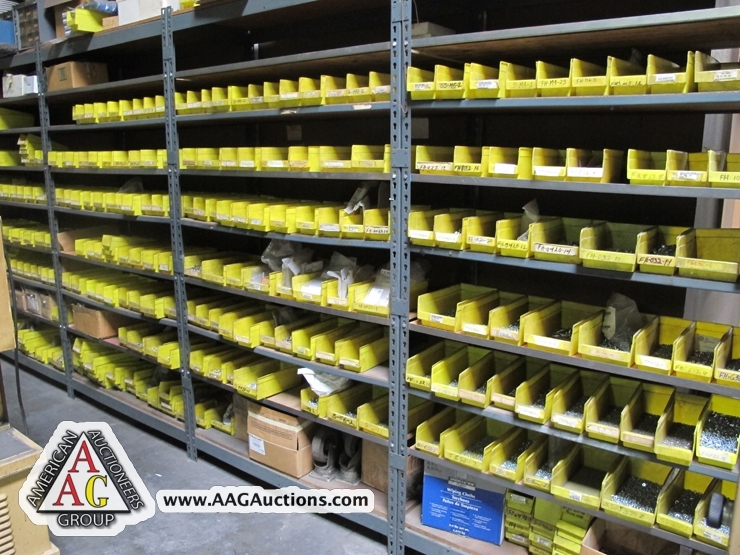 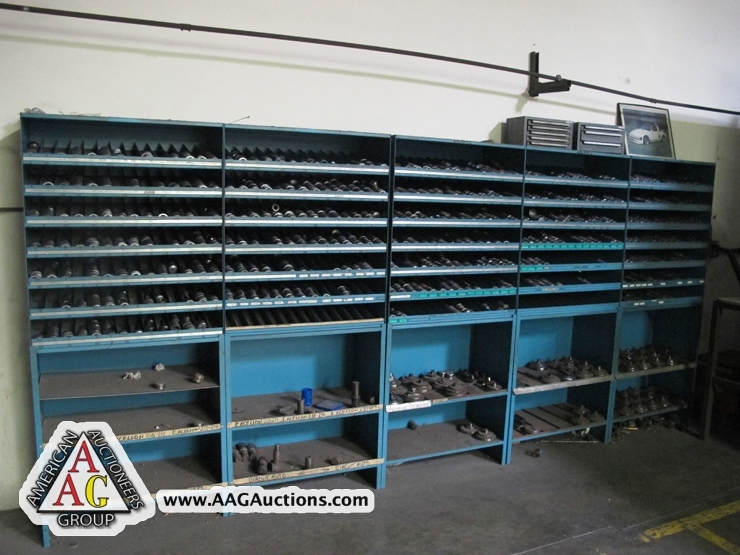 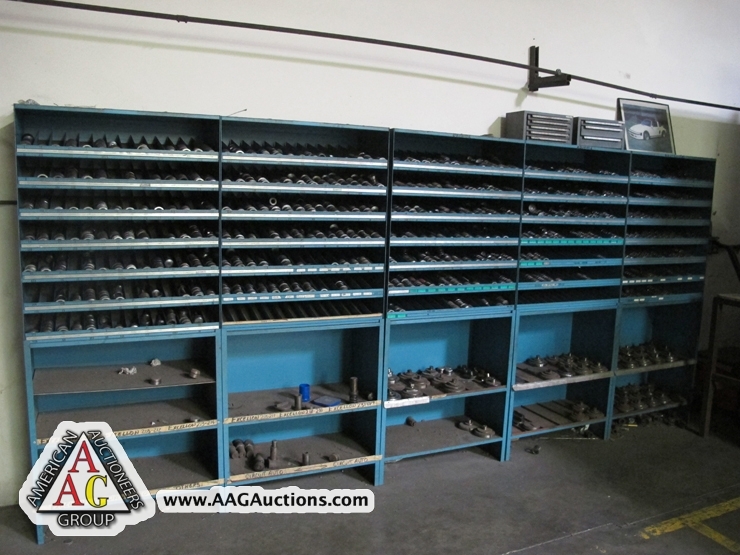 OVER 300 CNC TOOL HOLDERS, BT-35, CT-40 AND BT-40. 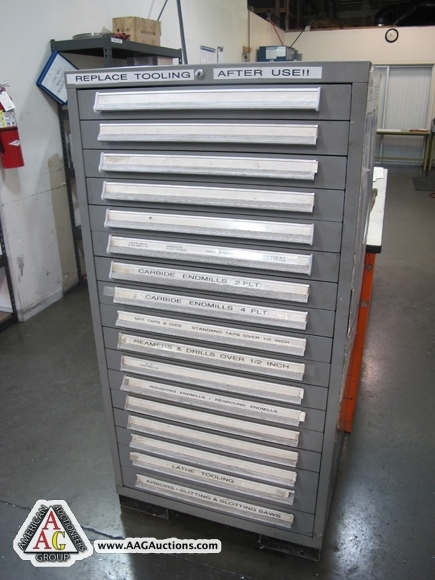 SPRING COLLETS, BORING BARS, CARBIDE INSERTS, DRILL INDEXES, CABINETS, COLLETS, END MILLS, CUTTING TOOLS, DRILLS, CHUCKS, ETC. 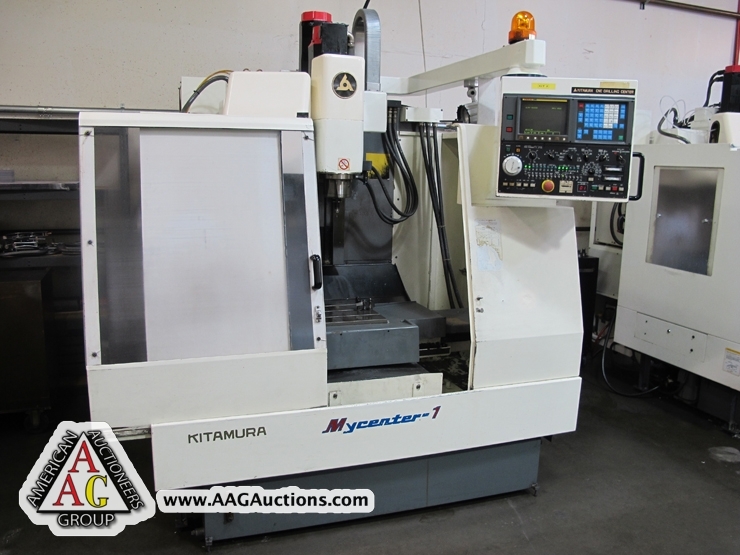 2004 KITAMURA MYCENTER 3XI CNC VMC, W/ FANUC 16IM CONTROL, 30 ATC, 40 TAPER, SIDE MOUNT TOOL CHANGER, 10,000 RPM SPINDLE, S/N: 12103. 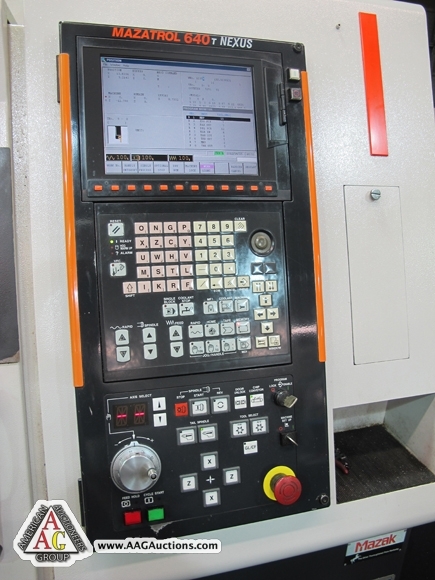 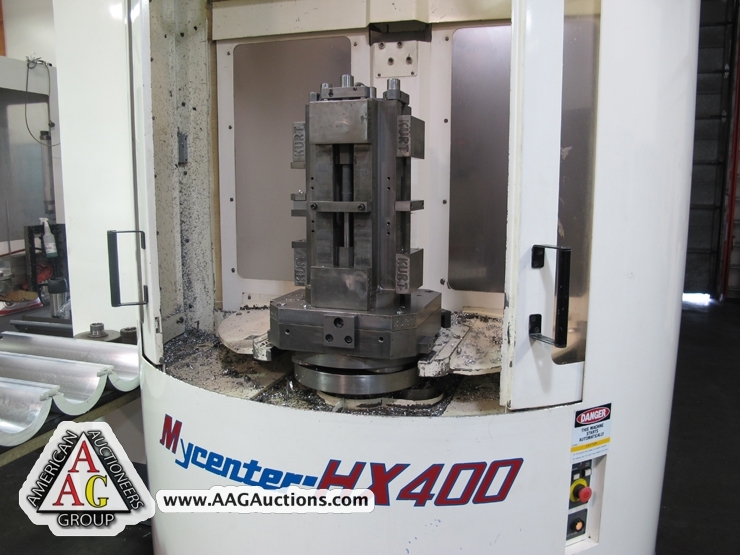 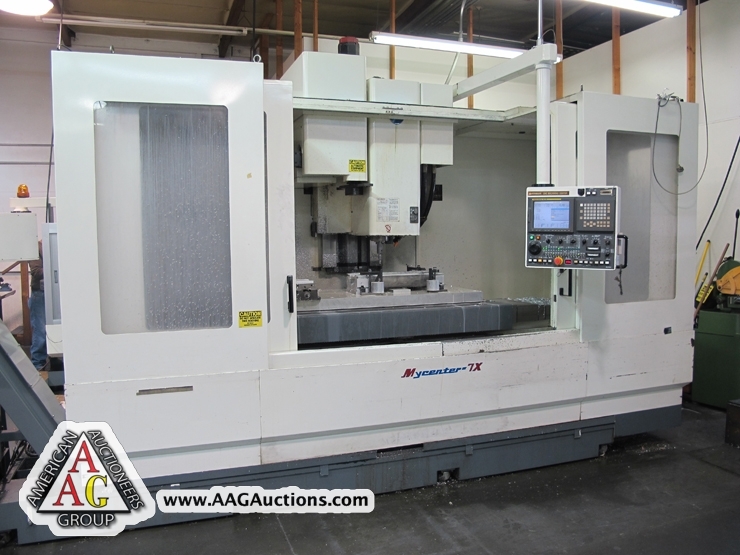 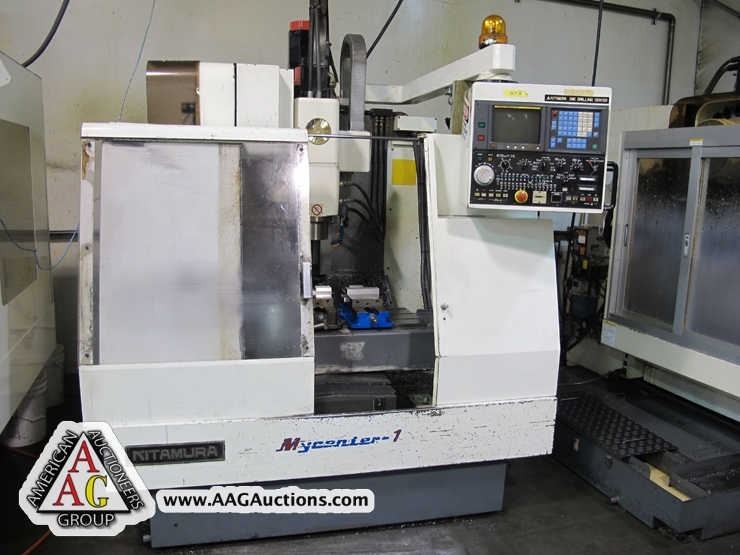 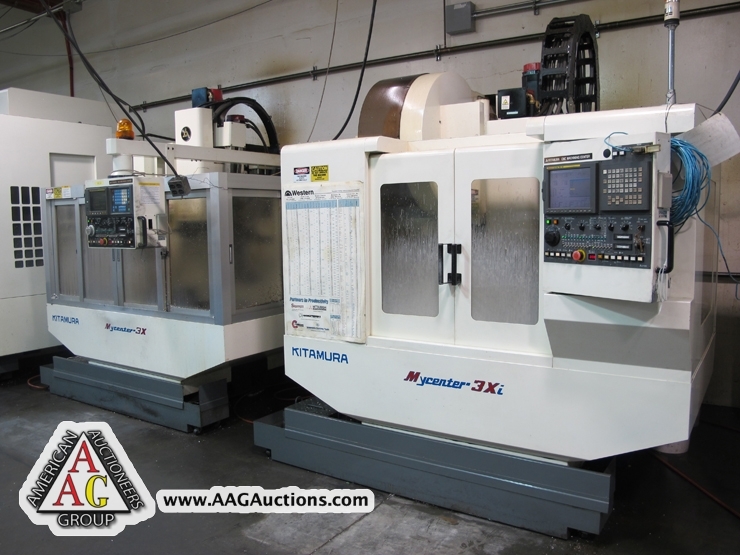 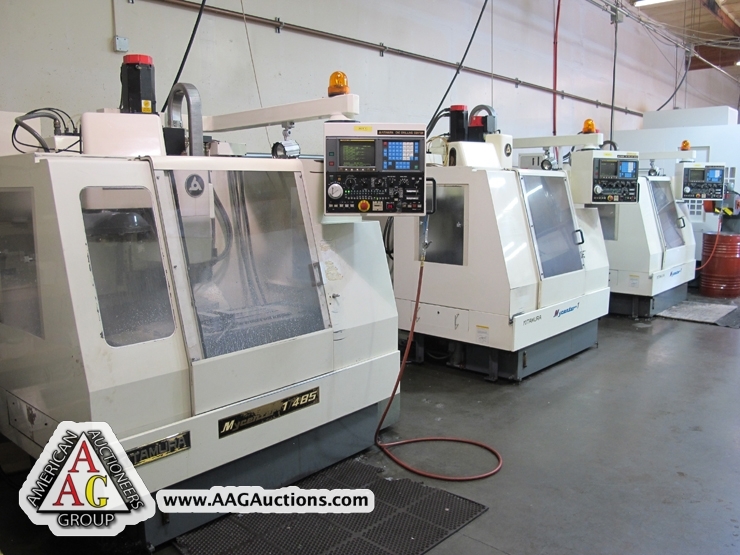 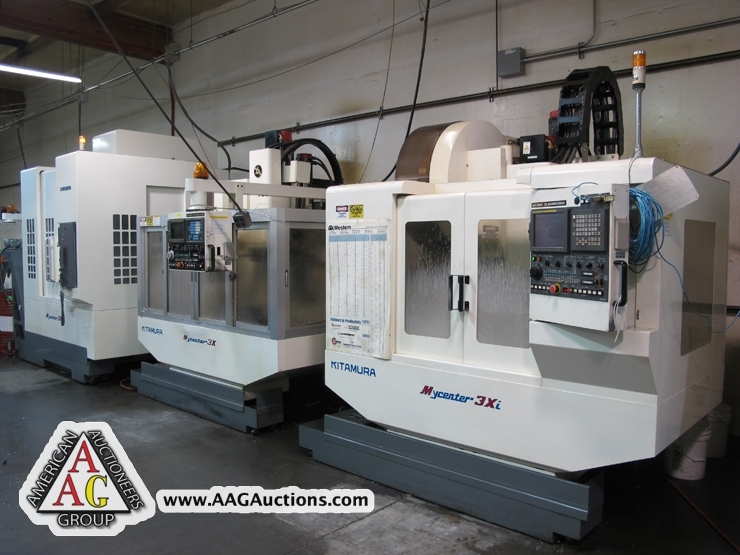 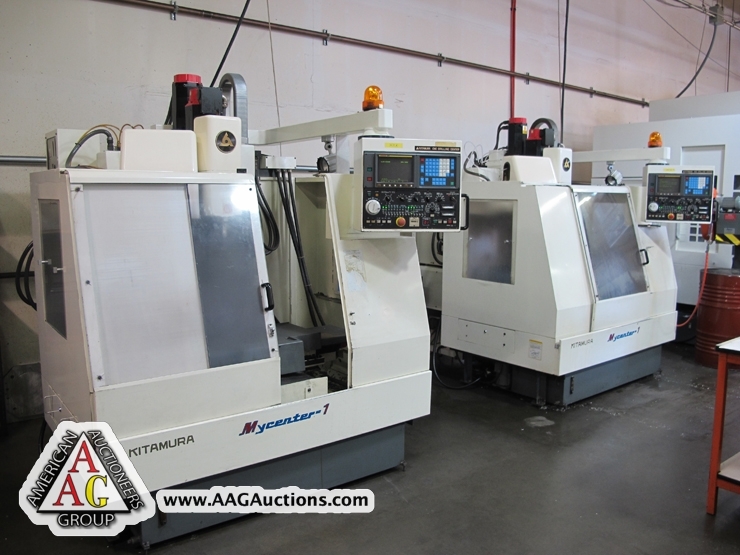 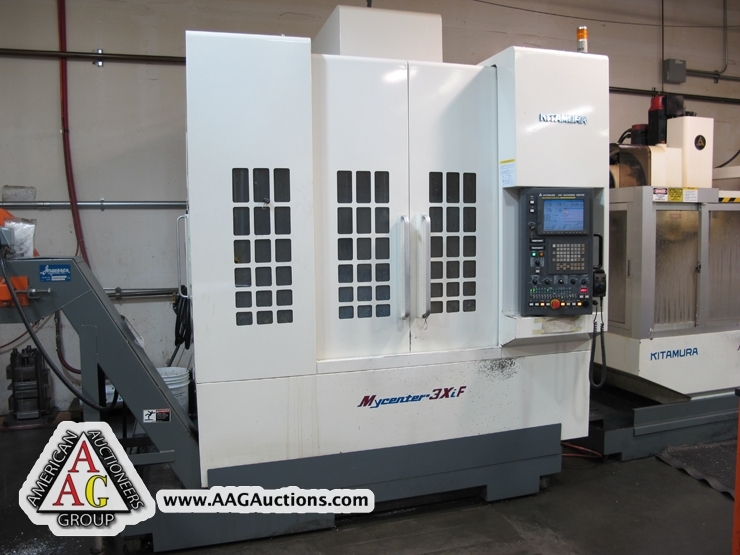 2002 KITAMURA MYCENTER 3X CNC VMC, W/ FANUC OM CONTROL, 20 ATC, 40 TAPER, SIDE MOUNT TOOL CHANGER, 10,000 RPM SPINDLE, S/N: 11649. 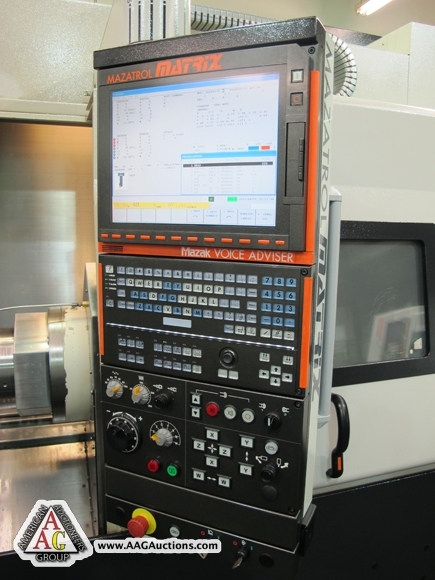 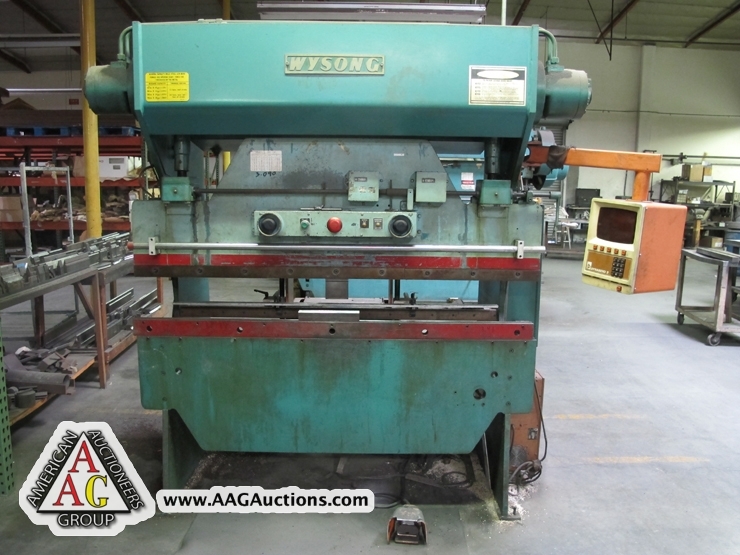 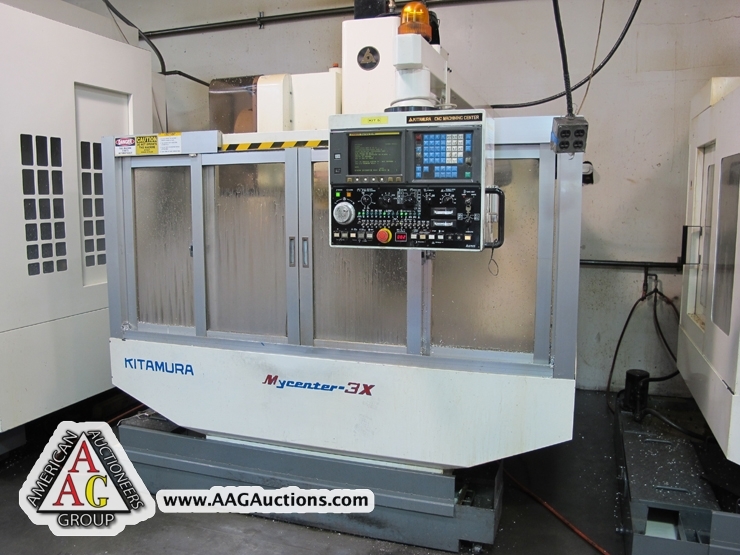 1) 1995 KITAMURA, S/N 02592, W/ SIDE MOUNT TOOL CHANGER. 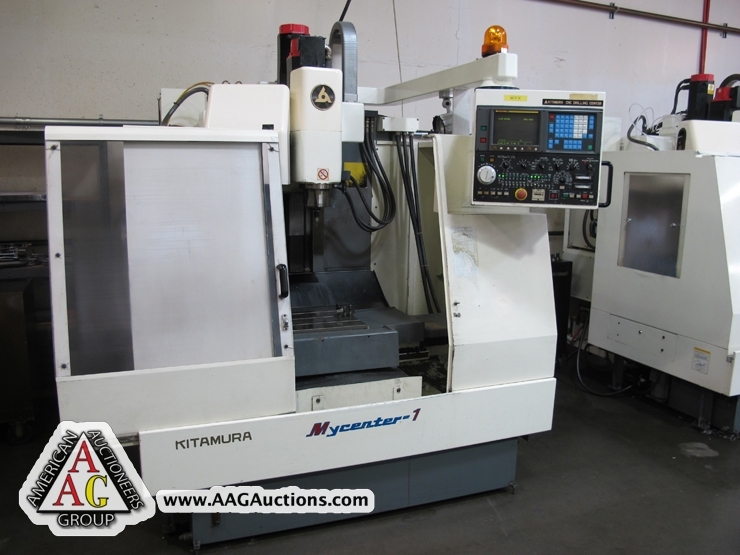 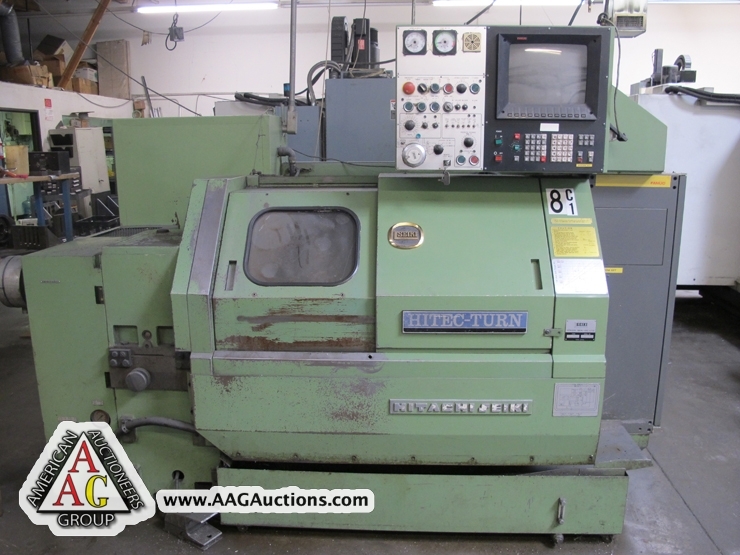 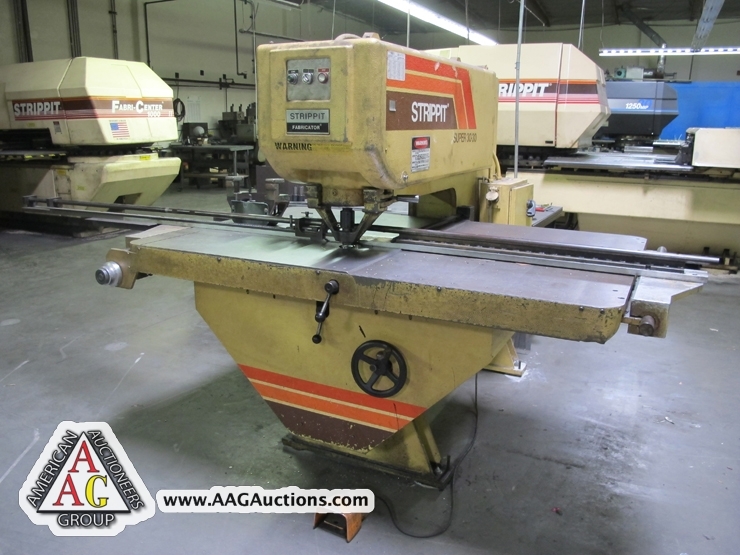 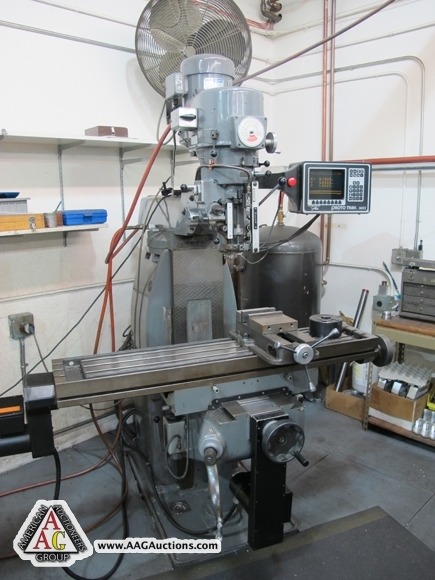 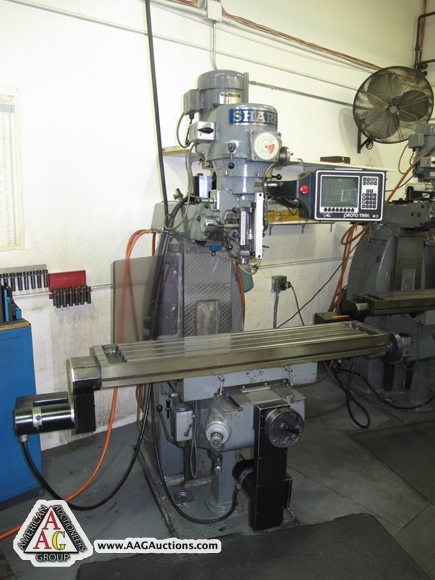 2) 1992 KITAMURA, S/N 02911, W/ SIDE MOUNT TOOL CHANGER. 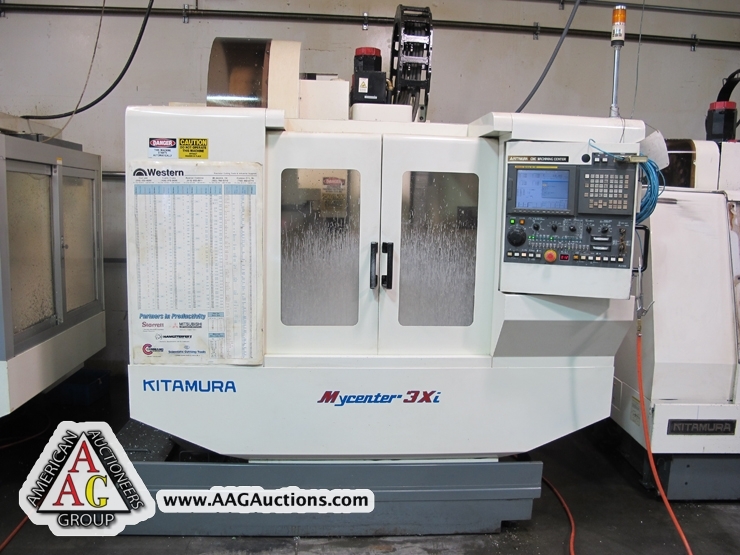 3) 1990 KITAMURA, S/N 02437. 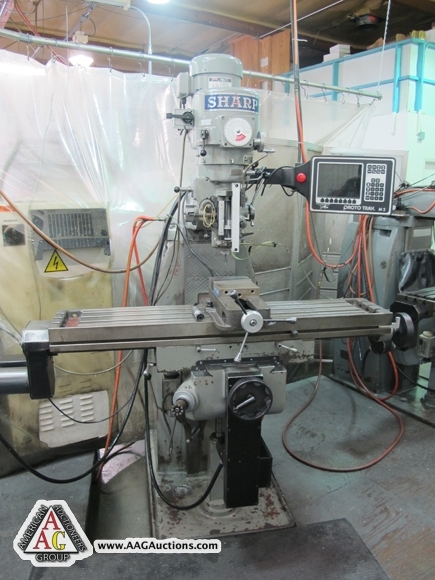 4) 1989 KITAMURA, S/N 02145. 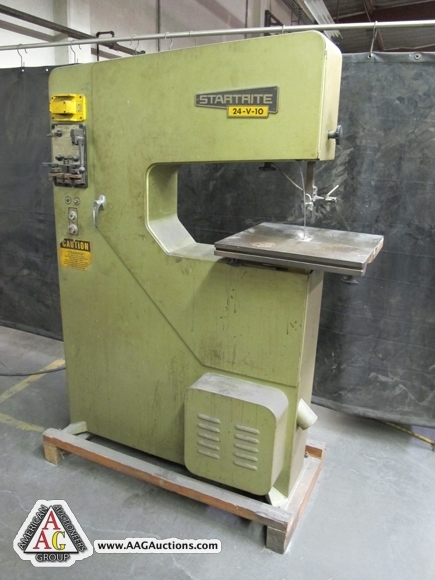 5) 1989 KITAMURA, S/N 02130. 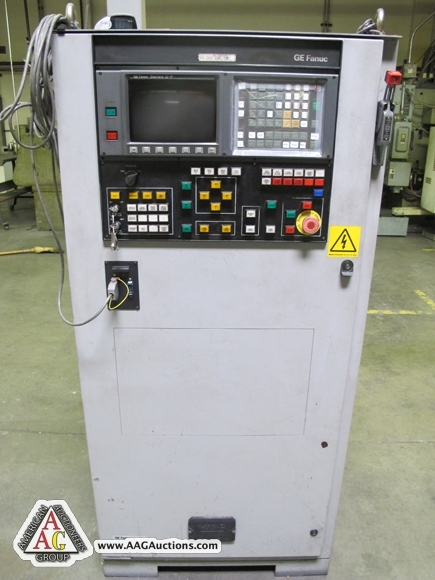 6) 1988 KITAMURA, S/N 01963. 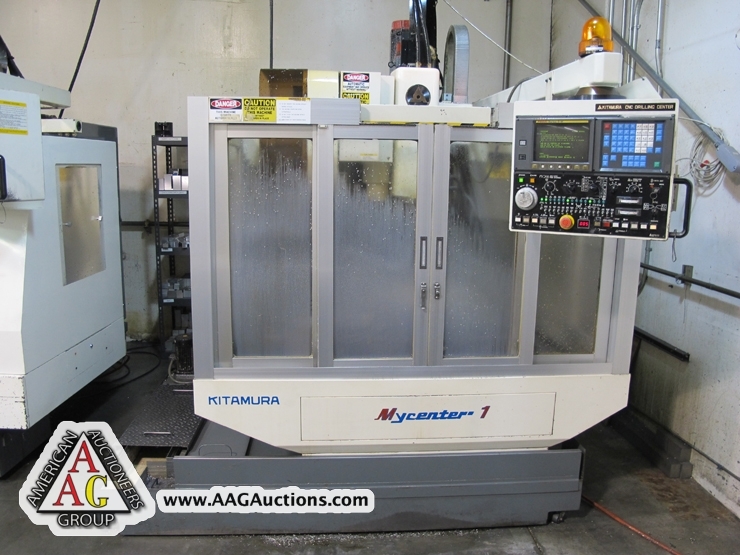 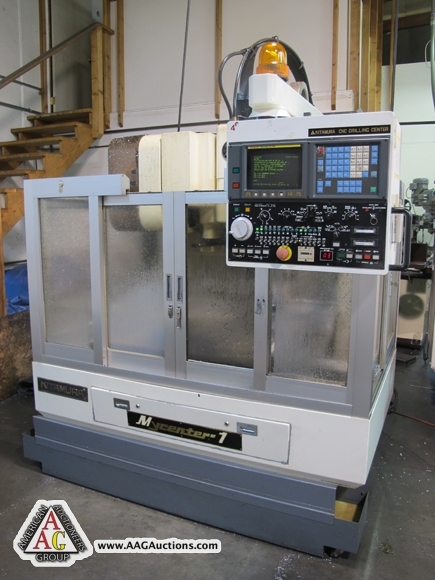 2002 KITAMURA MYCENTER 7XI CNC VMC, WITH FANUC 16I-M CONTROL, 30 ATC, 40 TAPER, 60.2” x 25.6” x 27” (XYZ) TRAVELS, 10,000 RPM, S/N: 60359. 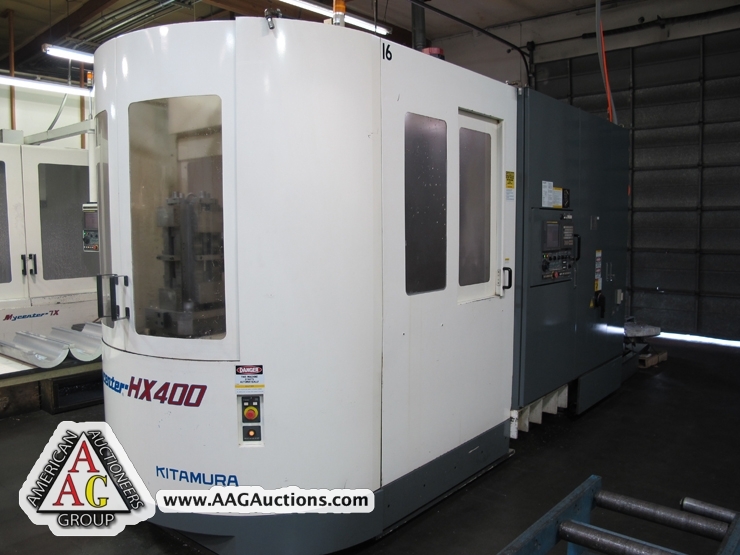 1999 KITAMURA HX-400, CNC HORIZONTAL MACHINING CENTER, WITH PALLET CHANGER, FANUC 16I-M CONTROL, 16” x 16” PALLETS, 13,000 RPM, 50 ATC, 40 TAPER, FULL 4TH AXIS CHIP CONVEYOR, S/N: 448. 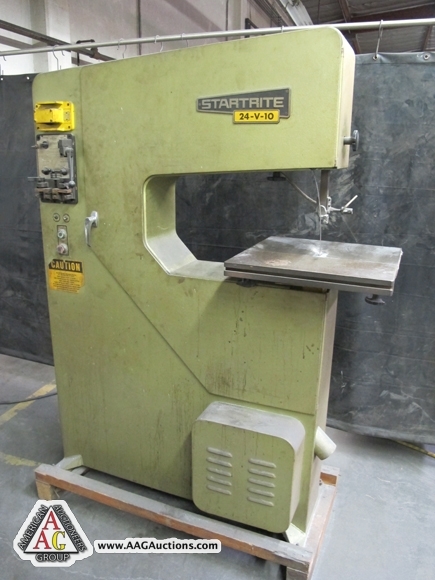 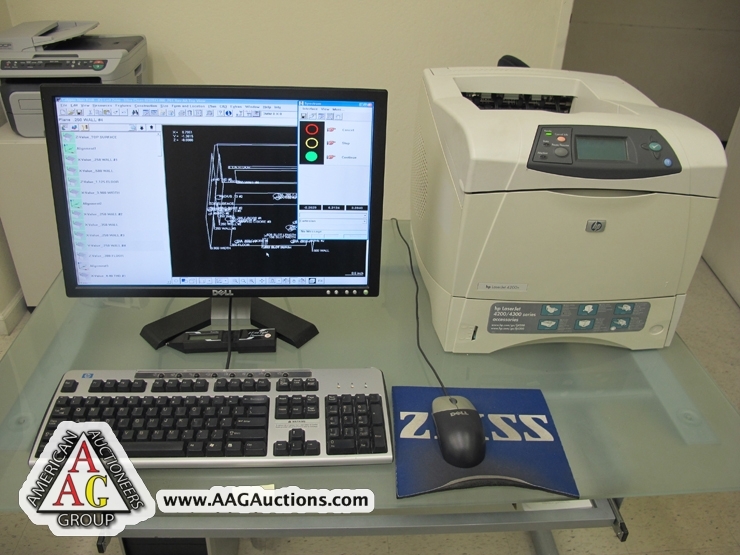 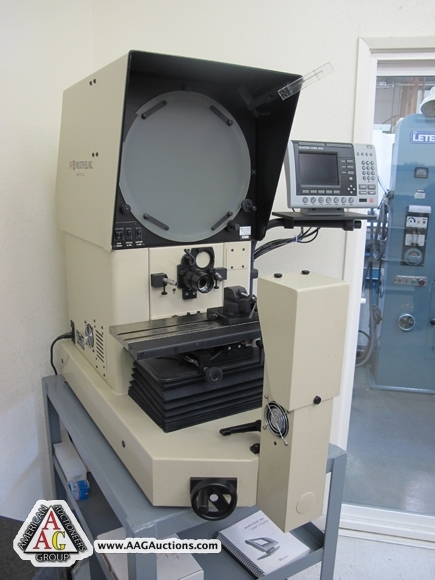 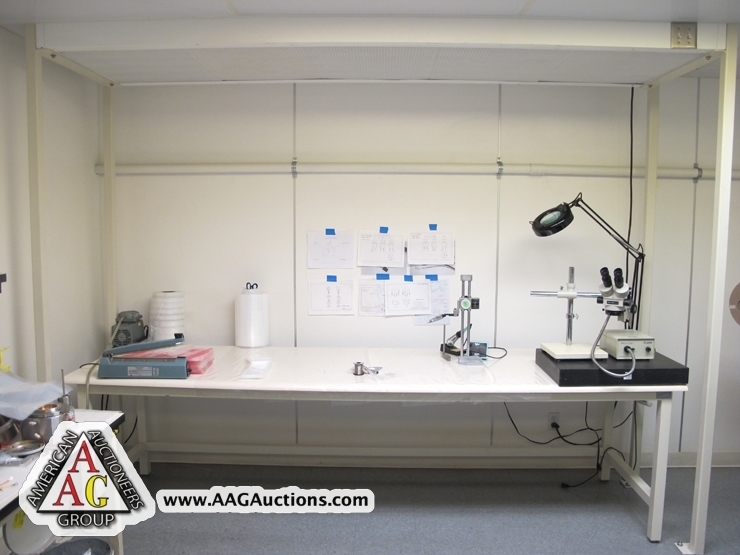 ST INDUSTRIES MODEL 20-3700, 14” OPTICAL COMPARATOR WITH QUADRA CHEK 200 CONTROL CLASS 100 CLEAN ROOM BENCH. 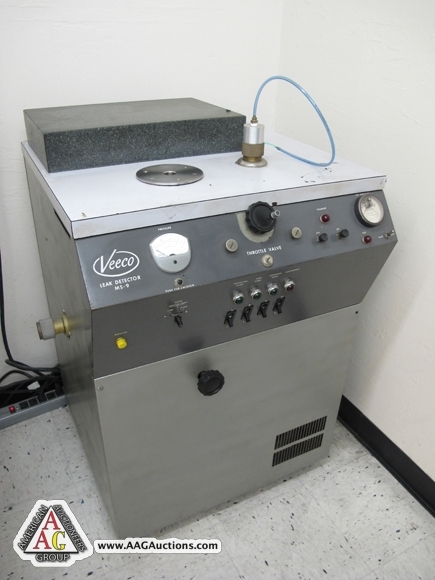 VEECO MODEL MS-9 LEAK DETECTOR. 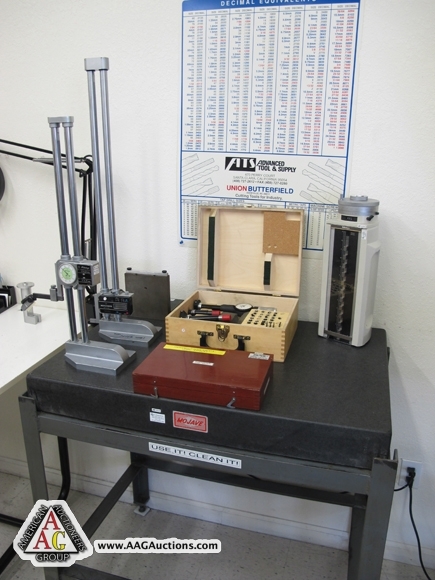 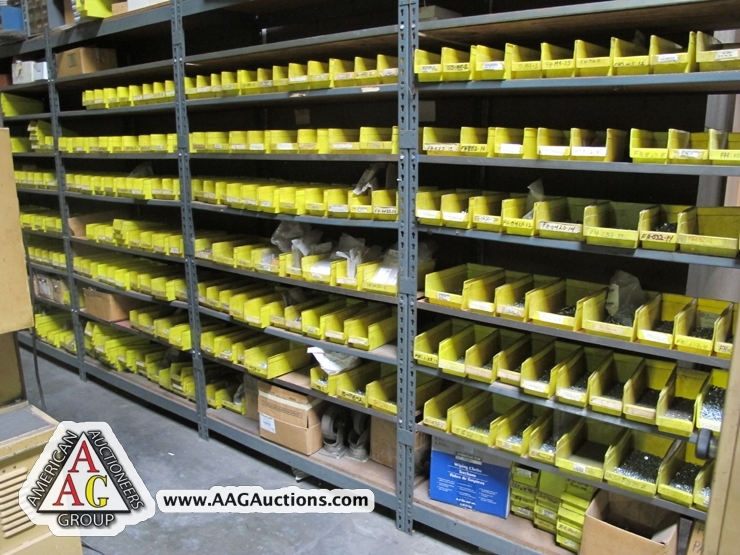 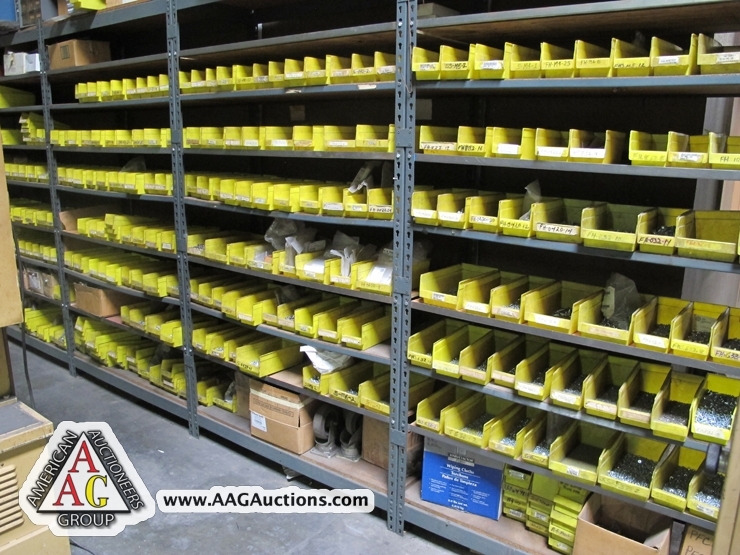 PIN GAGES, MICS, CALIPERS, THREAD GAGES, DELTRONIC GAGES, HEIGHT GAGES, INSPECTION TOOLS, AND MANY OTHER SUPPORT TOOLS. 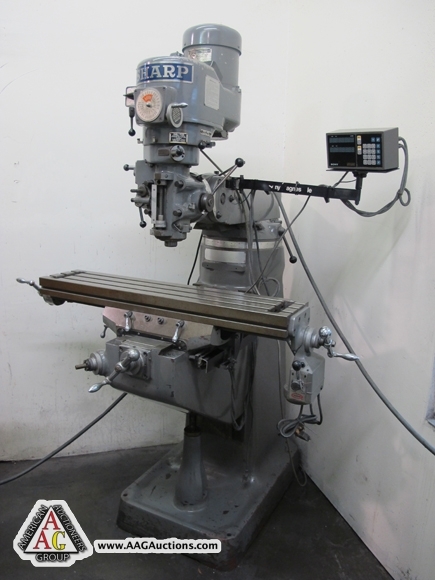 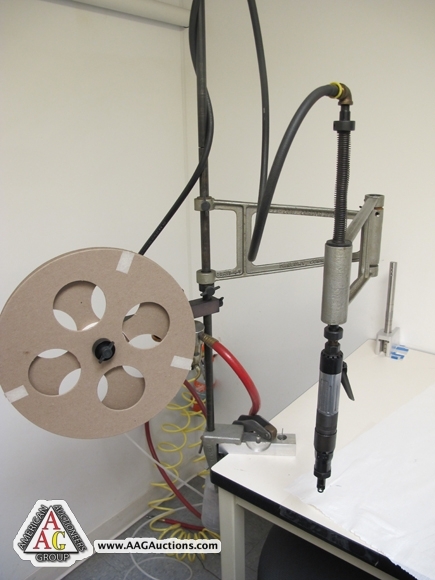 12,000 RPM ROTARY TOOL SPINDLE, CAPTO TOOL HOLDER, 40 ATC MAGAZINE, S/N: 207942. 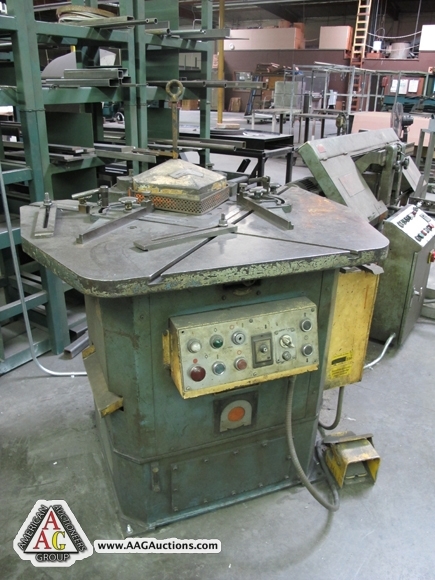 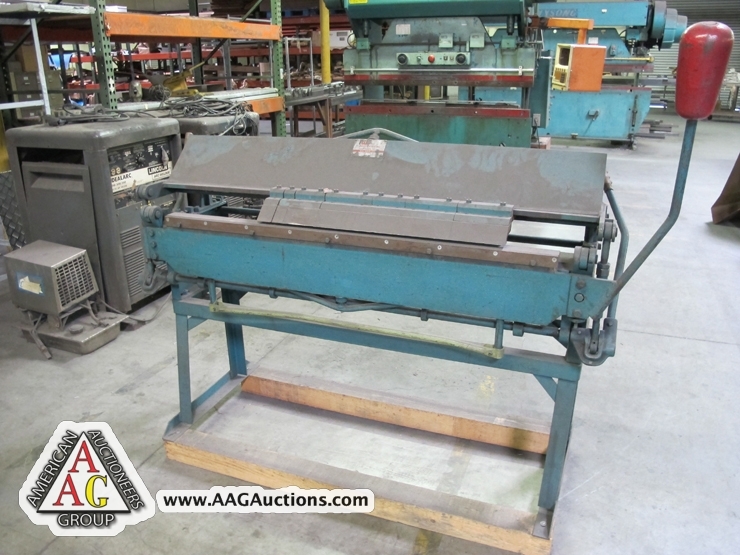 CHIP CONVEYOR, 3” BAR CAPACITY, 12 POSITION TURRET, 4000 RPM MAIN SPINDLE, 24” SWING, S/N: 178426. 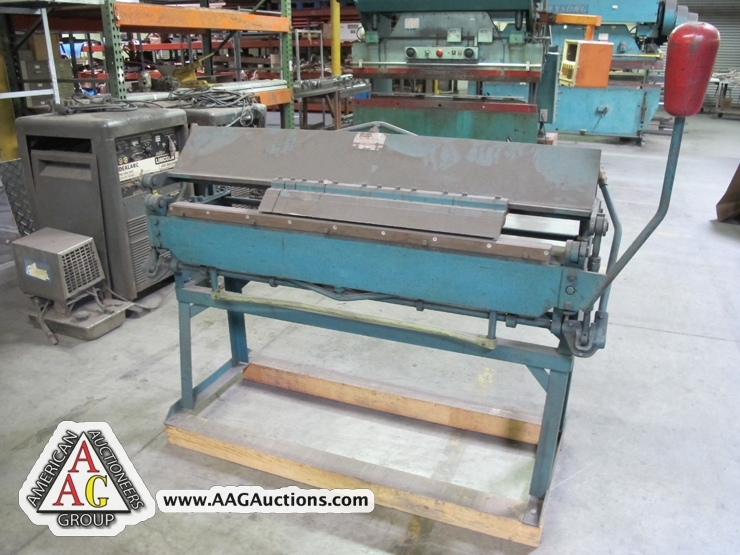 CHIP CONVEYOR, 3” BAR CAPACITY, 12 POSITION TURRET, 4000 RPM MAIN SPINDLE, 24” SWING, S/N: 169012.